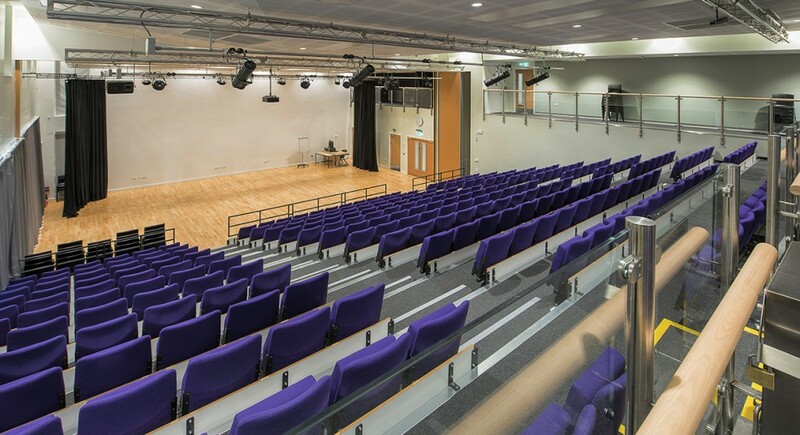 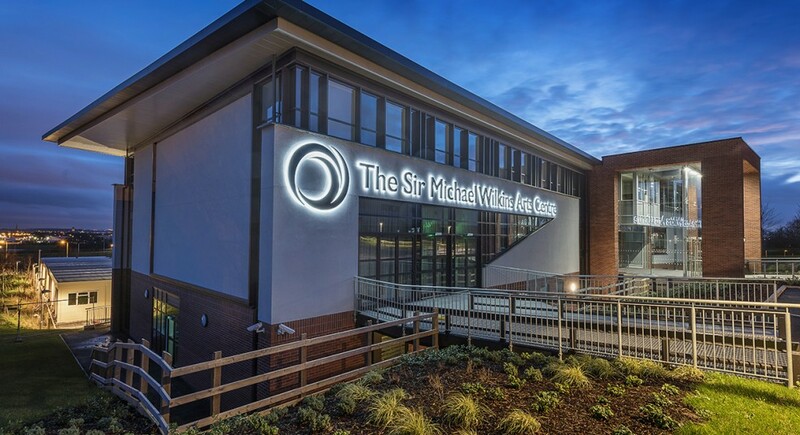 Bowman Riley designed the new £6.5 million Sir Michael Wilkins Arts Centre at Outwood Grange Academy to house the departments of drama, dance, music and art. 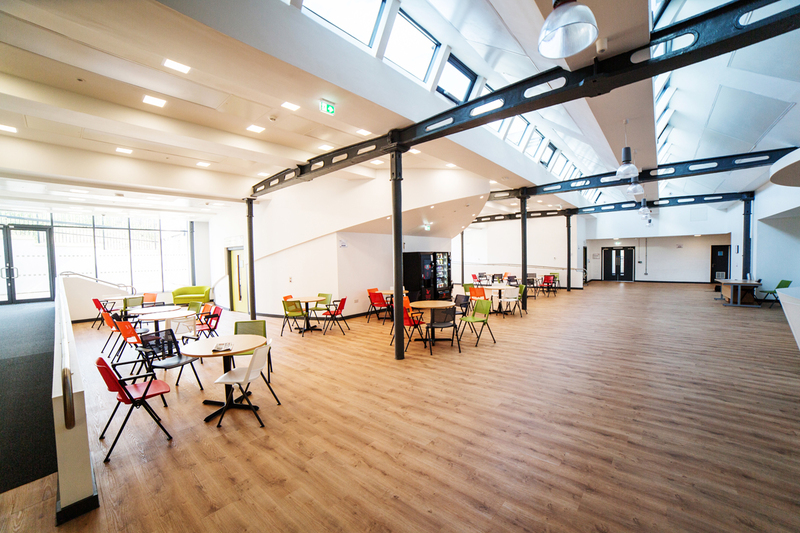 The new centre features a multi-purpose flexible performance space, galleries and state-of-the-art music recording studios, which used not only for teaching and performing spaces but also allow collaborative working with visiting arts practitioners and community use. 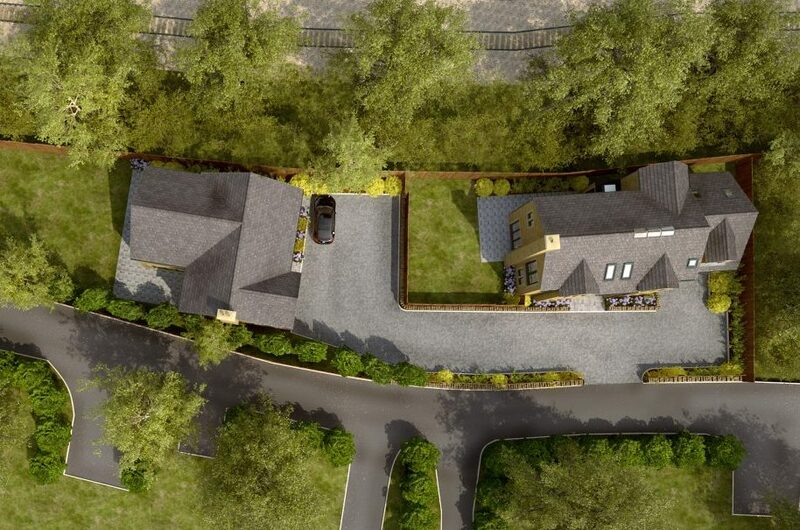 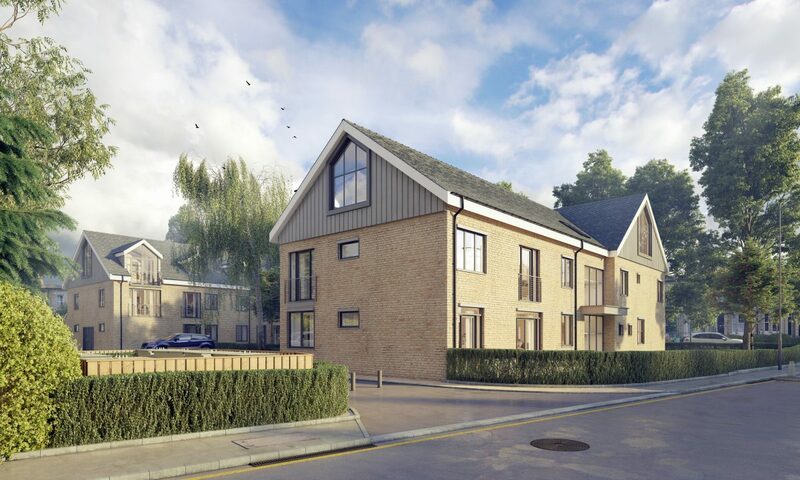 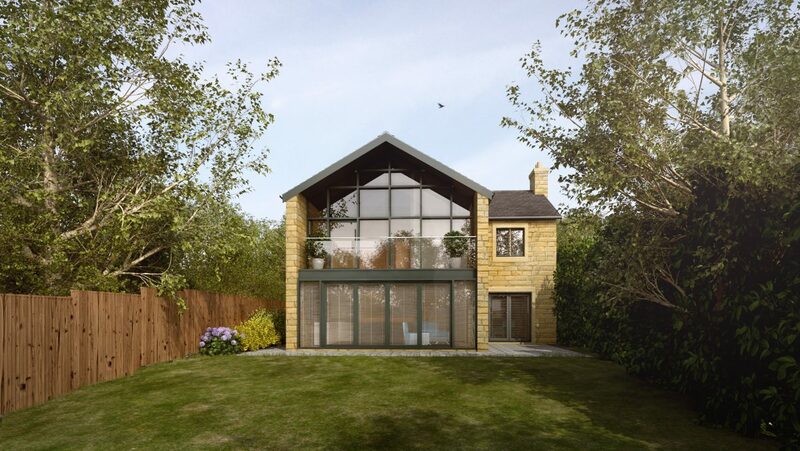 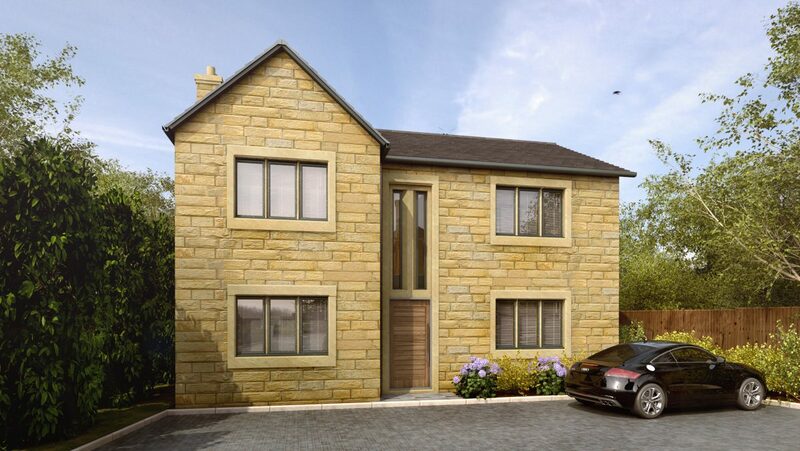 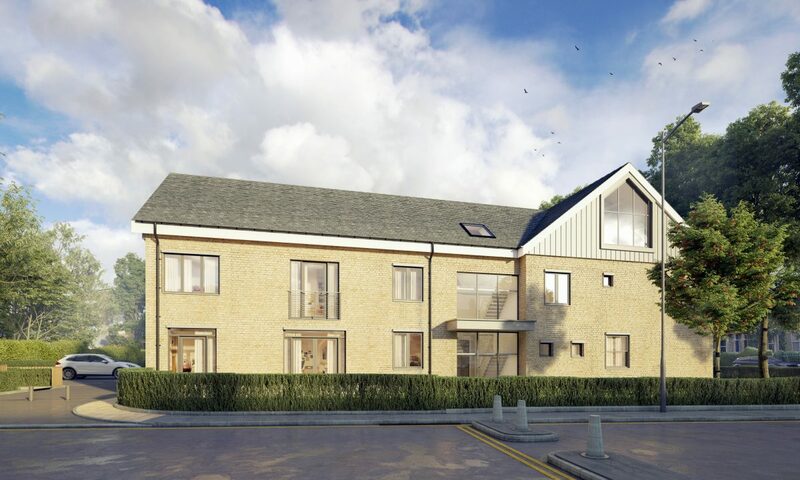 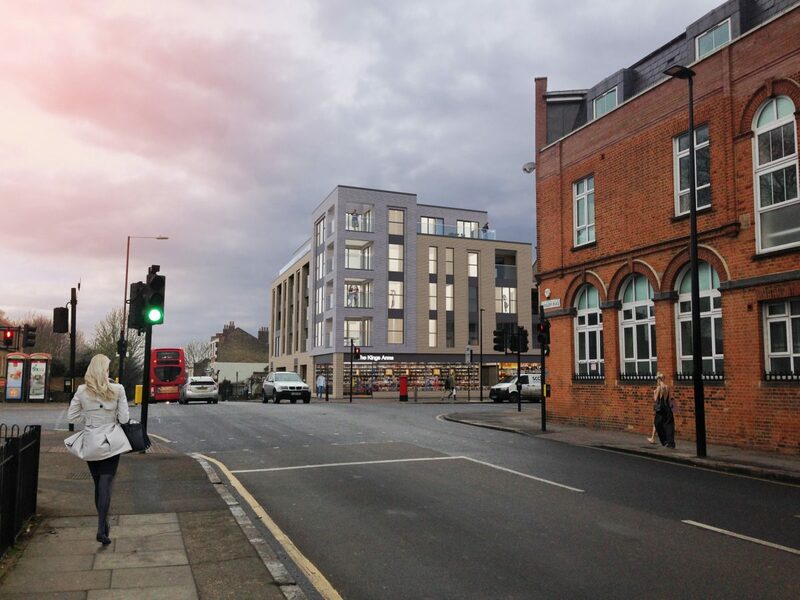 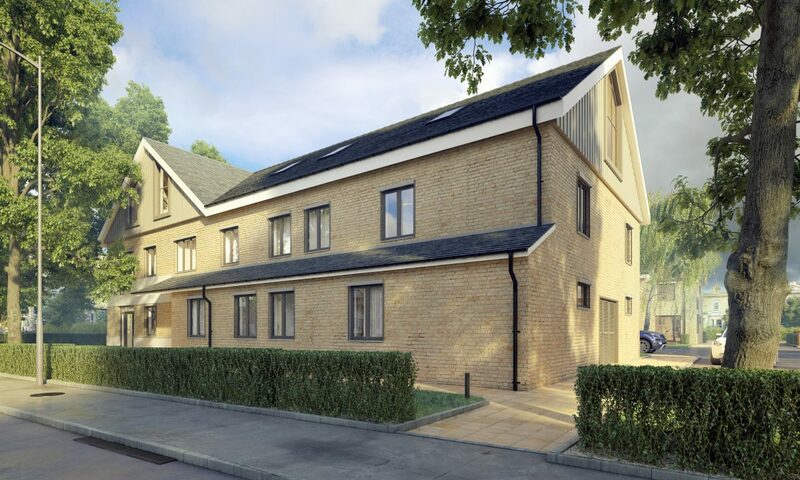 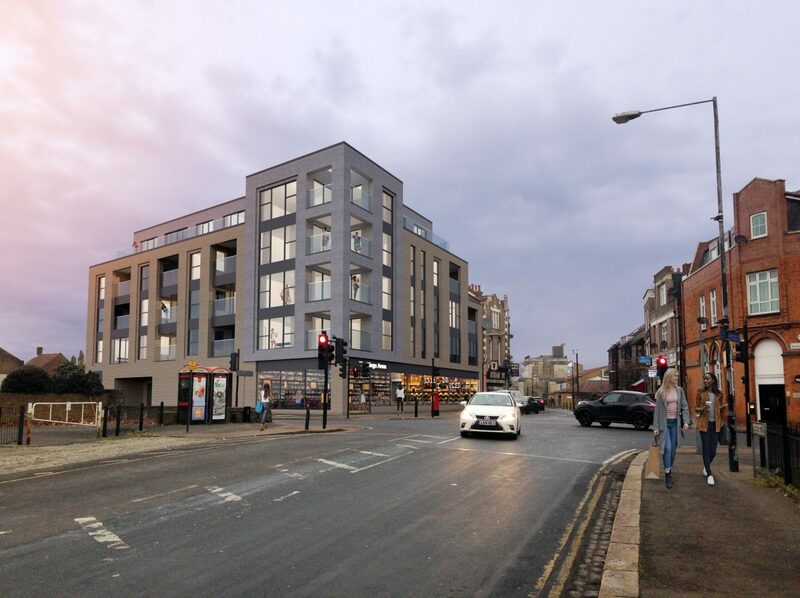 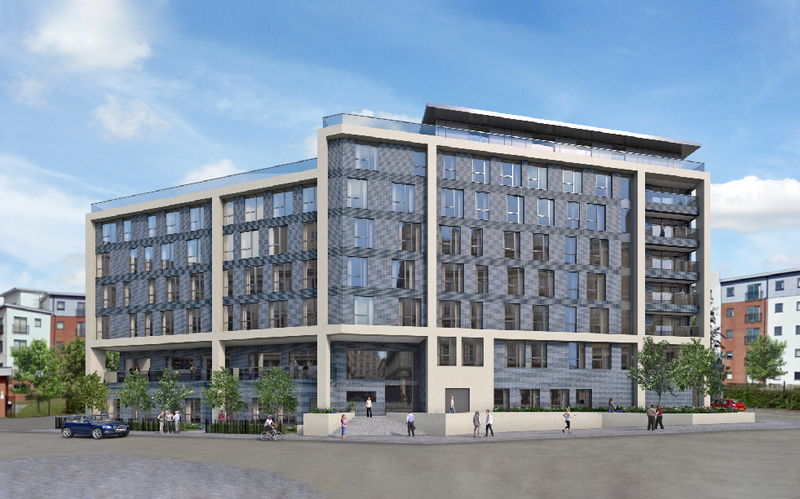 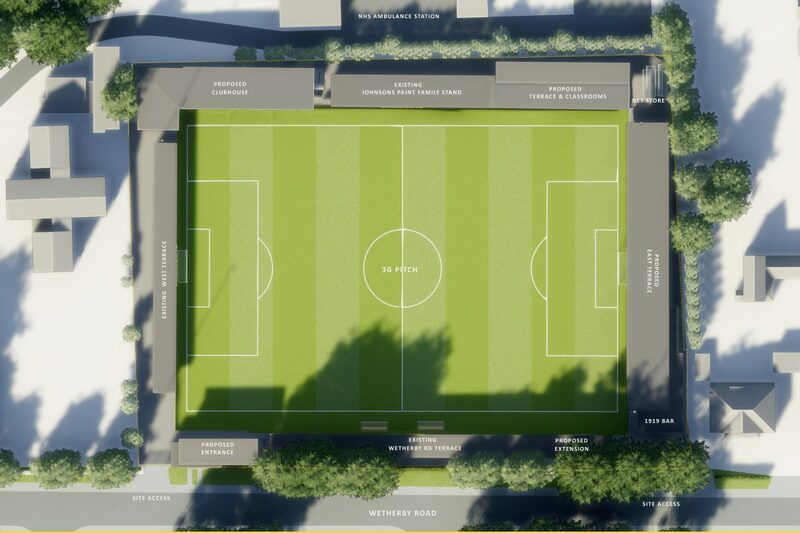 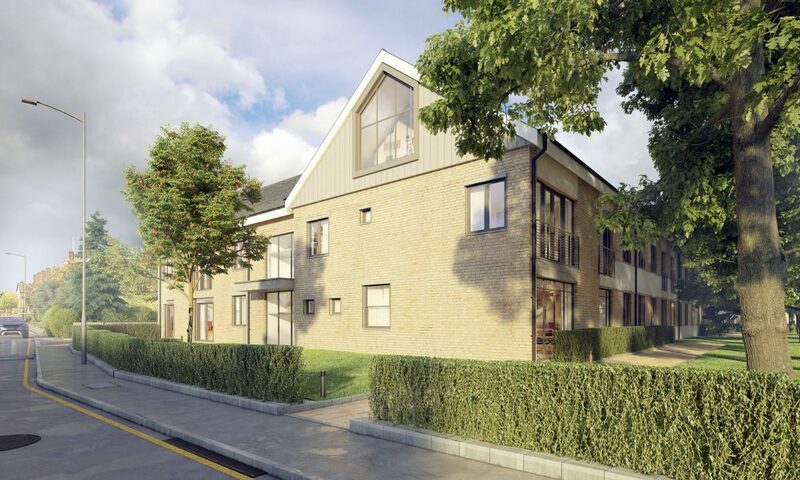 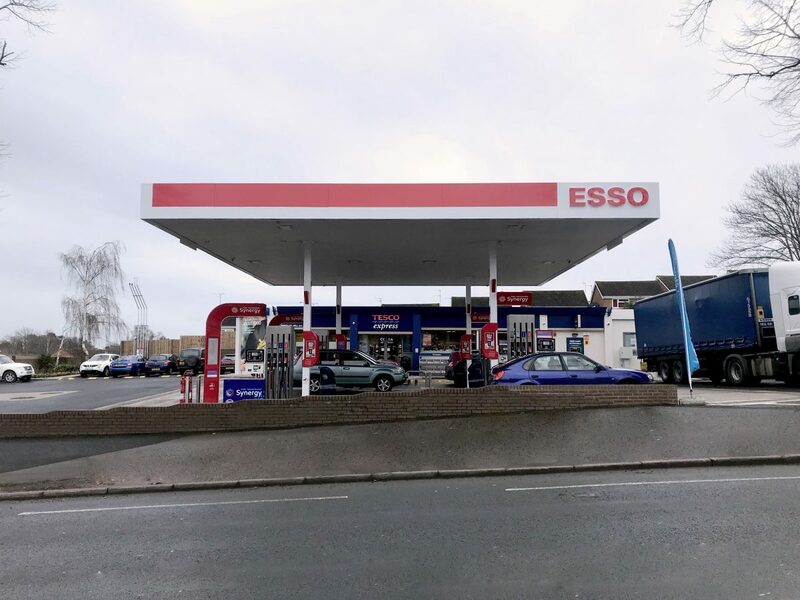 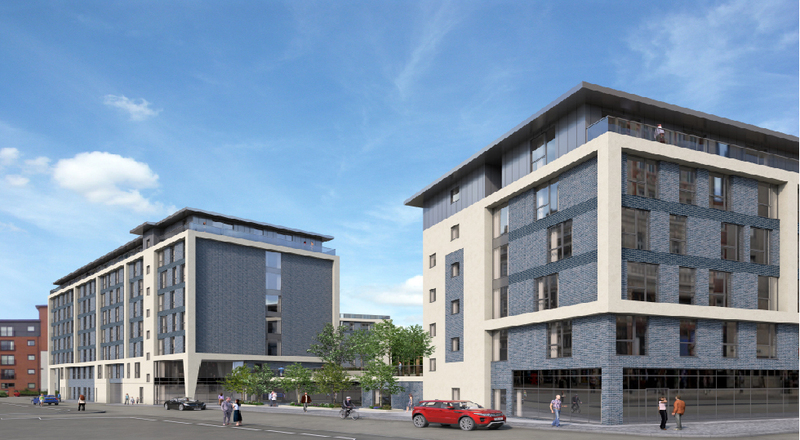 A significant challenge has been to design the new building on a well-developed site. 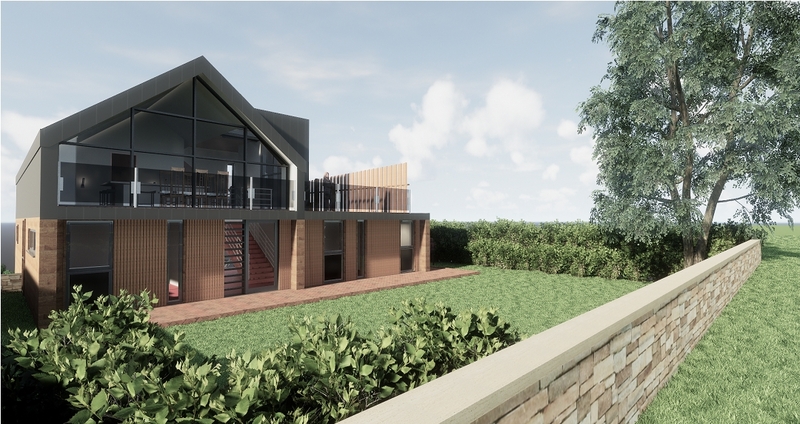 We carefully considered the masterplanning of the site and enabling projects to ensure that the new arts centre will not stymie future developments at the school site. 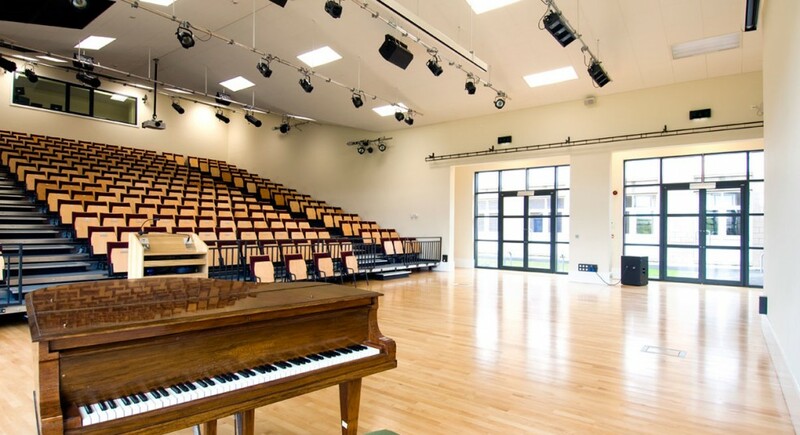 The arts centre project has a limited budget, so it is important that we maximise all available space to ensure the best value from the school’s investment. 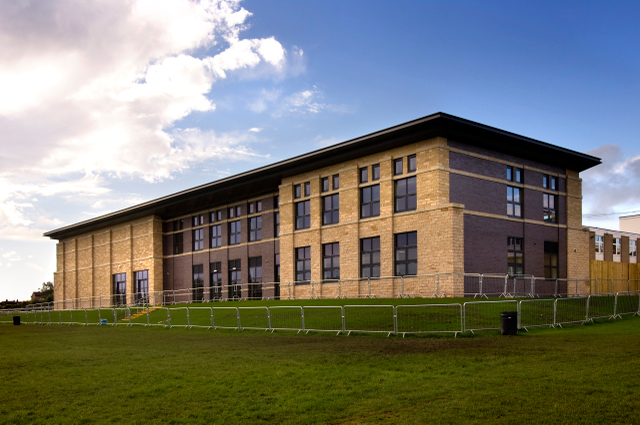 Outwood Grange Academy is one of the largest secondary schools and sixth forms in England. 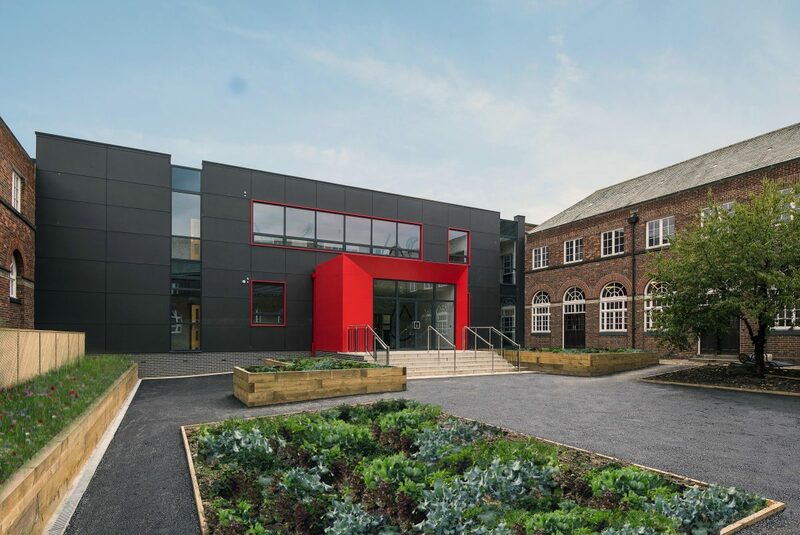 In recent years, the Academy has seen major redevelopment work improving the grounds, buildings and facilities to accommodate its burgeoning pupil population and update the aging estate. 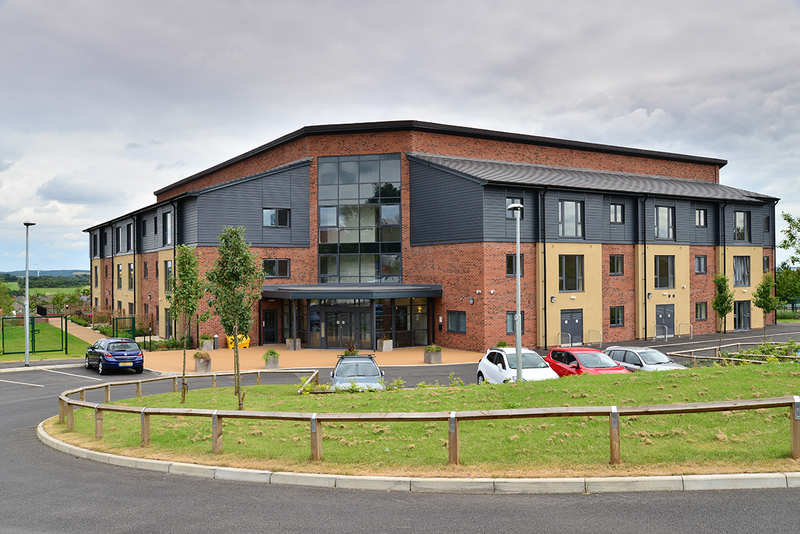 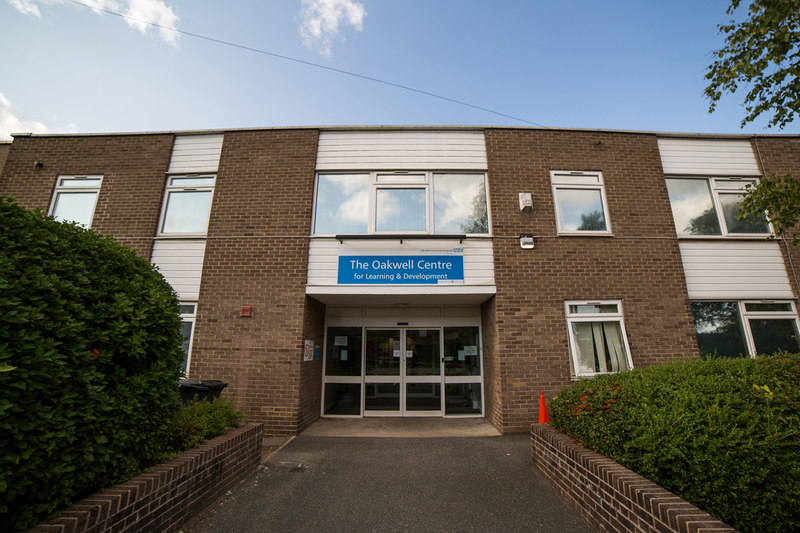 Bowman Riley has worked with Outwood Grange for over five years providing consultancy services to survey the school estate, undertake access audits and upgrade existing facilities. 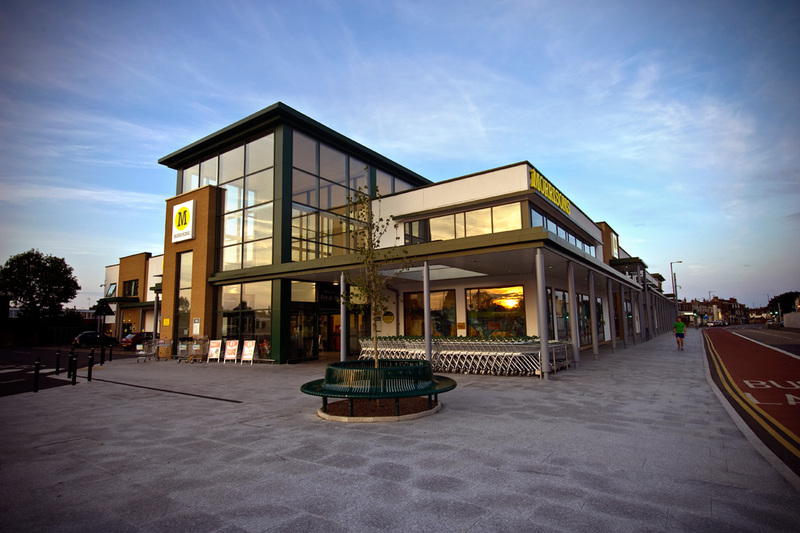 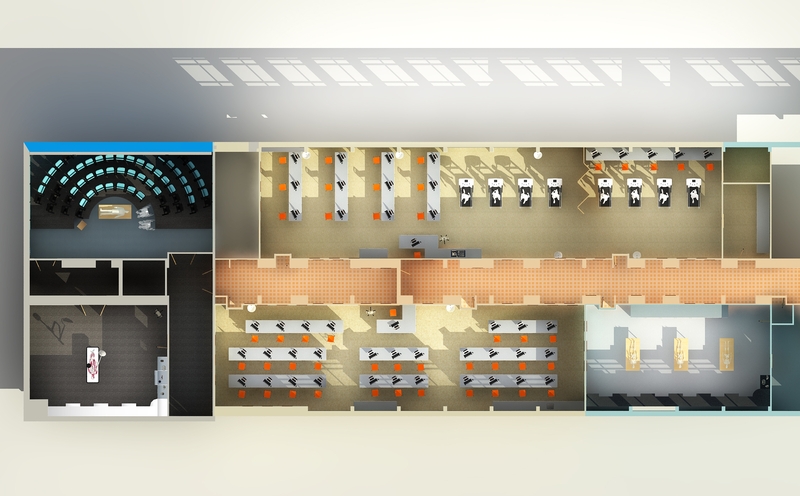 In 2011, we designed the 2000m² sports hall, gymnasium and fitness suite. 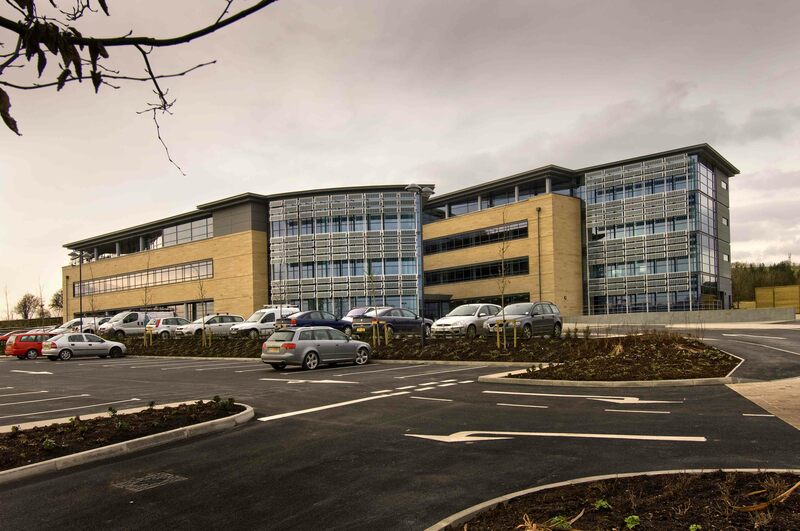 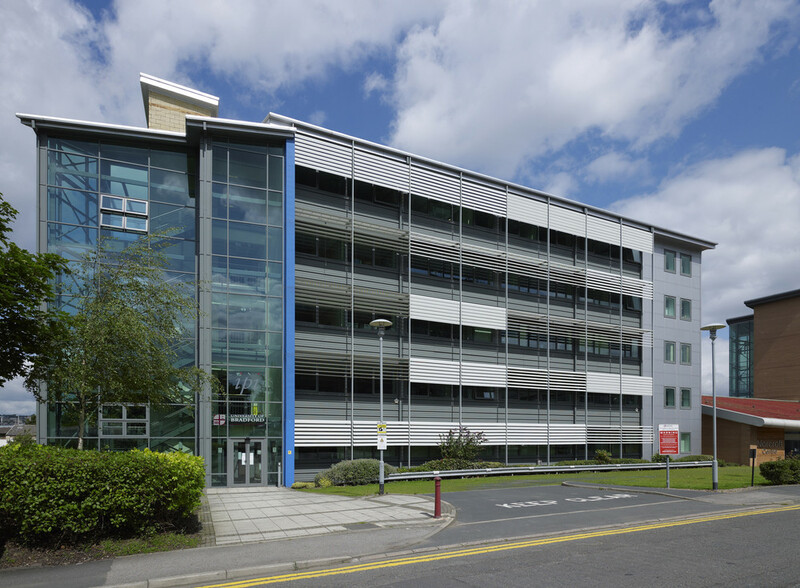 Bowman Riley designed the award-winning head office building for Home Loan Management Limited (HML), a subsidiary of Skipton Building Society, in Skipton, gateway to the Yorkshire Dales. 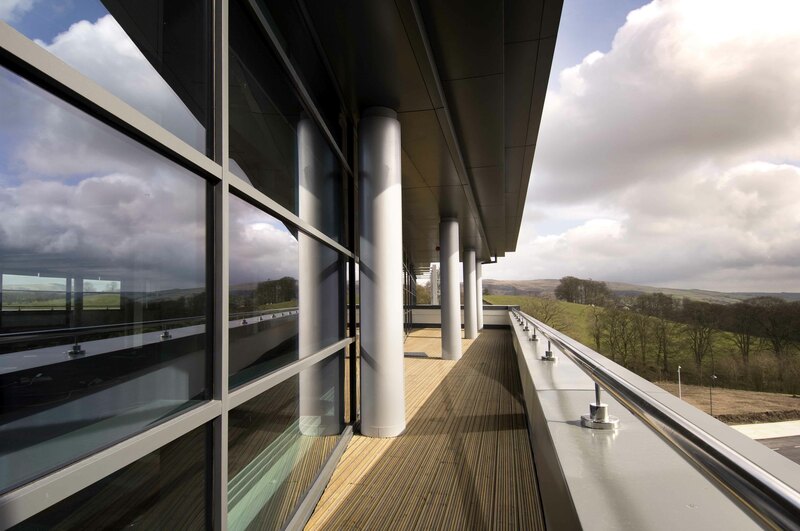 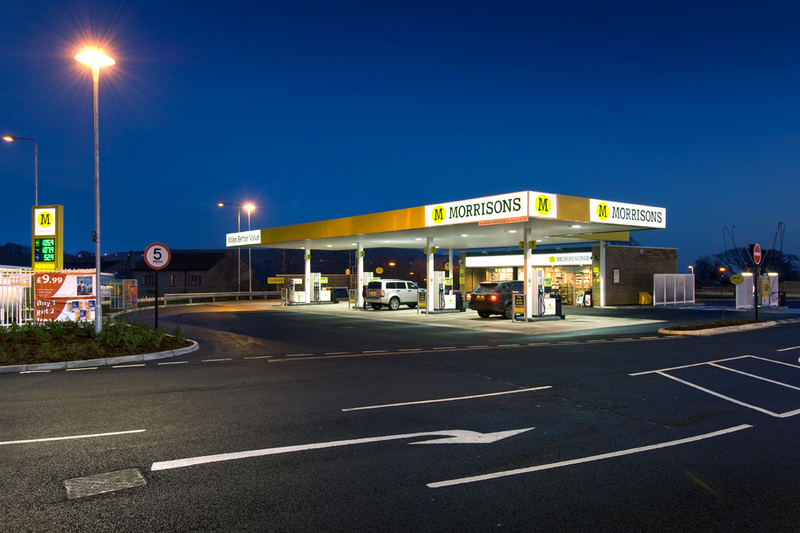 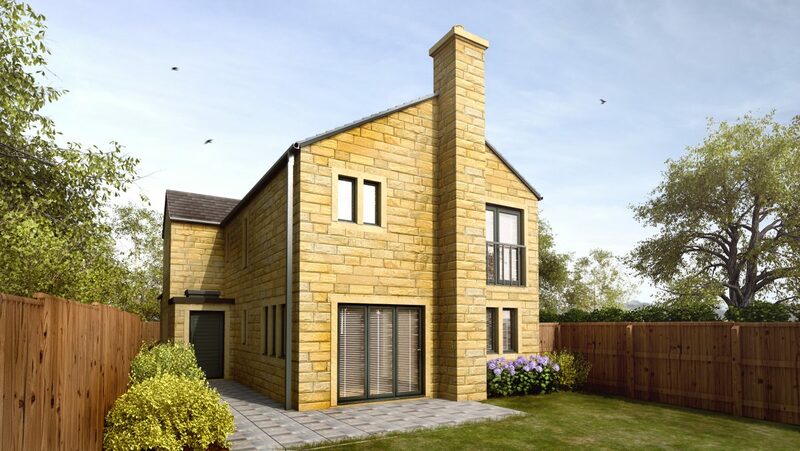 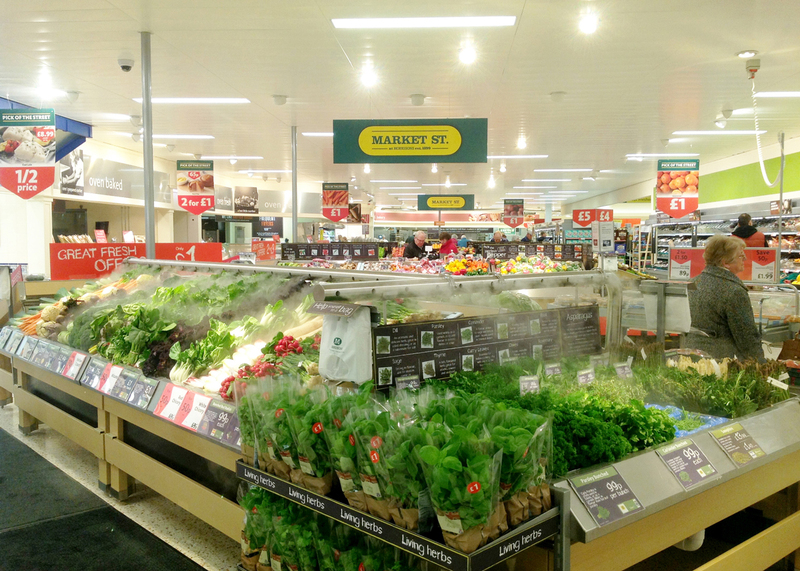 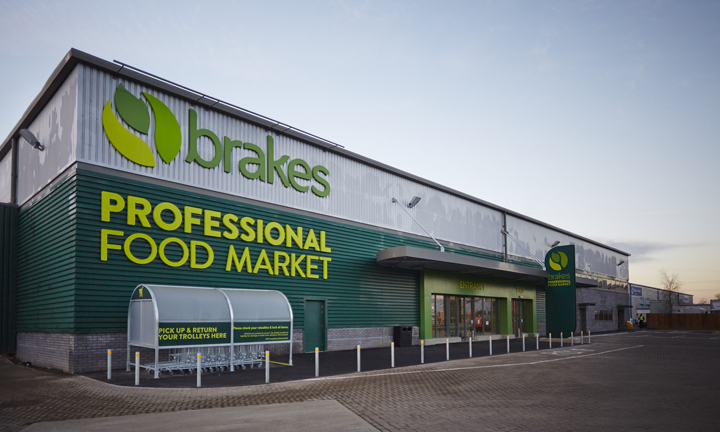 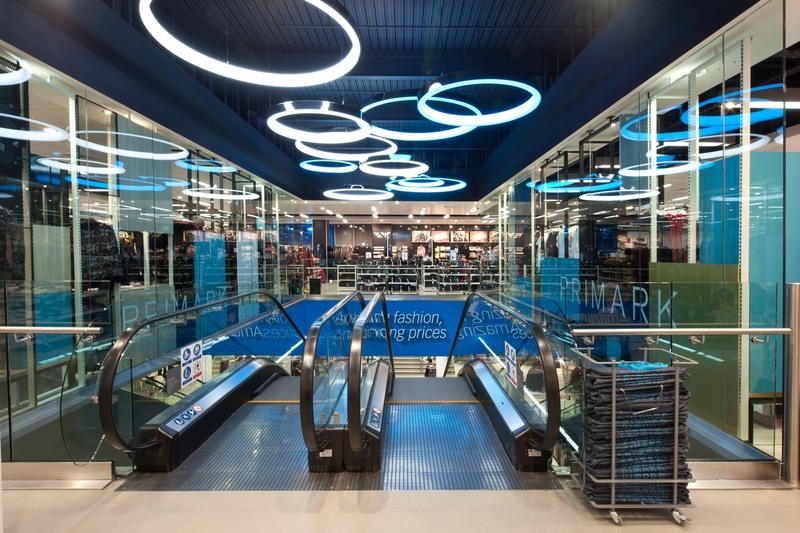 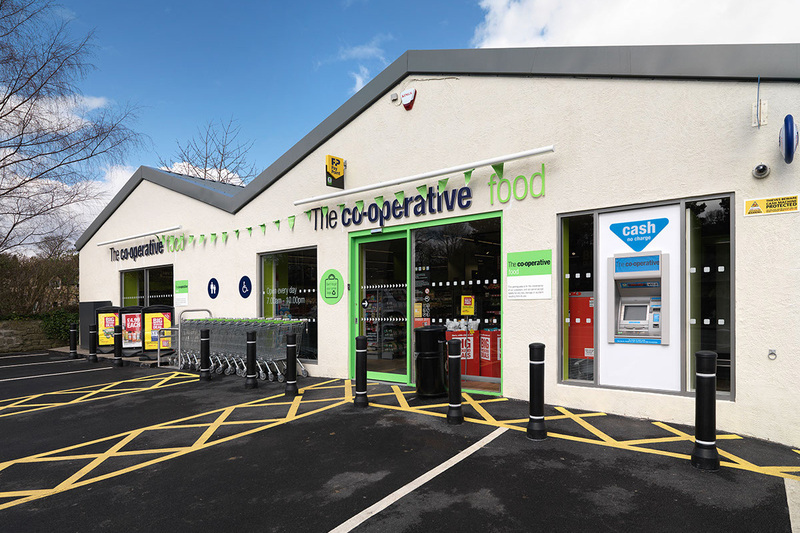 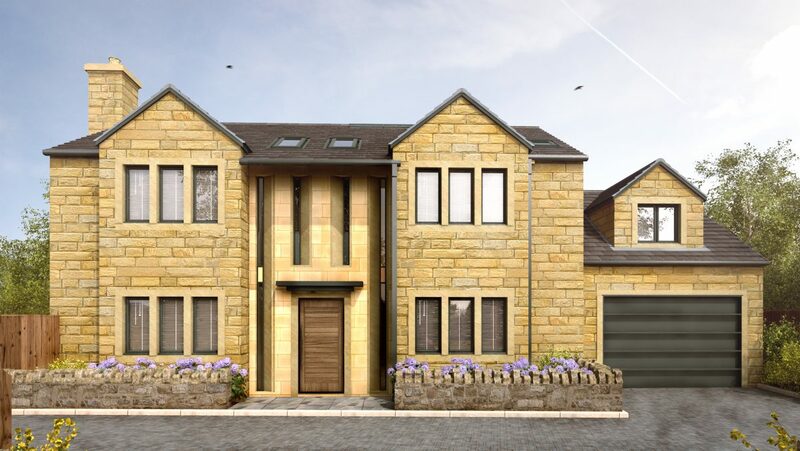 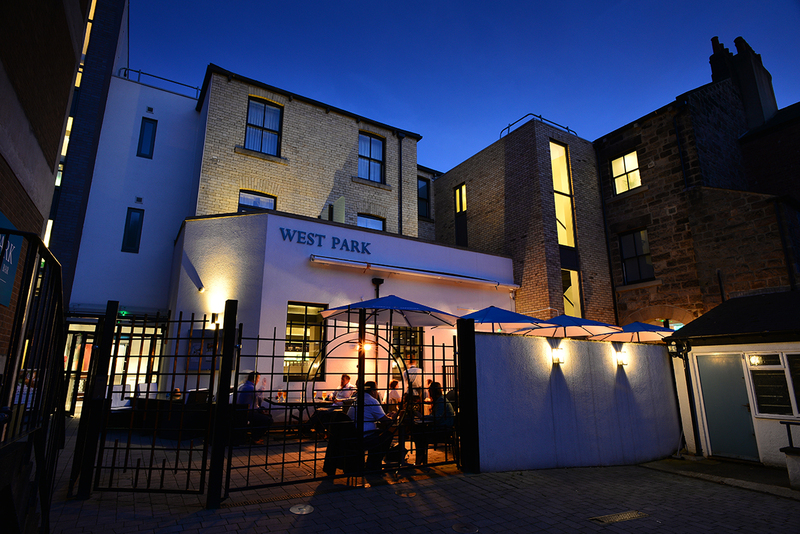 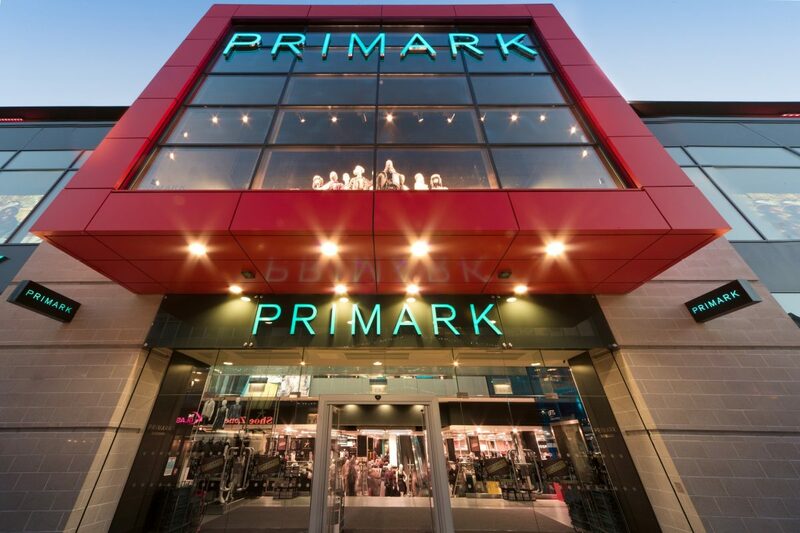 The building presents Skipton with a distinctive piece of architecture for the 21st century and won an RICS Pro-Yorkshire Award in the category of Commercial. 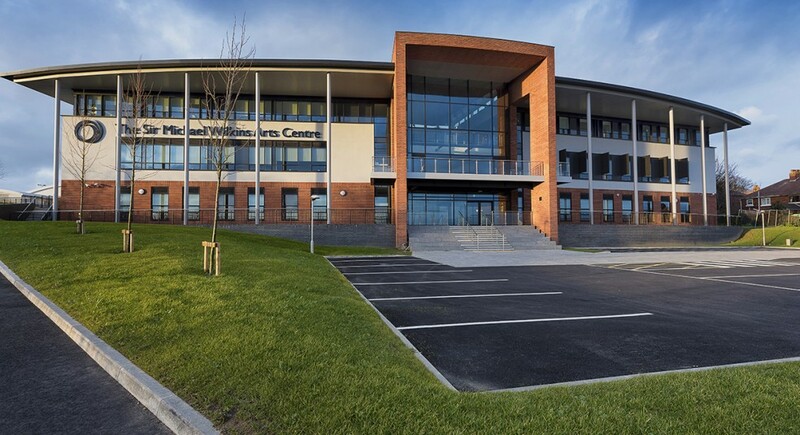 The 100,000 ft² building accommodates 850 staff and provides an executive suite and a specialist training centre along with full servicing facilities, storage and plant and an on-site car park with 500 spaces. 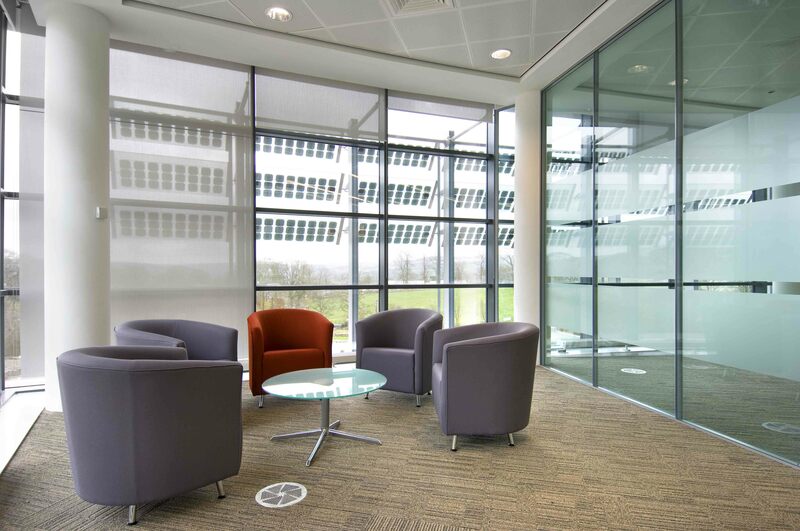 Bowman Riley worked closely with the client on space planning to all areas of the building. 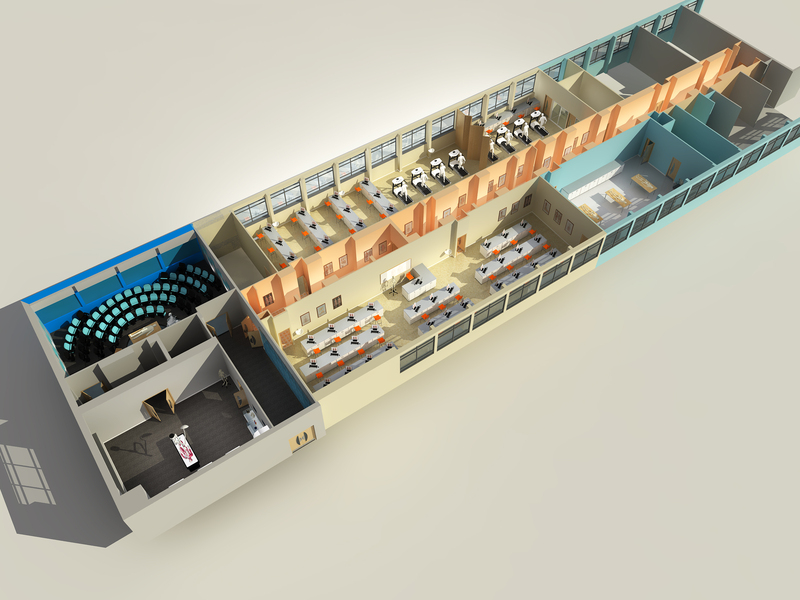 Numerous options were explored to determine maximum flexibility, which was of prime importance to ensure the future proofing of the building. 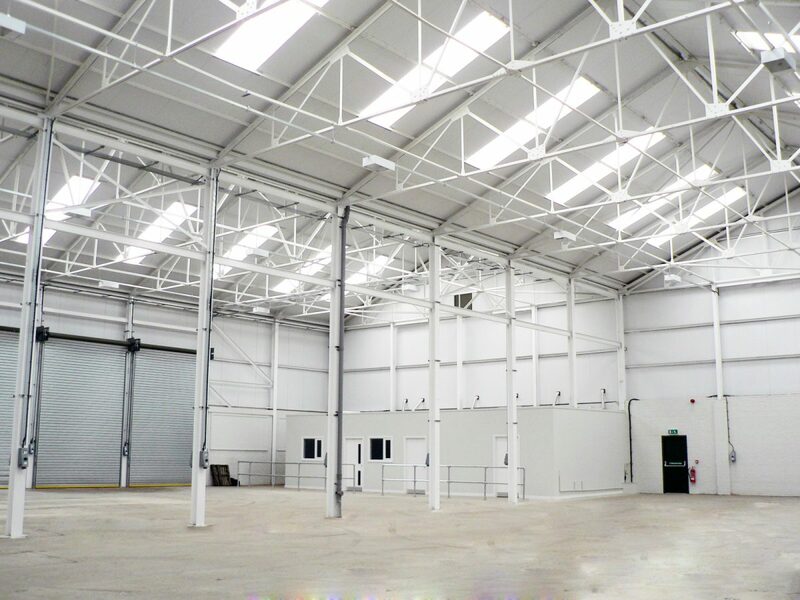 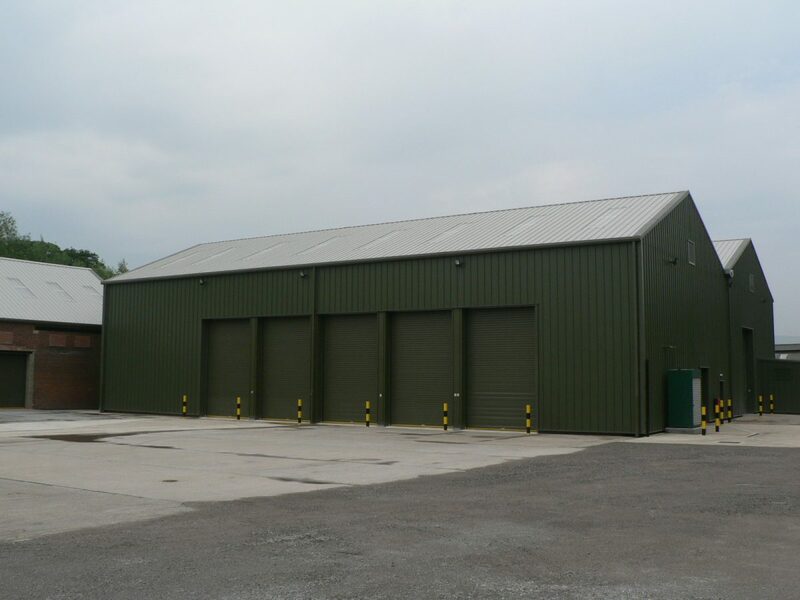 The steel frame building was designed to minimise its impact on the surroundings and incorporates energy saving features such as biomass boilers, rainwater harvesting, solar hot water panels, passive chilled beams, extensive solar shading and photovoltaic cells. 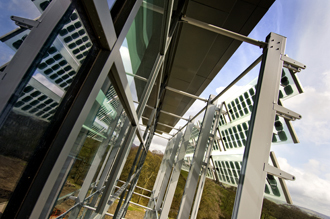 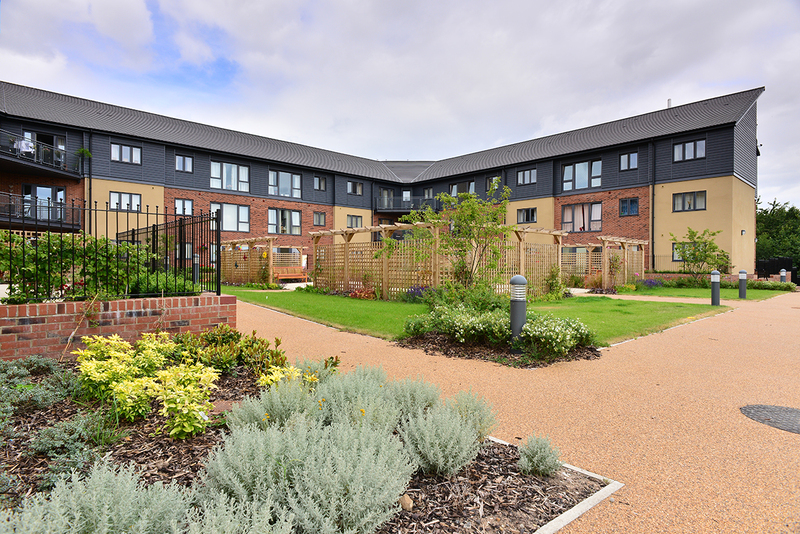 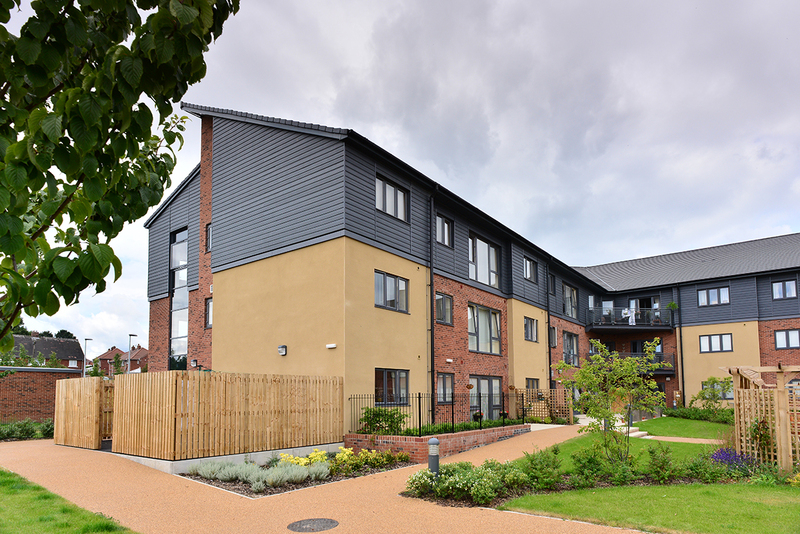 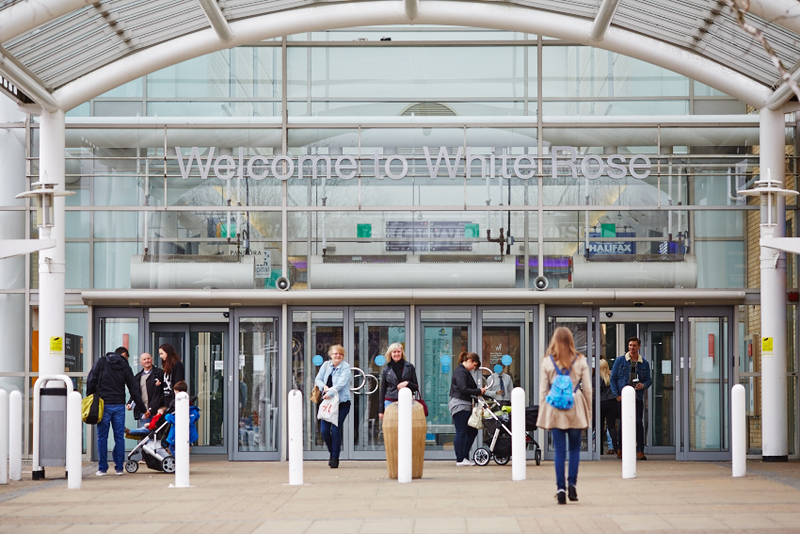 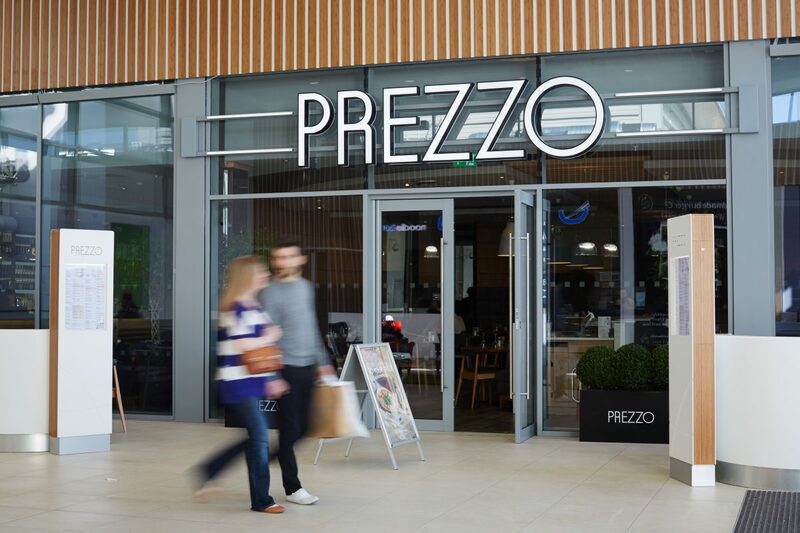 The development received a Very Good BREEAM rating. 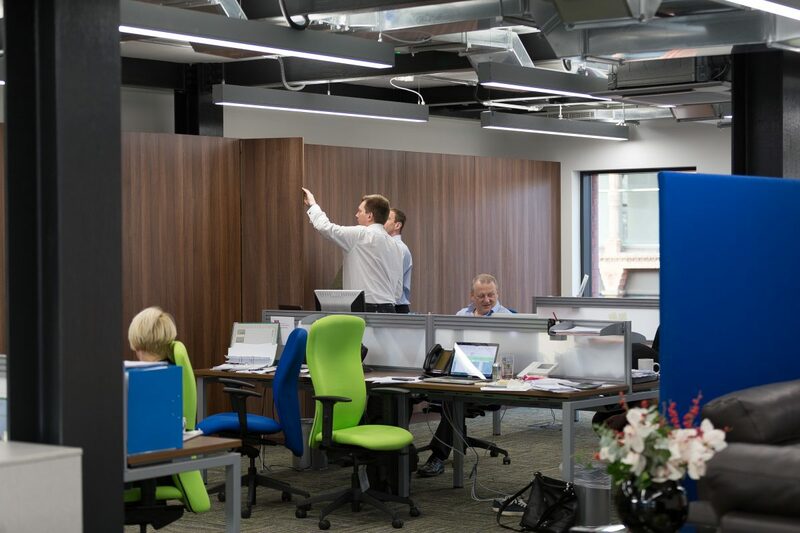 Bowman Riley Interiors provided space planning and interior design on the offices of Waddington Turner Wall, a firm of solicitors based in Keighley. 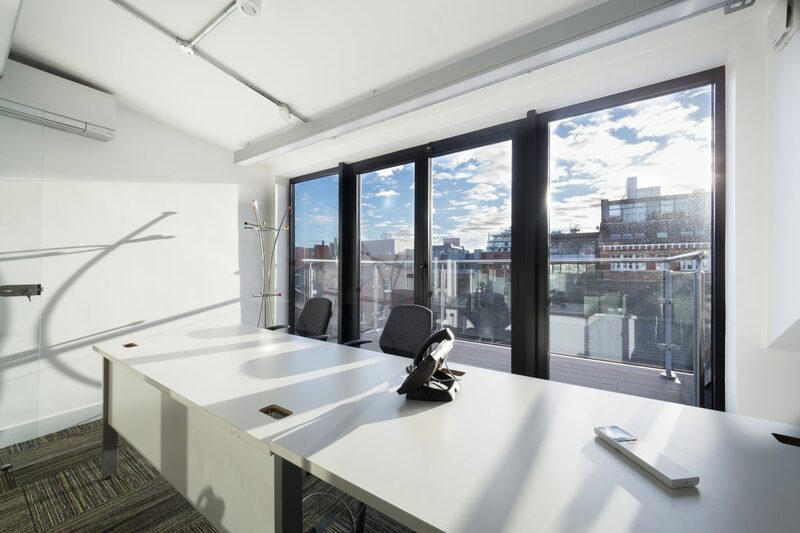 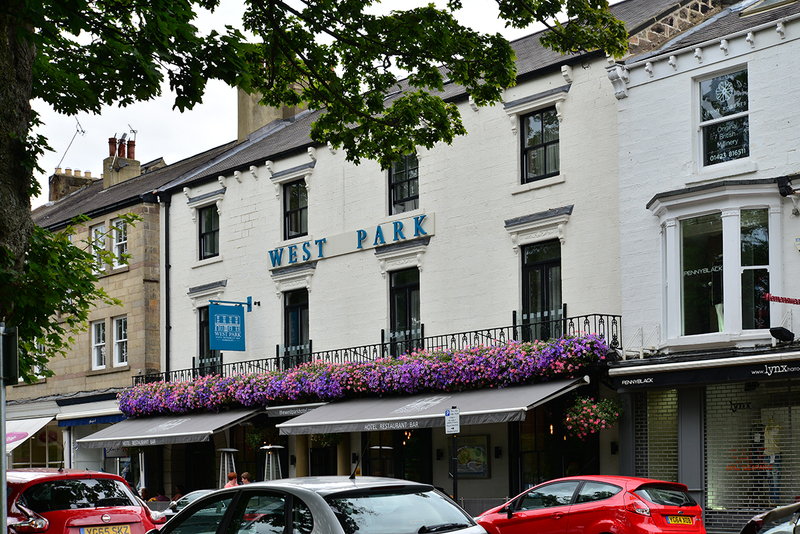 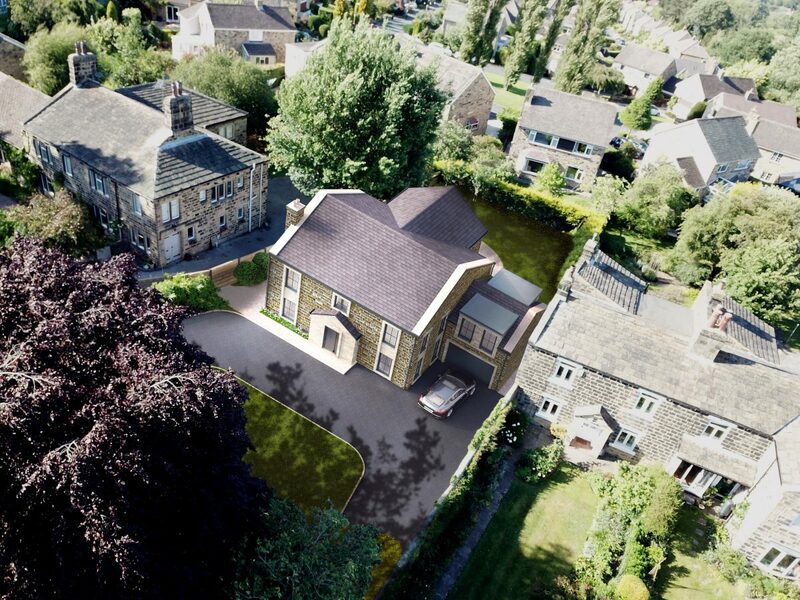 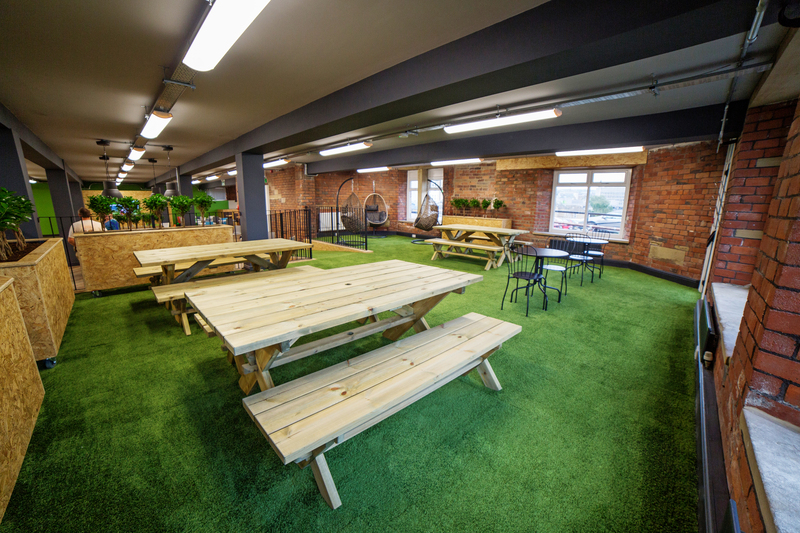 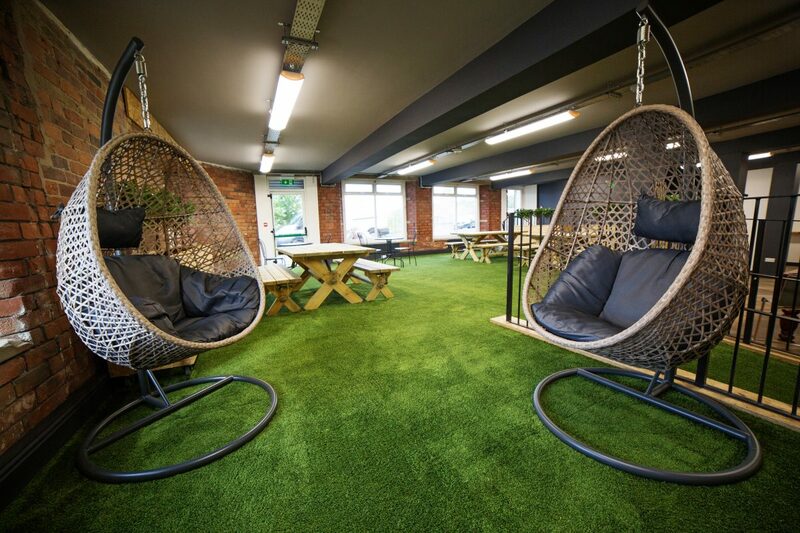 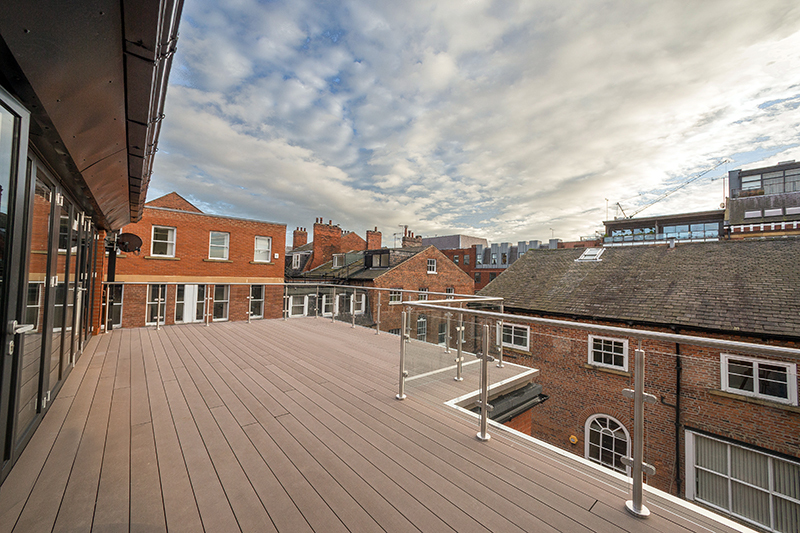 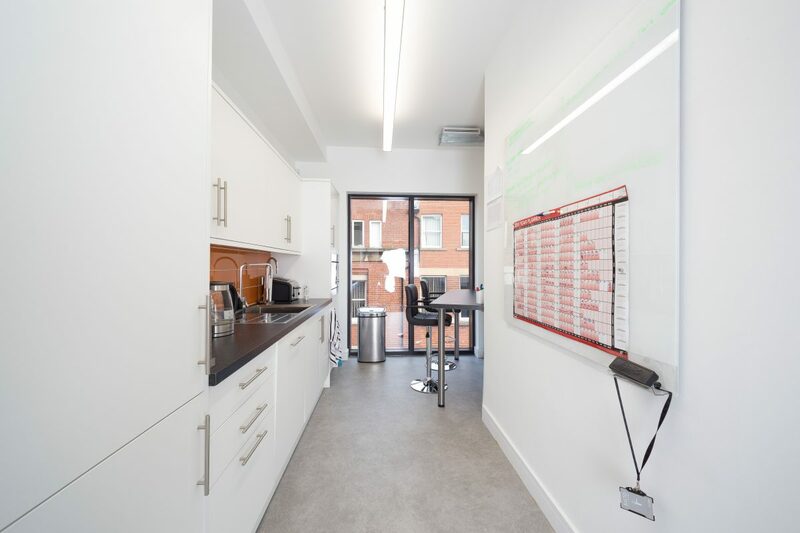 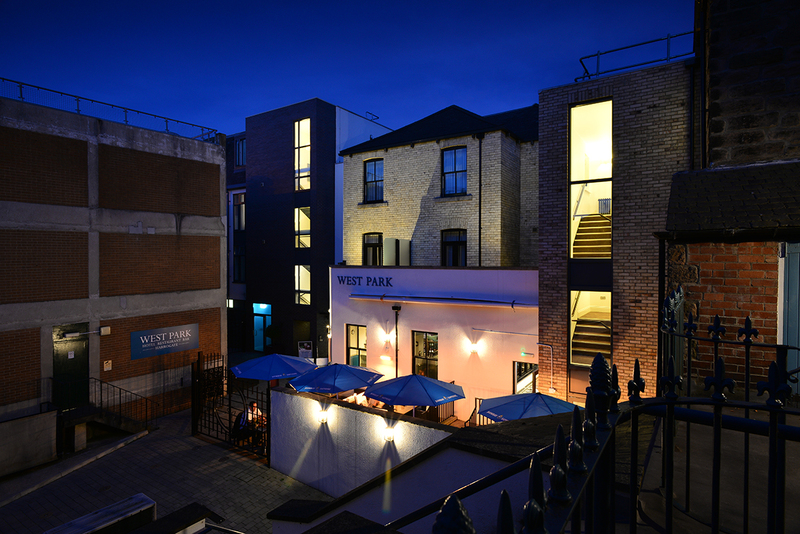 Waddington Turner Wall purchased a series of 19th century terrace properties as their new 350m2 offices close to their existing premises to increase their office space to give the company the scope to continue to grow. 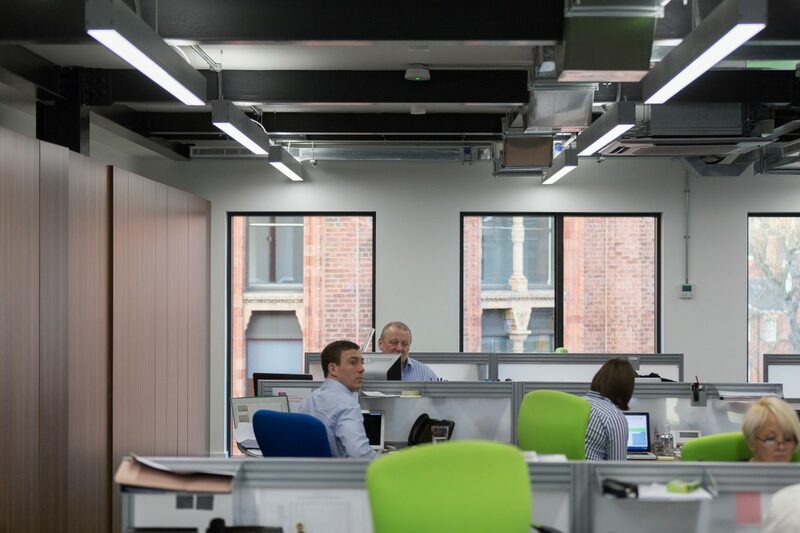 Bowman Riley has created an appealing workspace in line with their aspirations of continuing to attract and retain the best staff. 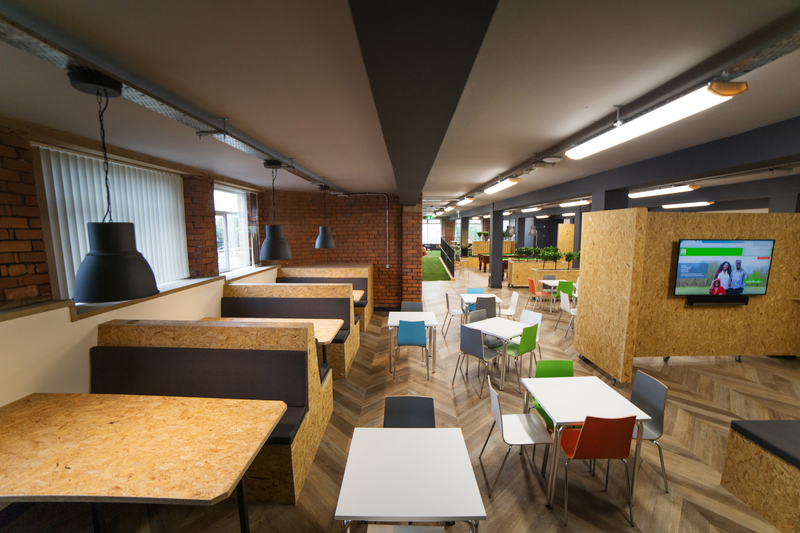 The overall design is modern, fresh and inviting. 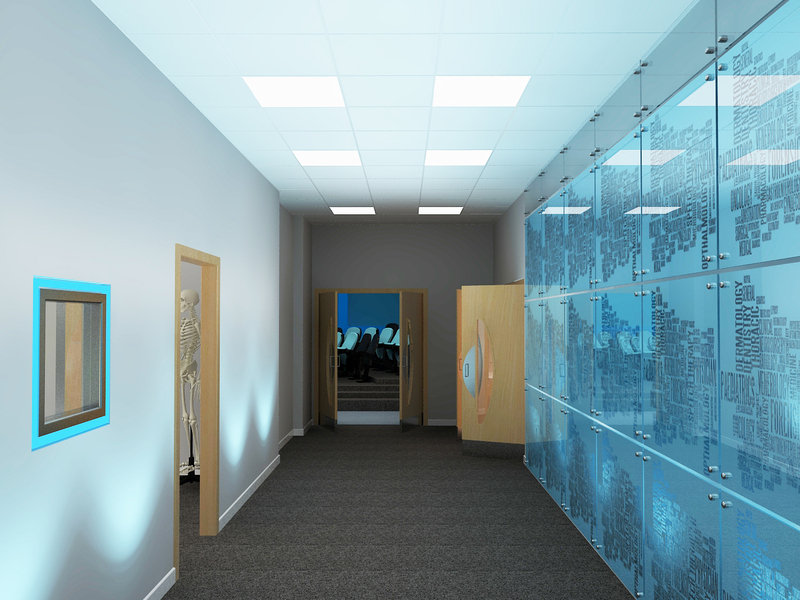 We have specified a pallet of blues to match the solicitors’ brand with greys and white to compliment. 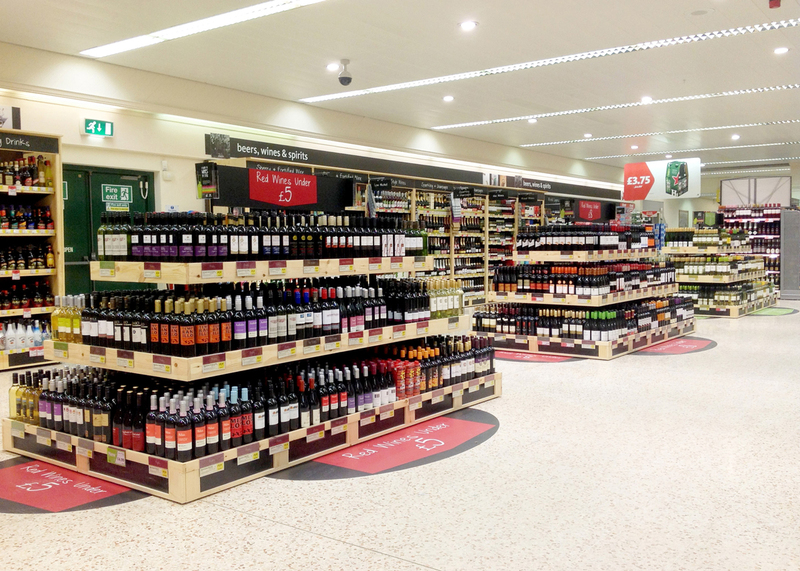 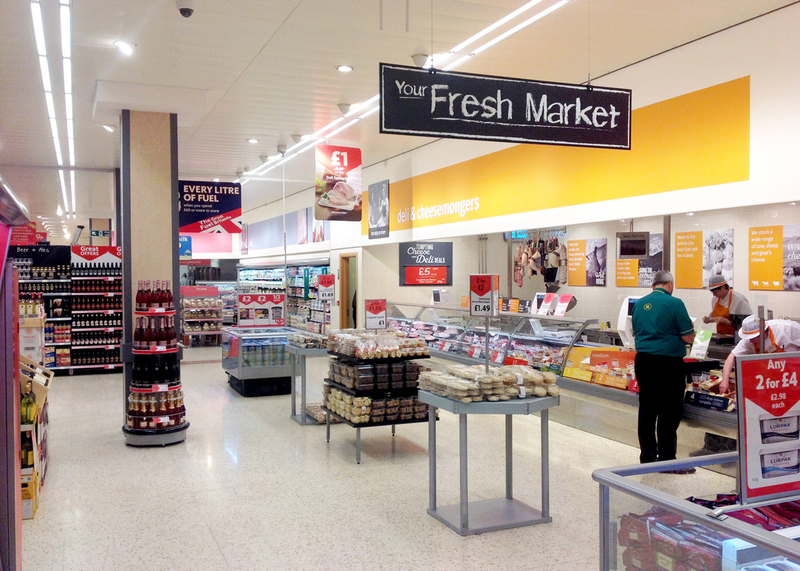 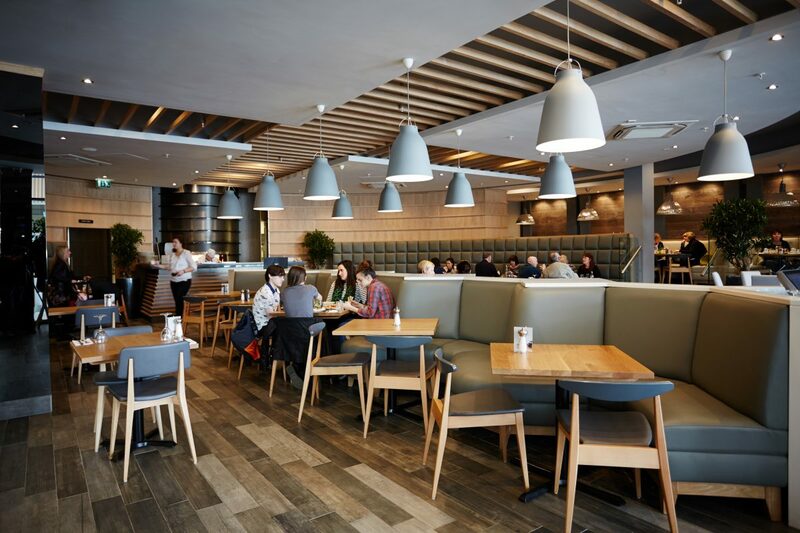 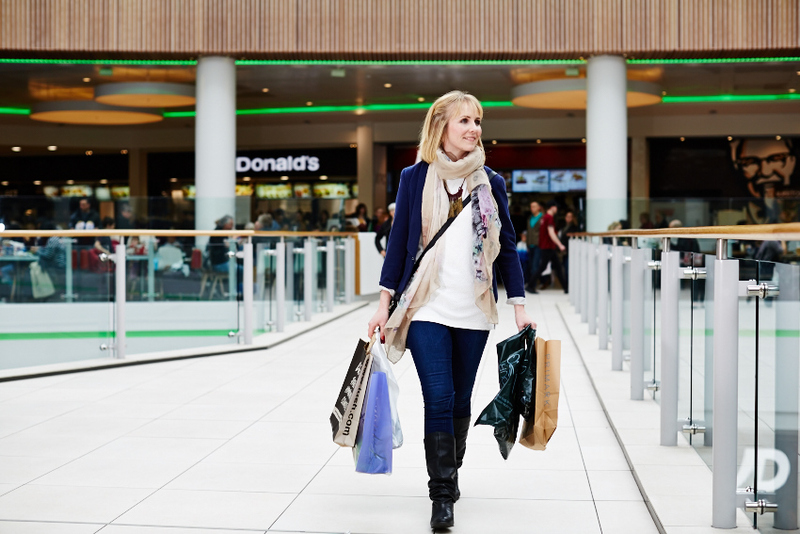 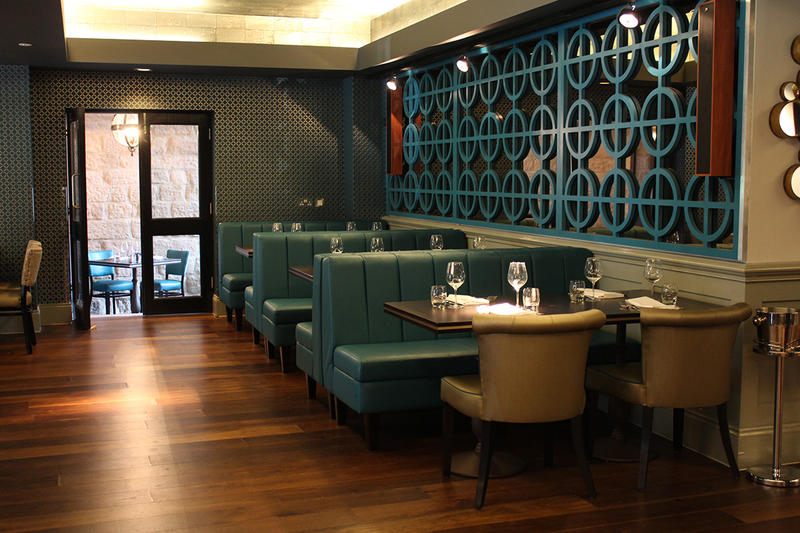 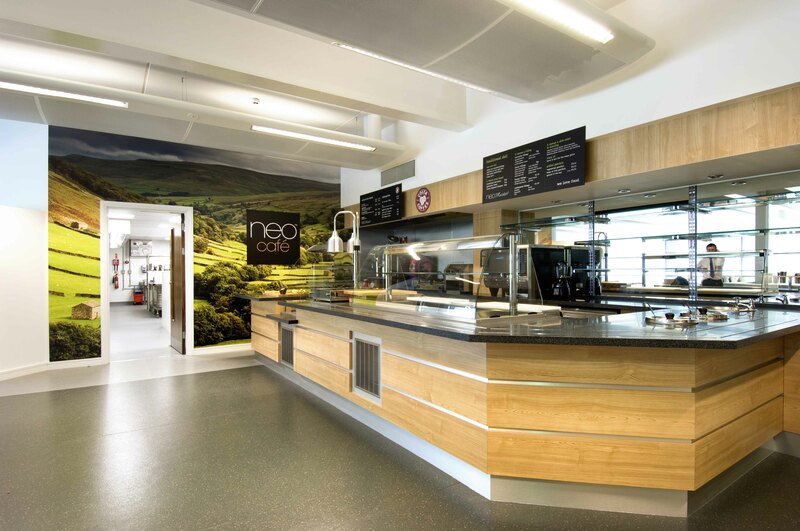 Bespoke wallpaper has been used in specific areas to reflect the brand. 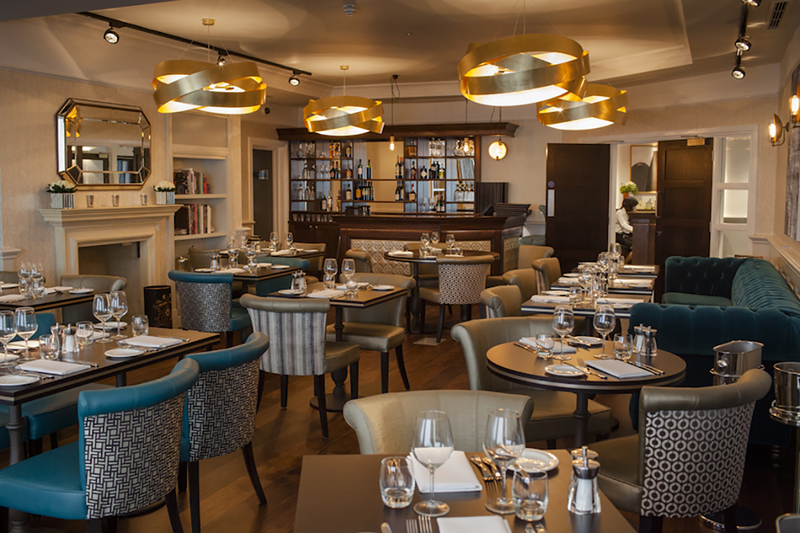 The original Victorian elements have been exposed where possible with ceiling roses and original fireplaces. 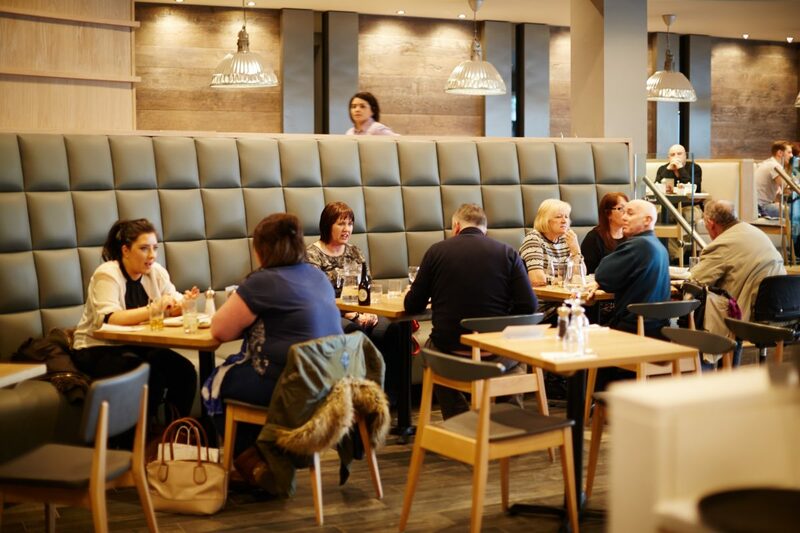 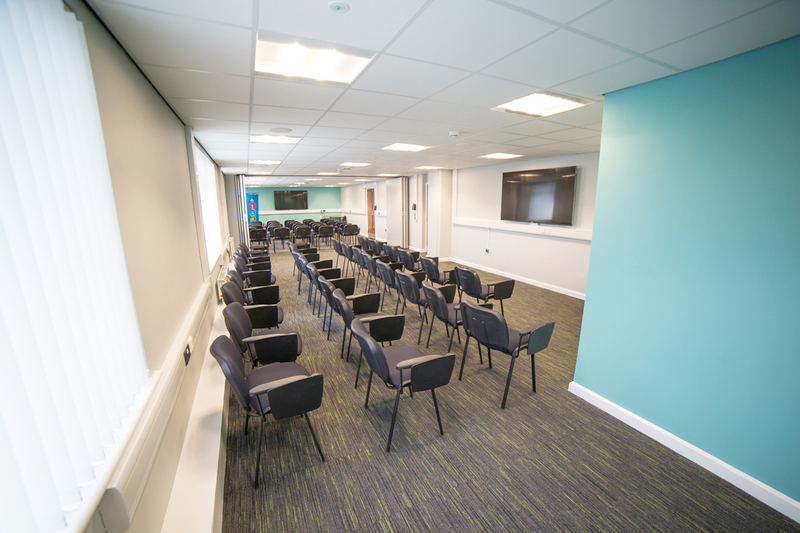 The reception area will be on two levels furnished with Hygge style chairs and fully accessible to those with limited mobility. 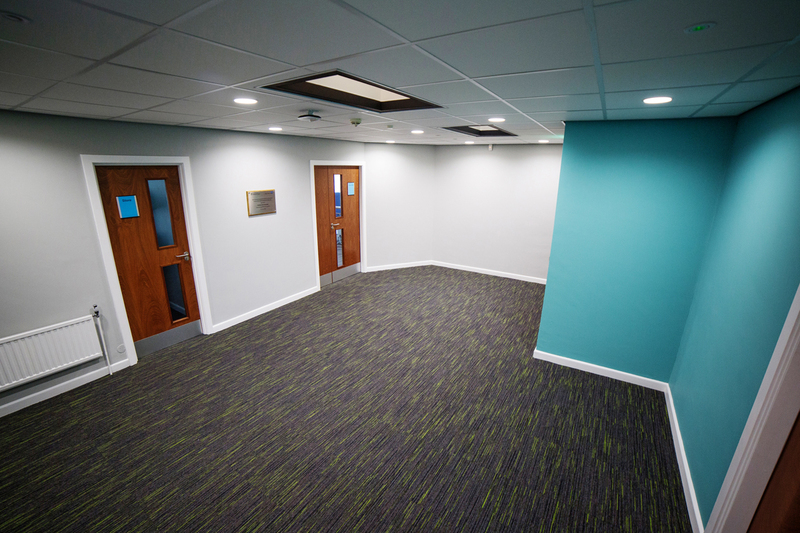 A playful mix of three shades of carpet styles with light wood oak on reception will welcome staff and clients. 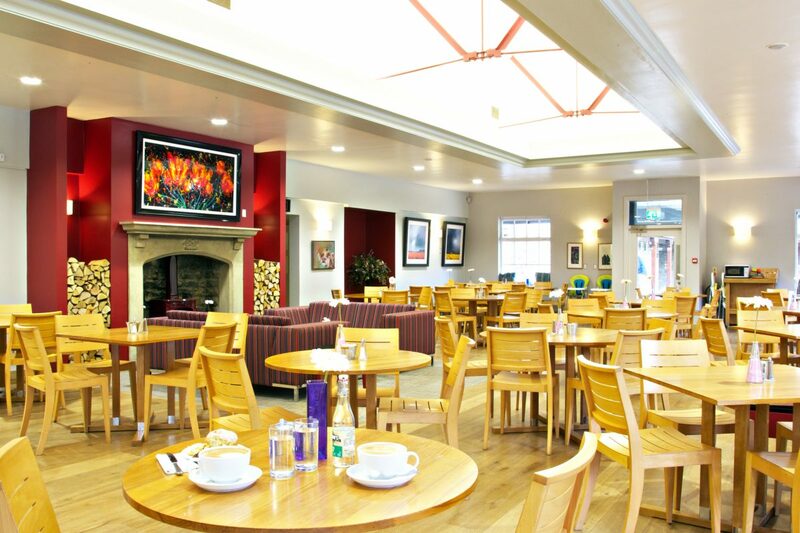 To give a local feel, we have used a historic map of the town as a backdrop in the waiting area. 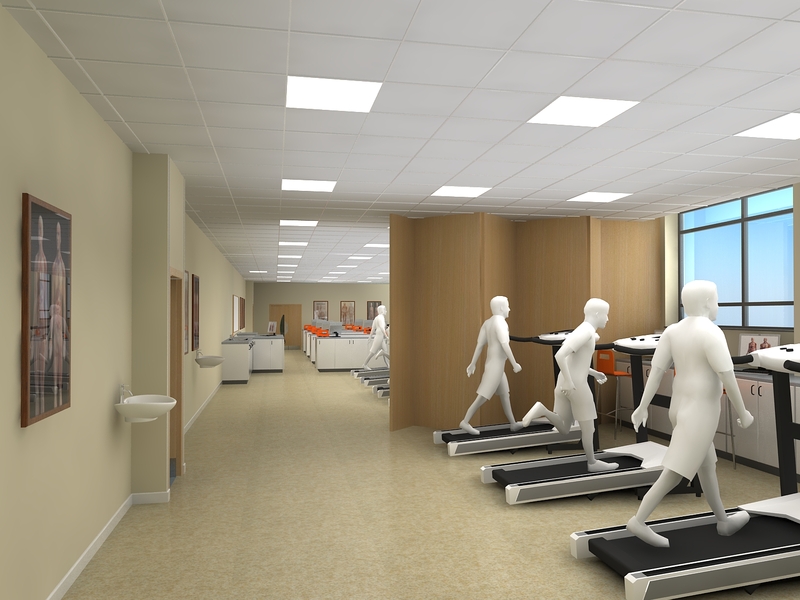 The whole of the ground floor will be dedicated to meeting facilities with nine meeting rooms including a mediation suite. 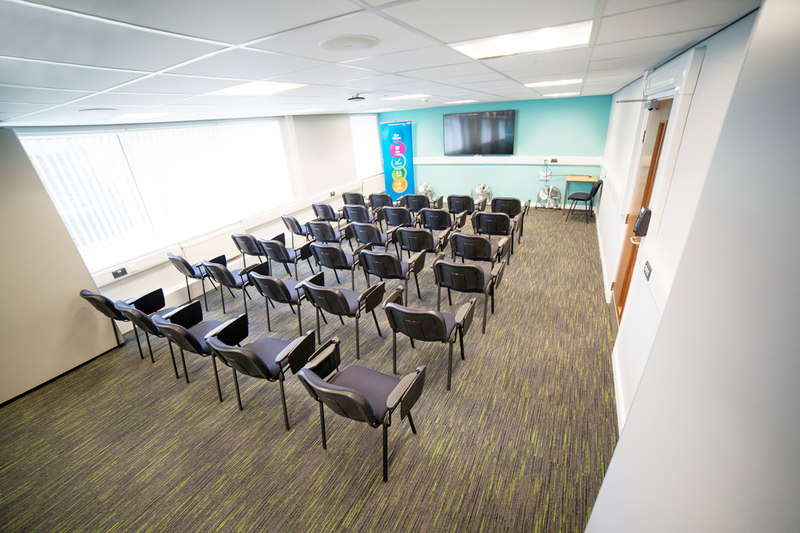 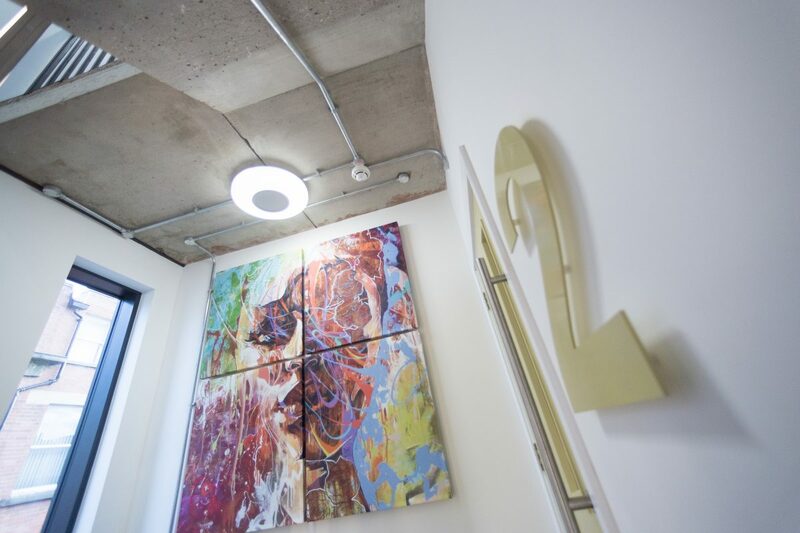 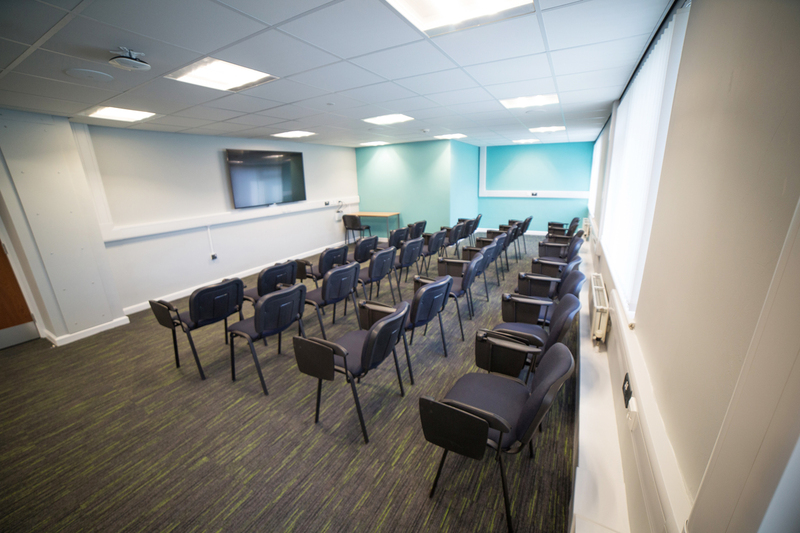 The mediation suite includes the provision of two large meeting rooms that will have state of the art ‘click & view’ facilities as well as access to additional breakout rooms. 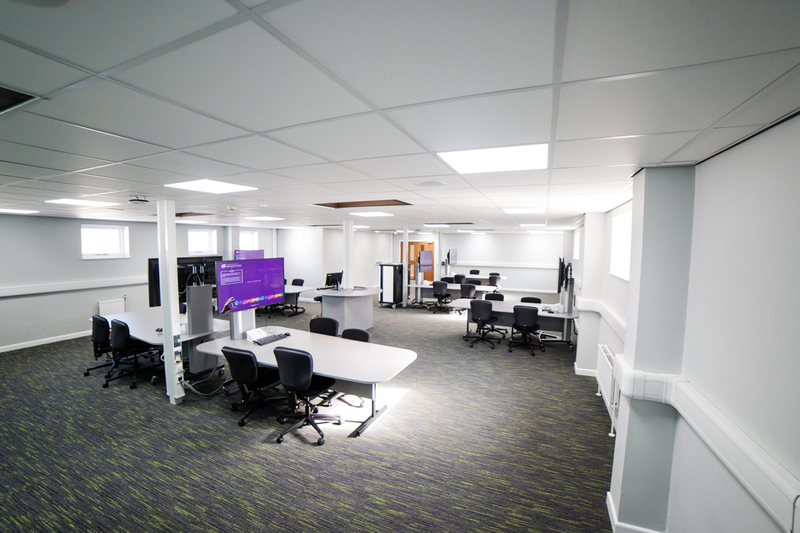 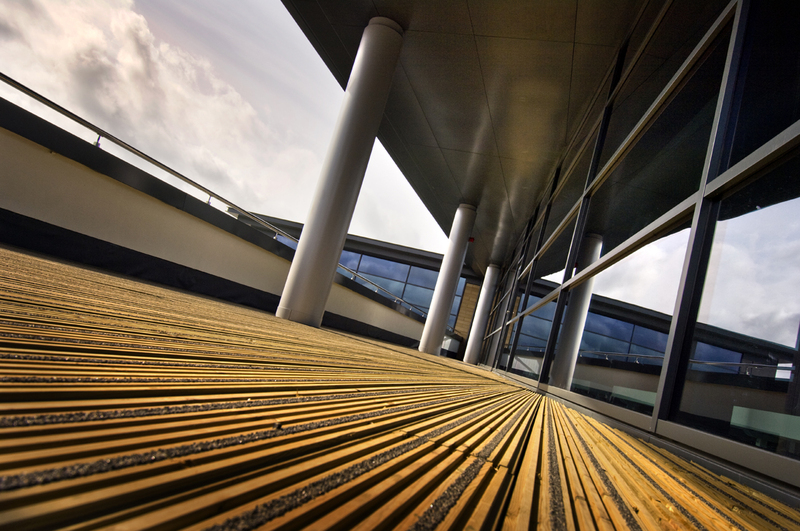 Under a framework agreement with the University of Bradford, Bowman Riley designed and managed the refurbishment of the second floor of the JB Priestley library. 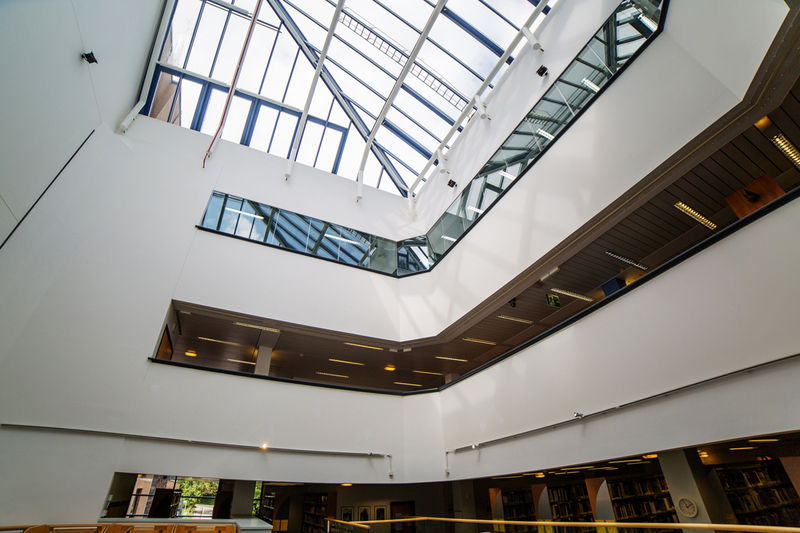 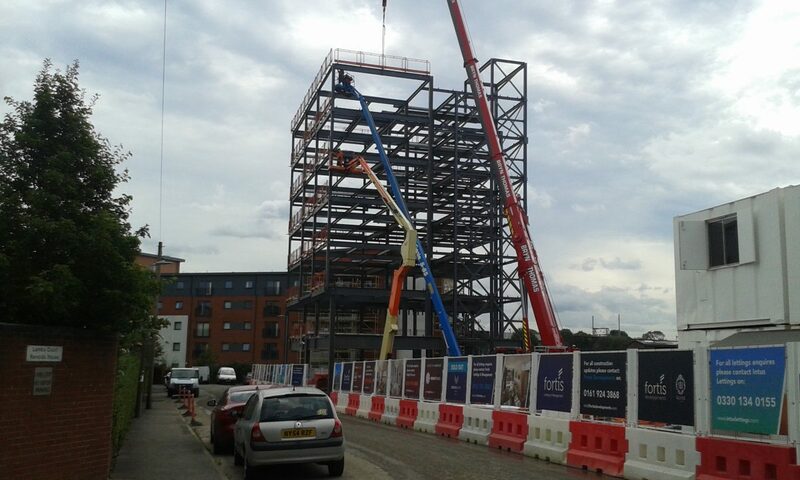 Located on the main city campus, this project forms part of the ongoing restructuring of the library facilities. 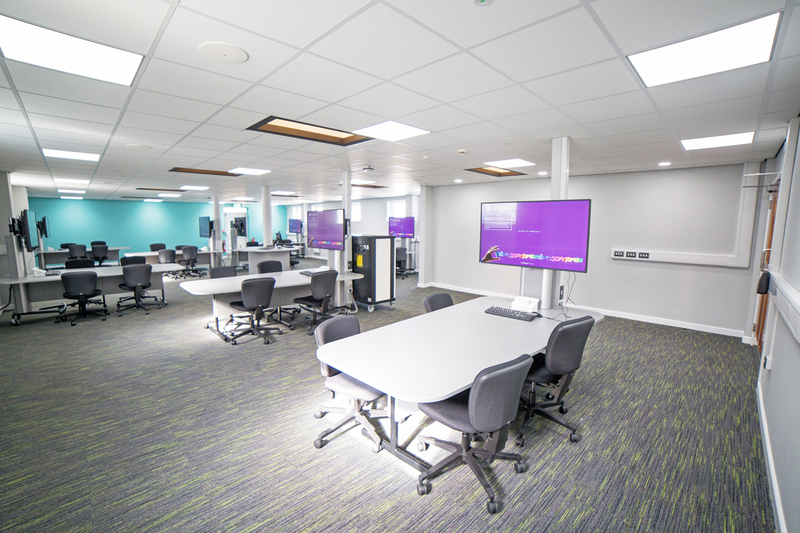 Student requests for improved group study areas led to the decision to relocate the University’s IT department to the second floor of the library. 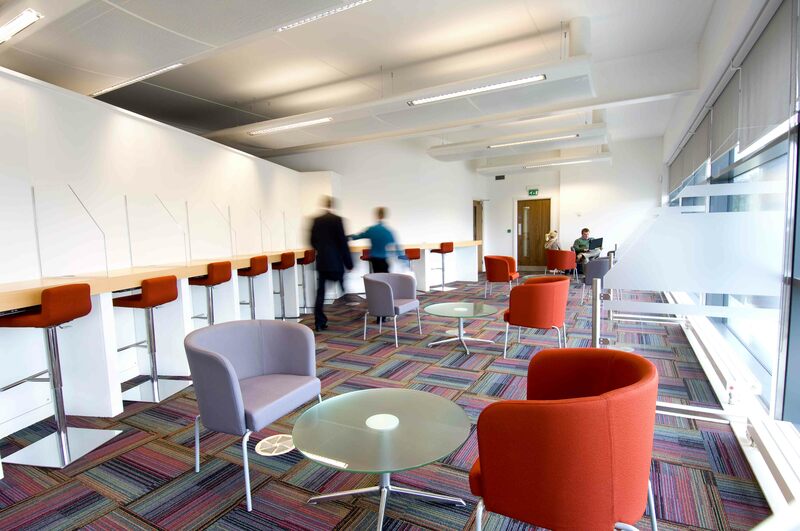 This move released space on the lower ground floor for a series of group study areas. 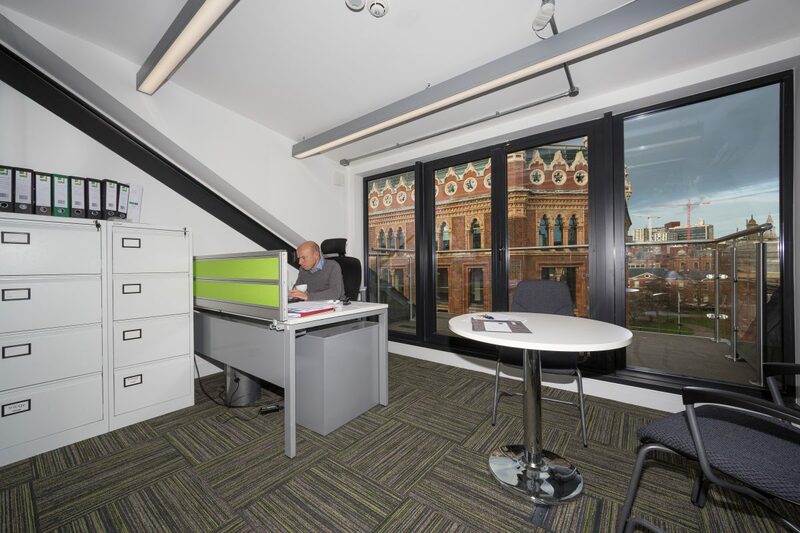 On the second floor of the library, we created an open plan office environment for the IT department. 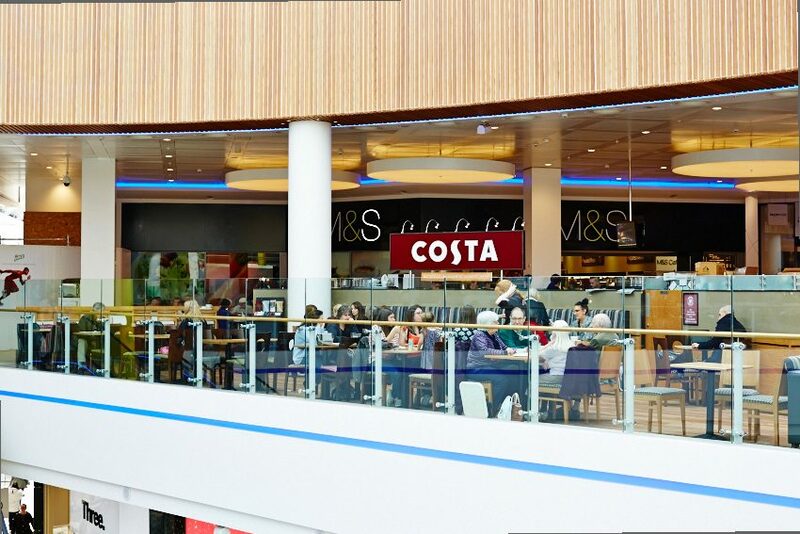 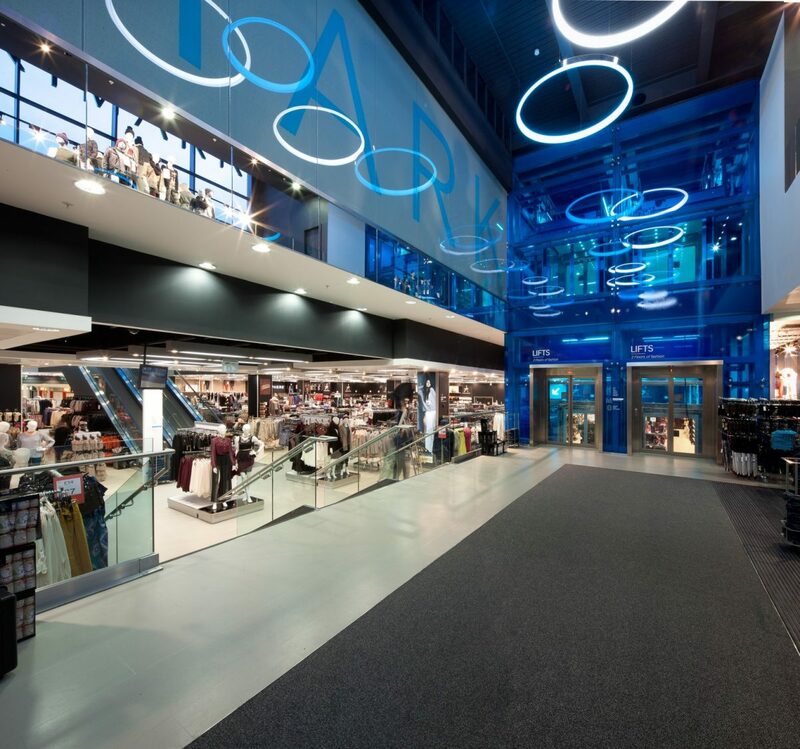 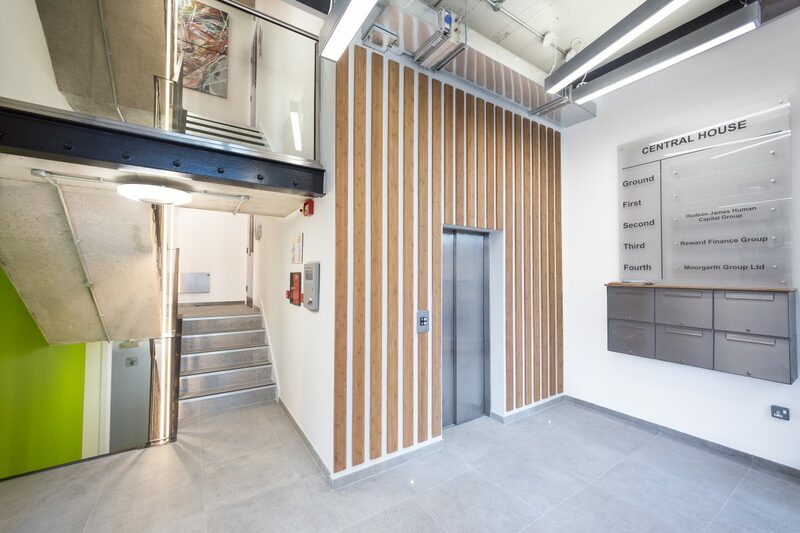 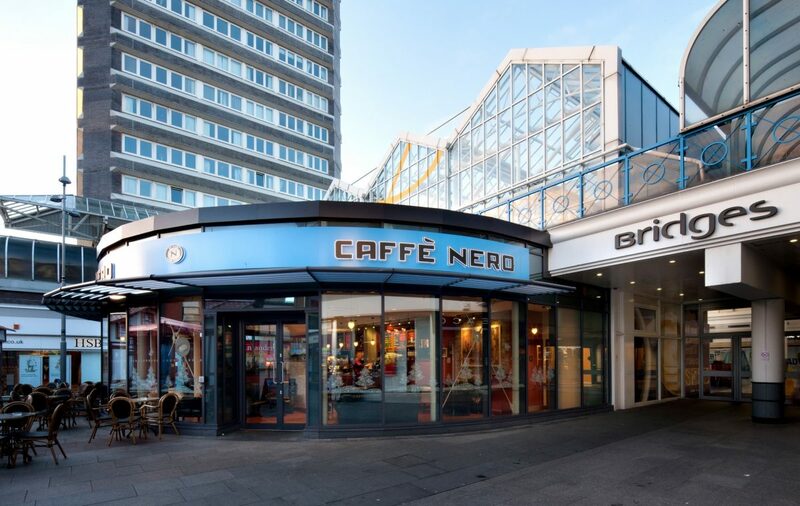 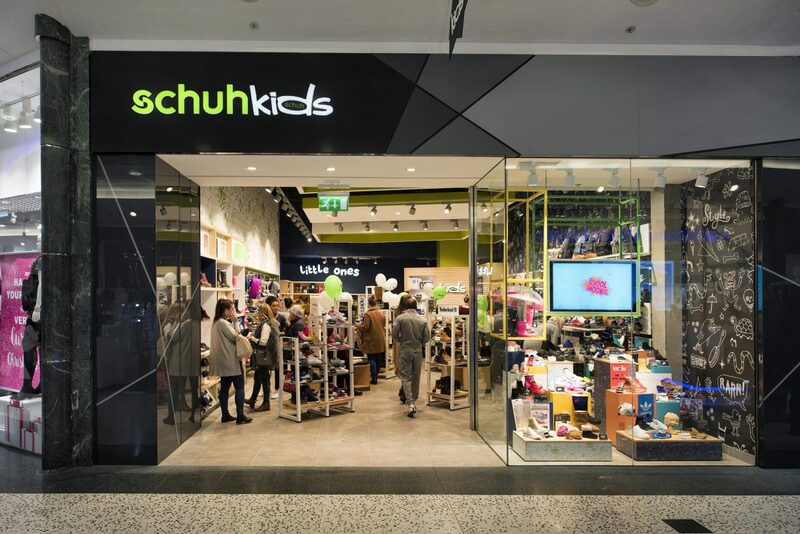 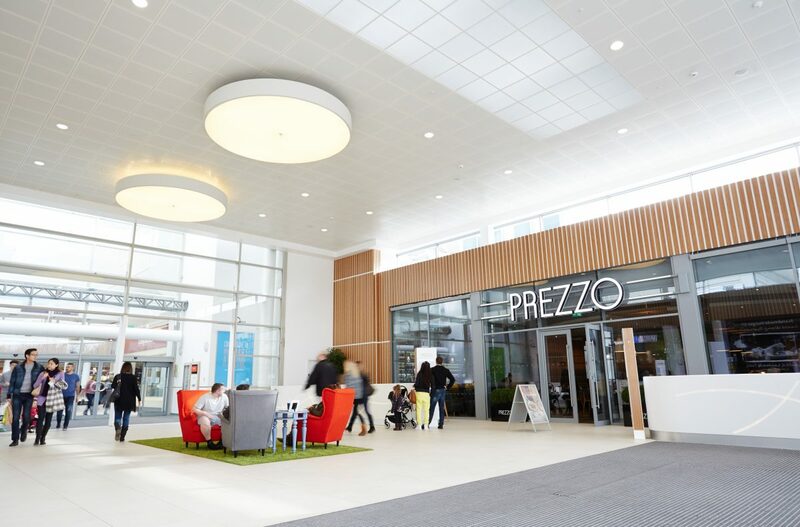 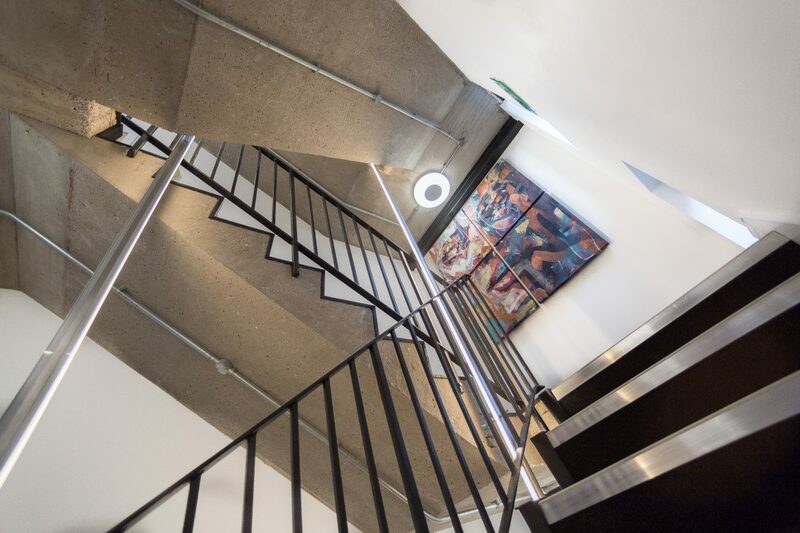 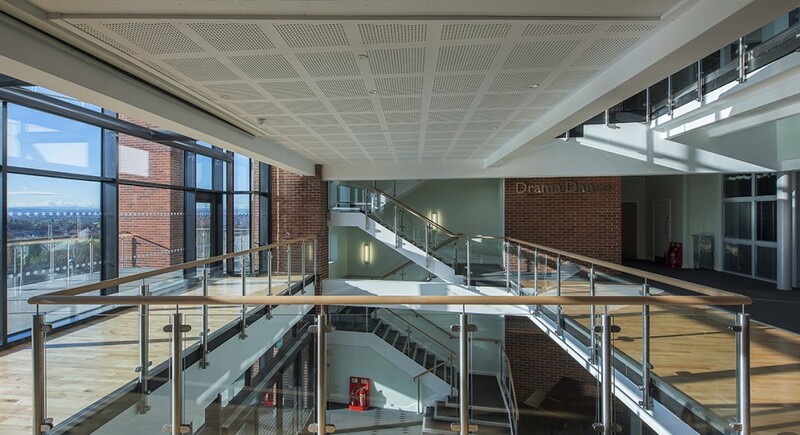 The project involved the demolition of internal walls to create the open plan space, the introduction of new glazing to the atrium area, new power and data and additional furniture. 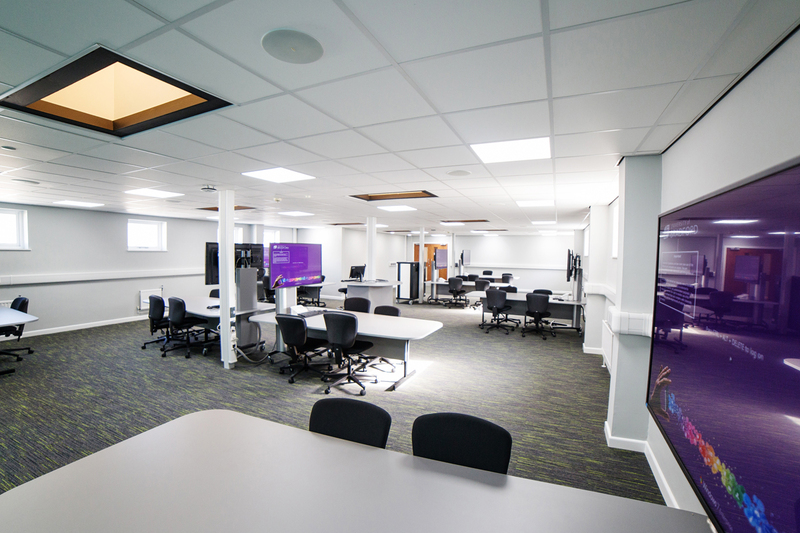 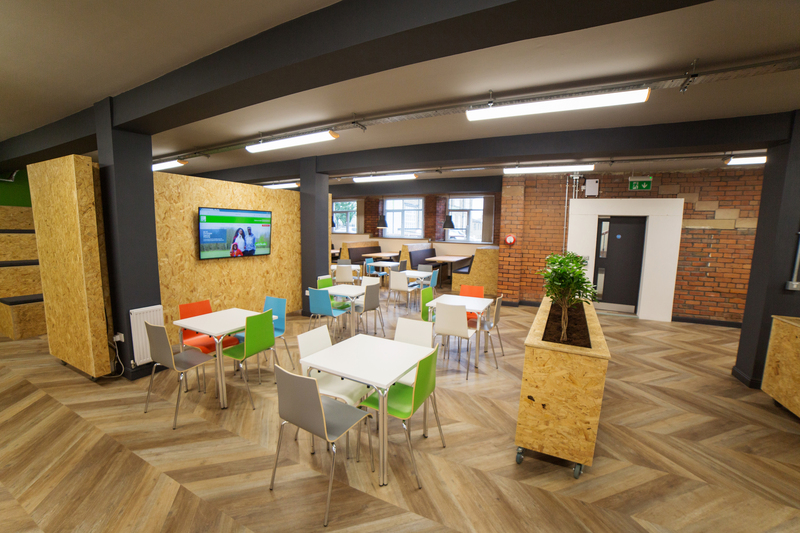 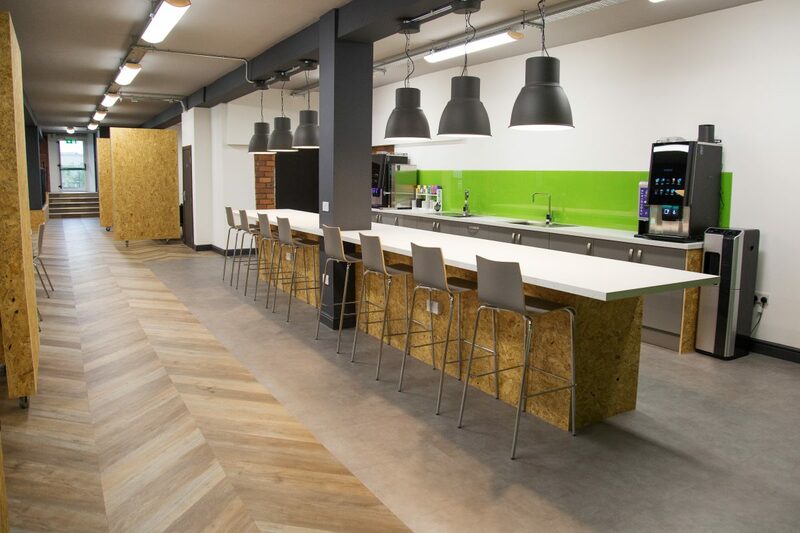 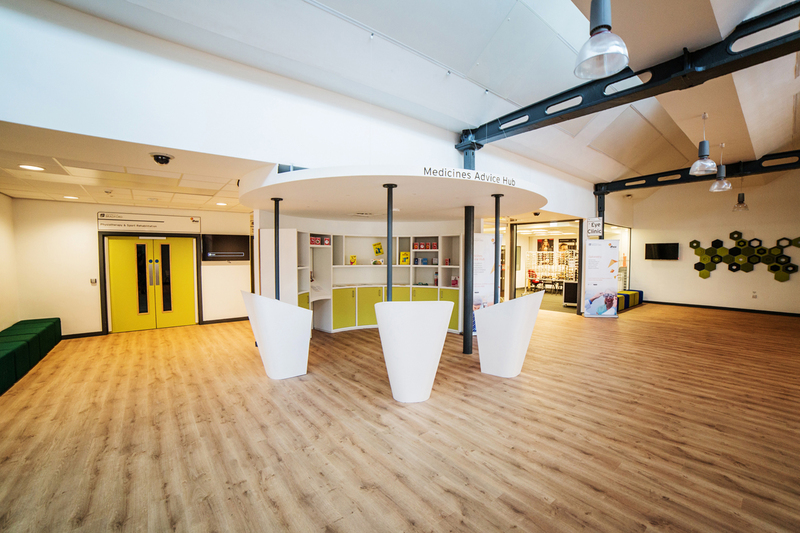 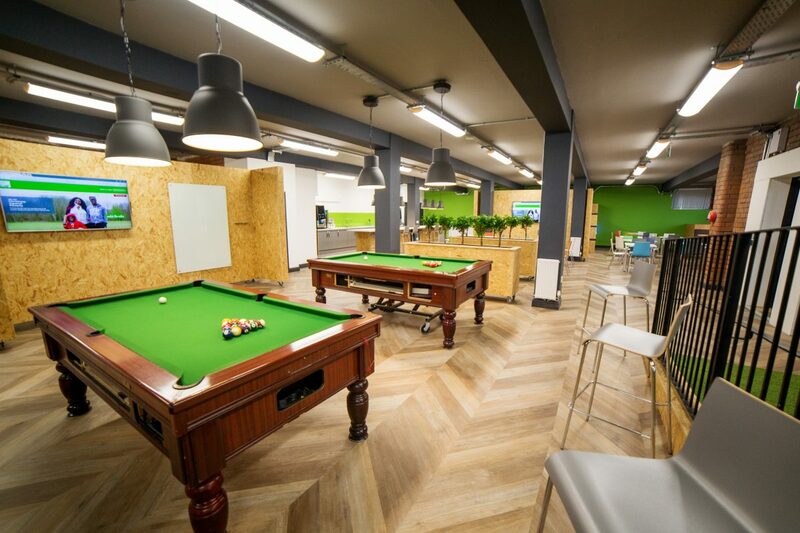 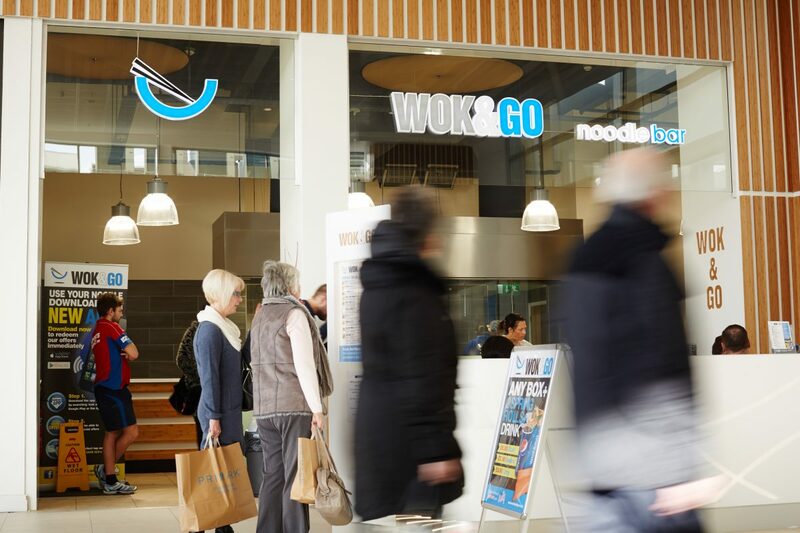 The successful conclusion of this refurbishment led to a project to oversee changes to the lower ground floor to accommodate the student study areas. 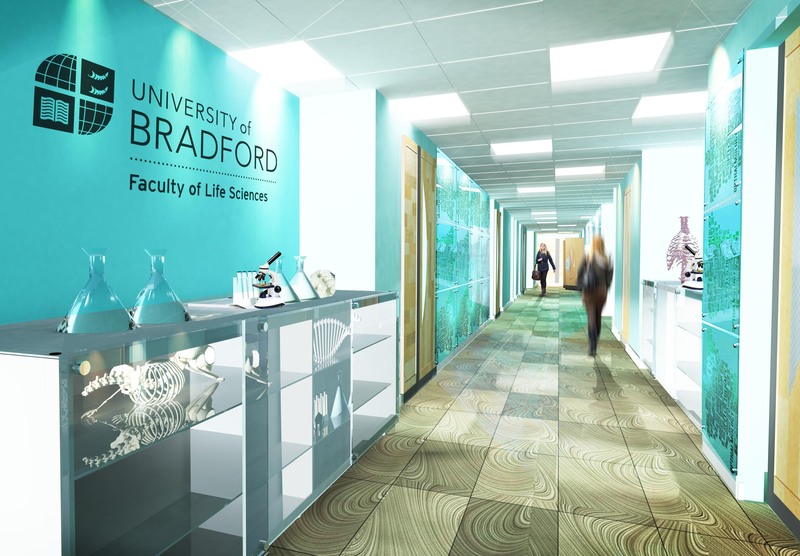 At the University of Bradford, Faculty of Life Sciences has the highest number of students of all of the schools, with more than 2,000 students. 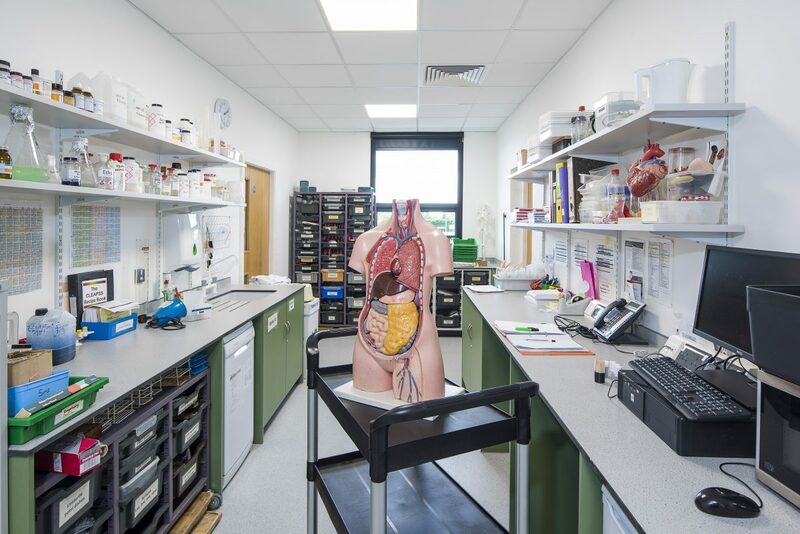 They provide a variety of courses in the areas of Biomedical Sciences, Chemical and Forensic Science, Clinical Sciences, Optometry, Pharmacy and Archaeological, Geographical and Environmental Sciences. 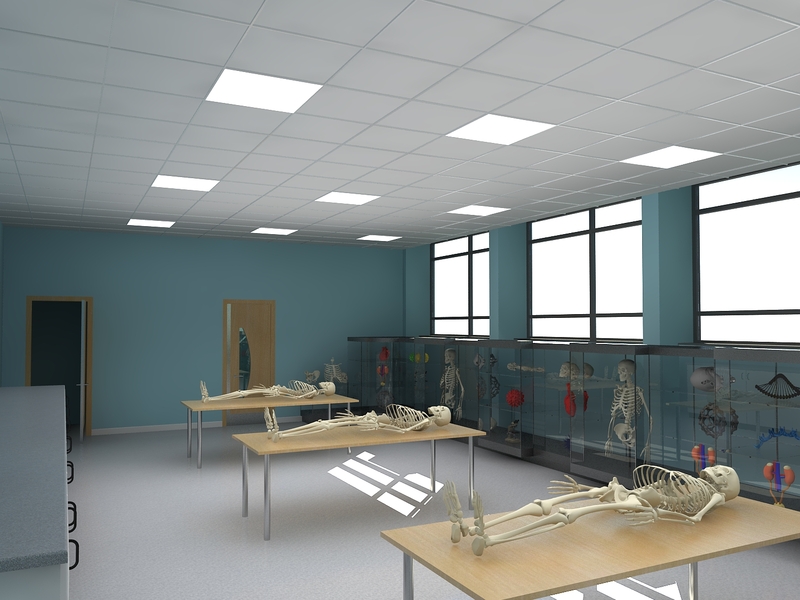 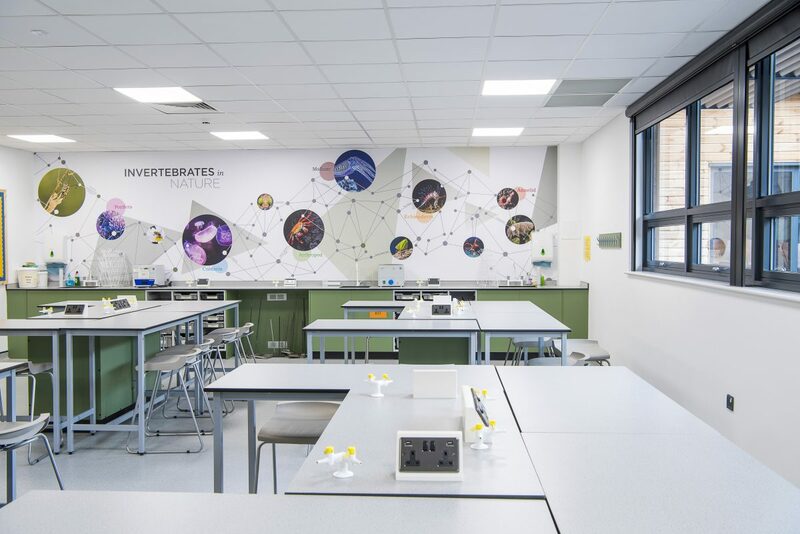 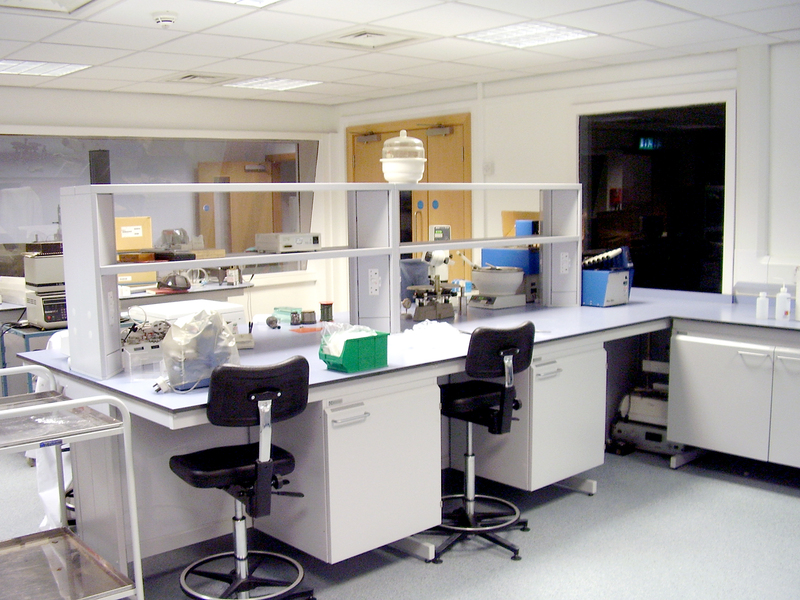 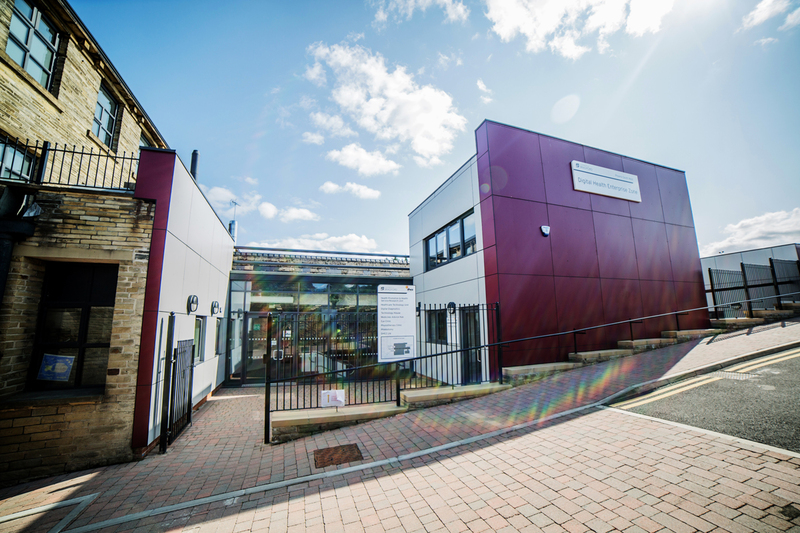 Bowman Riley designed and project managed the first phase of a £4.3 million major refurbishment of the School of Life Sciences. 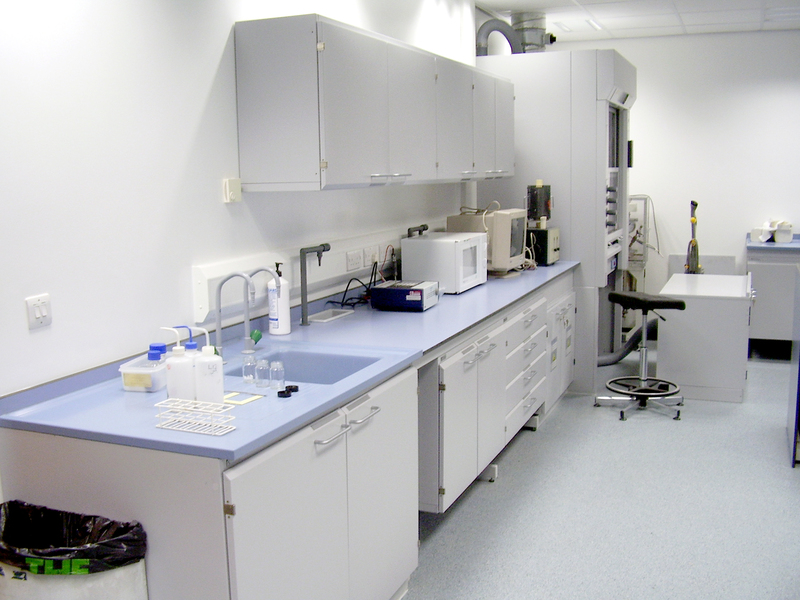 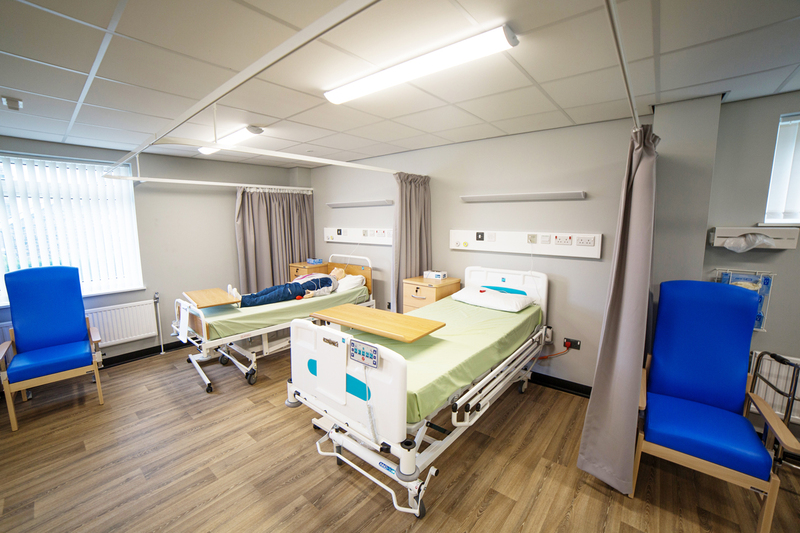 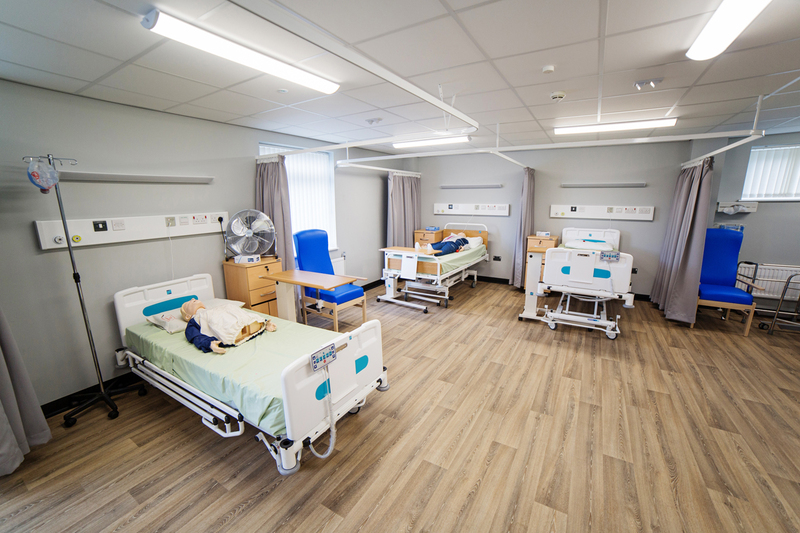 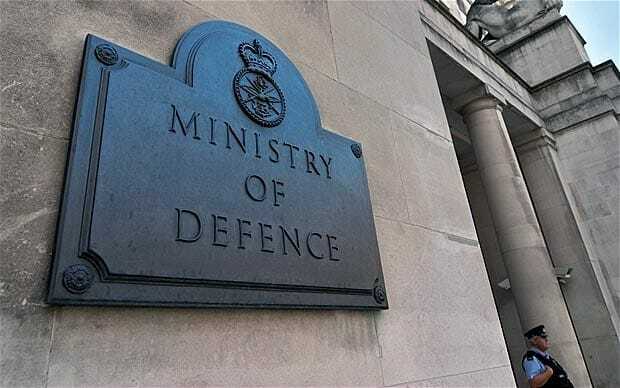 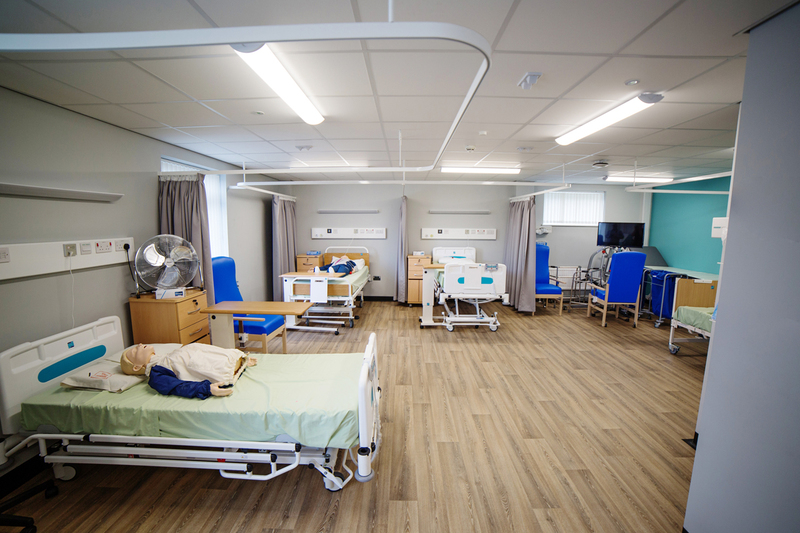 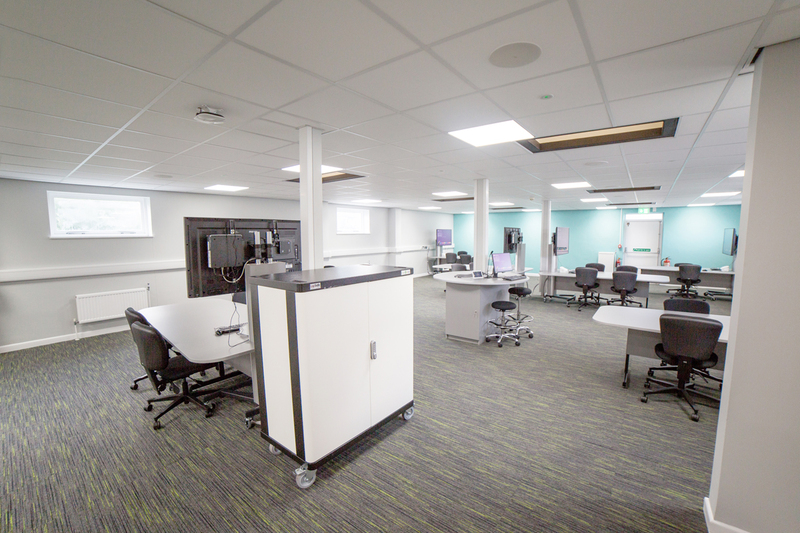 The project involved the modernisation of the biomedical science laboratories, the forensic enhancement suite, clinical skills and aseptic suites. 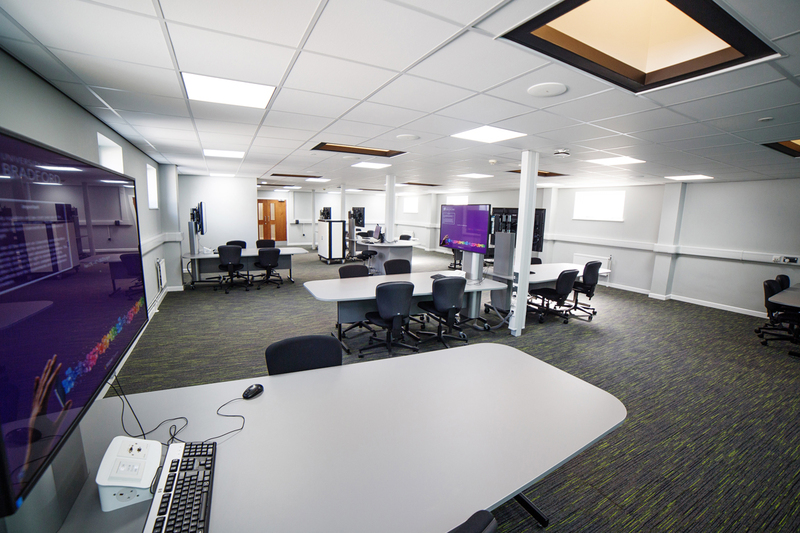 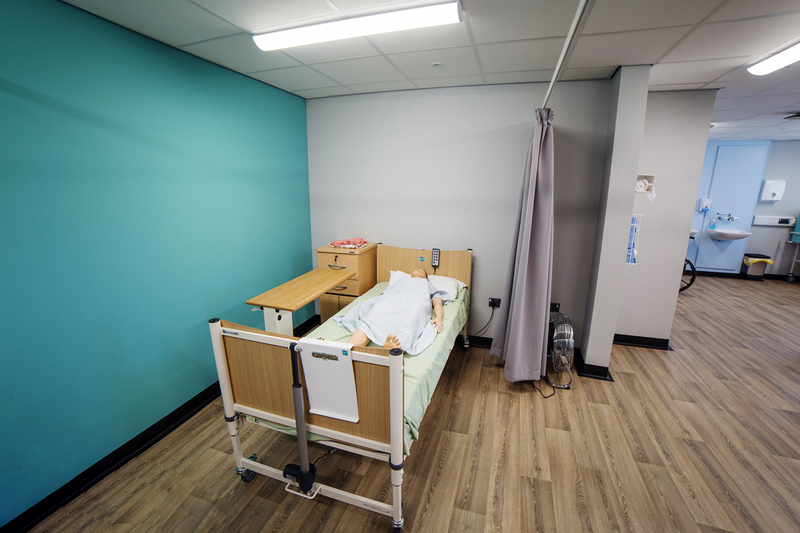 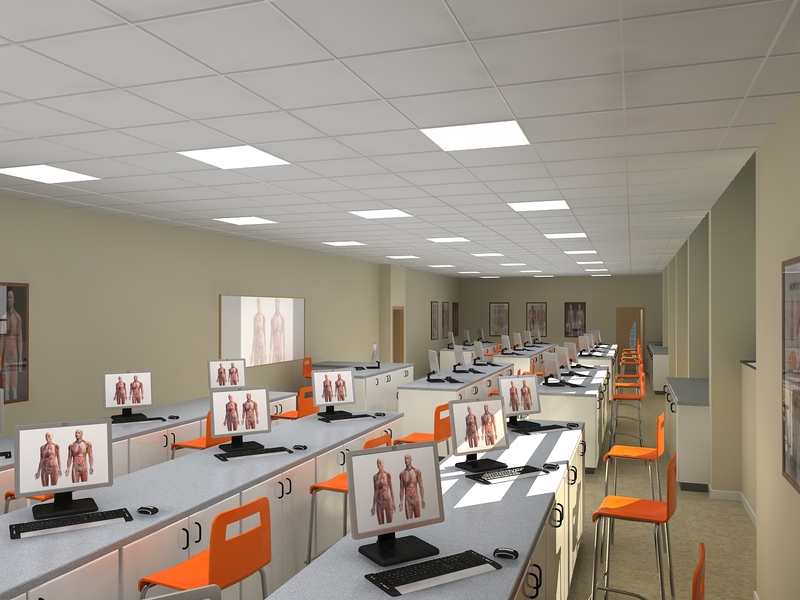 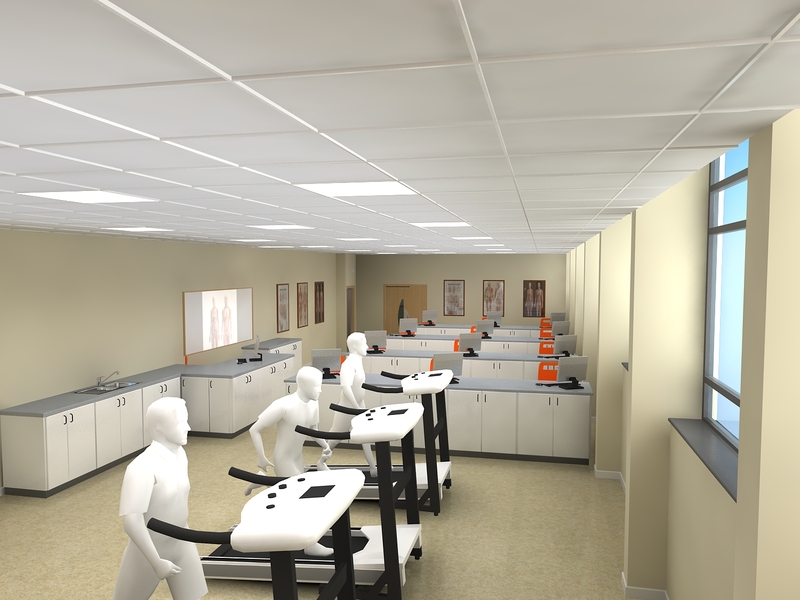 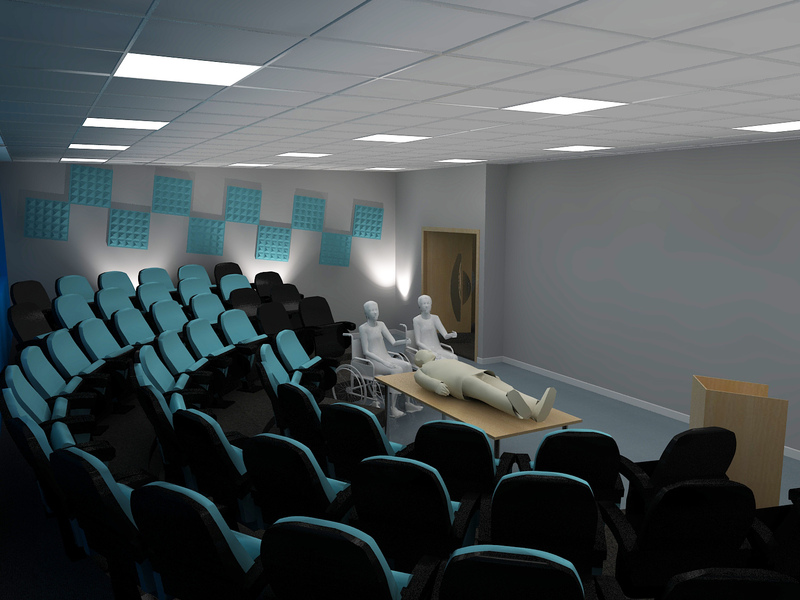 The development incorporate integrated learning, state of the art technology and high quality audio visual (AV) interactive simulation equipment. 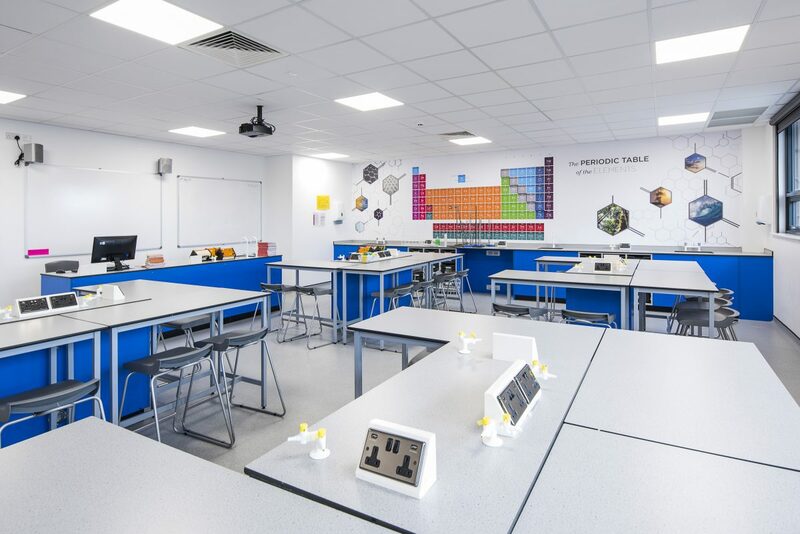 The first phase of this prestigious development has been successfully delivered and has set the quality and standards for the later stages to create a world class teaching facility. 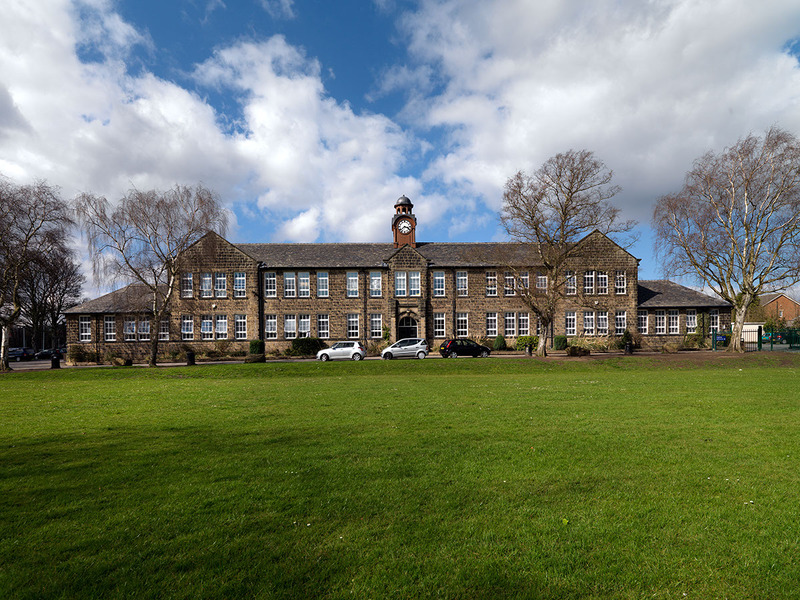 Prince Henry’s Grammar School is a 1400 pupil secondary school and sixth form within a conservation area in Otley. 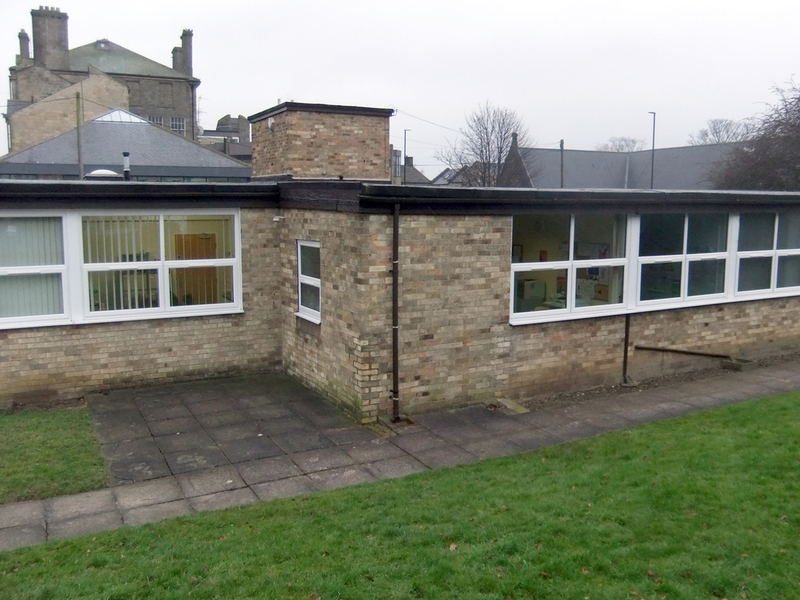 The school moved to the present site in 1923 when the original stone clad two-storey double courtyard building, was constructed. 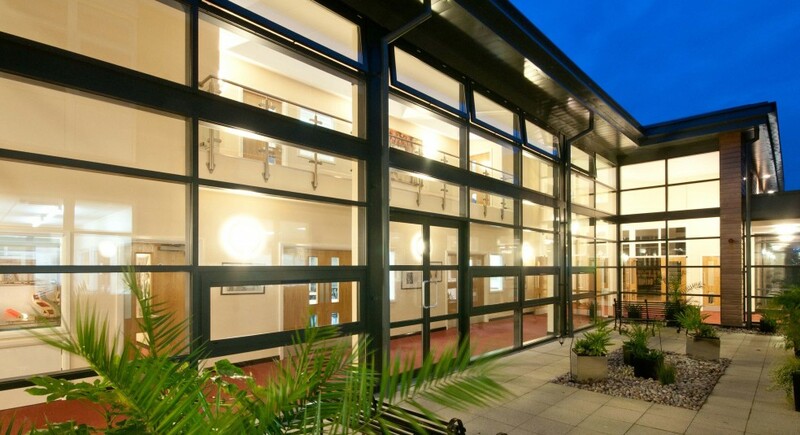 Bowman Riley worked with Prince Henry’s to facilitate their vision of becoming internationally recognised as a successful learning community that provides outstanding education. 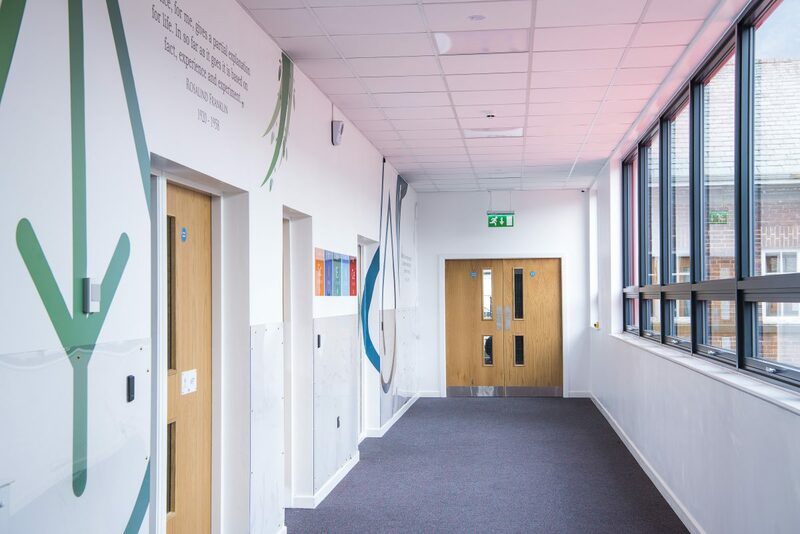 Working collaboratively with the school, we appraised the estate and produced a strategic development plan to enable future projects to be delivered on an incremental basis as the funding became available with the emphasis on creating an identity and hub for its sixth form students. 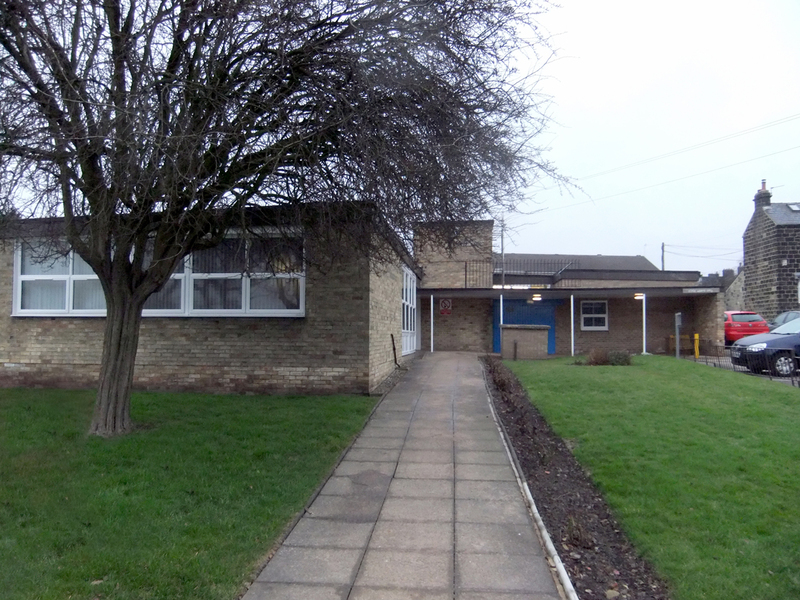 This resulted in funding secured from the Academies Capital Maintenance Fund to undertake a full refurbishment of the historic building. 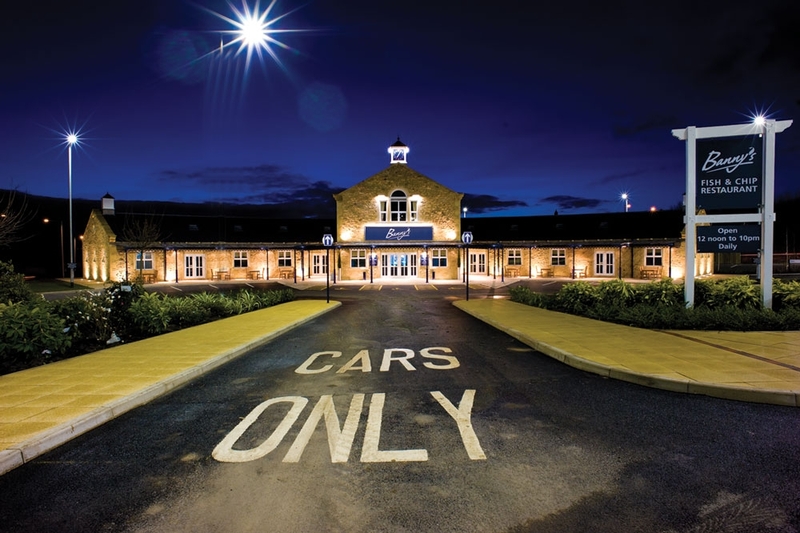 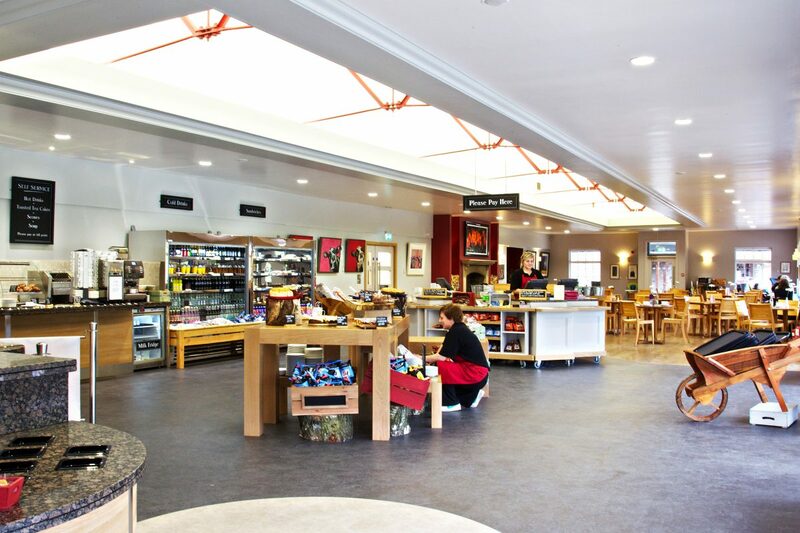 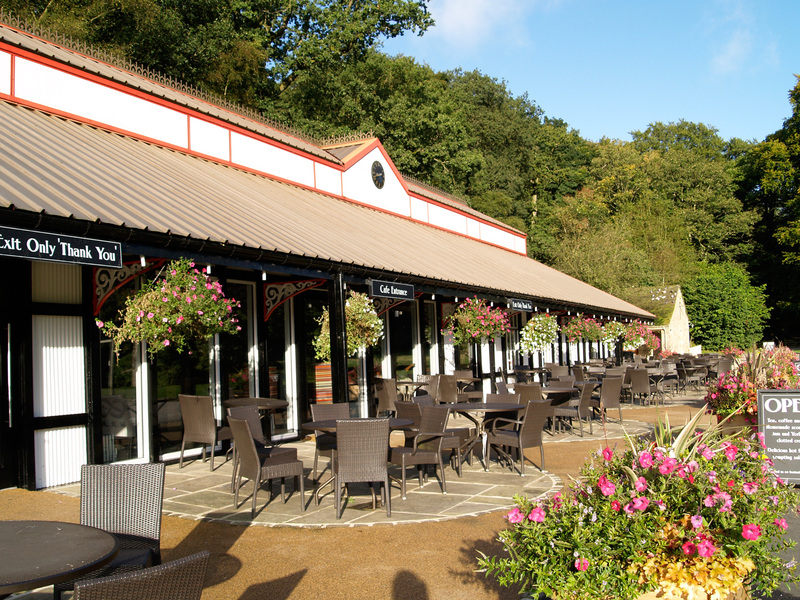 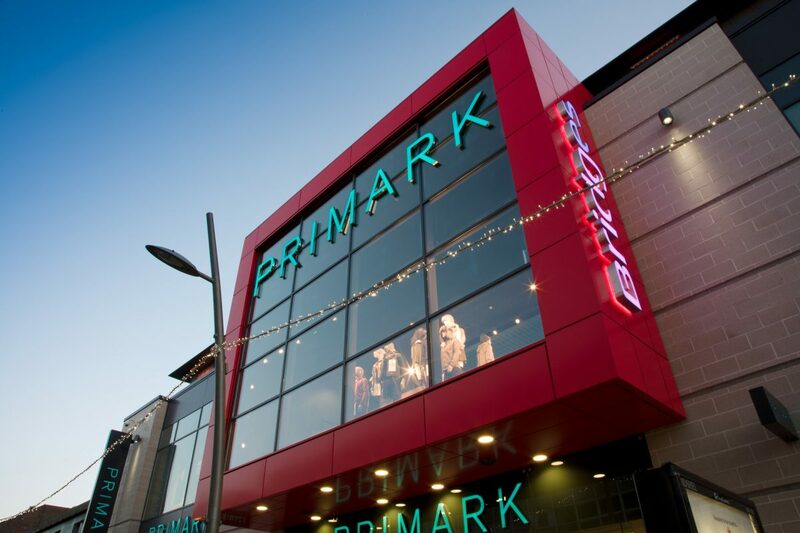 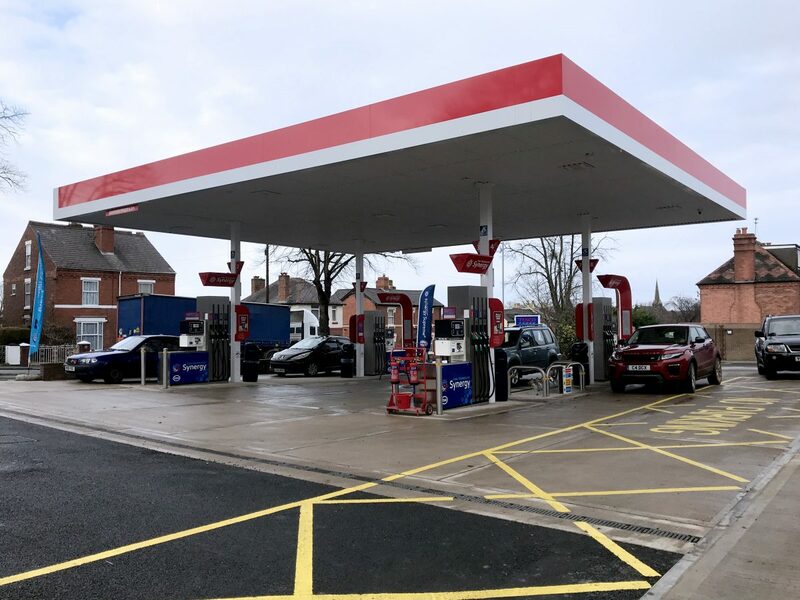 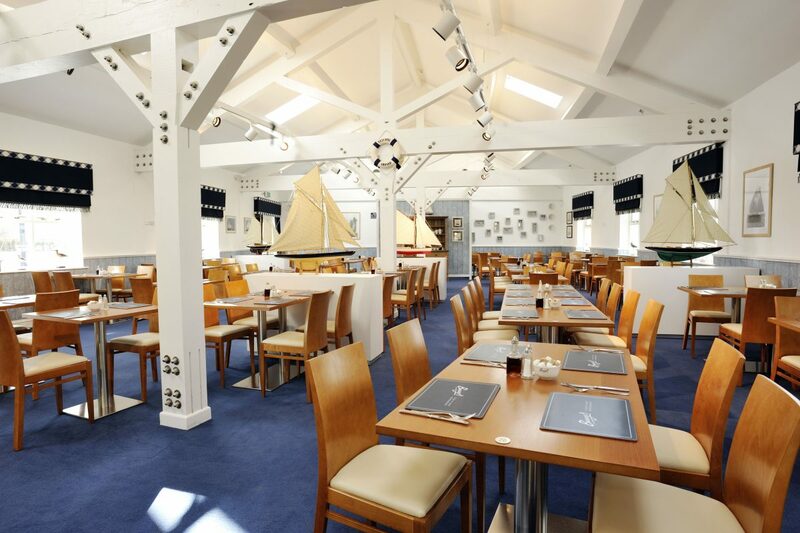 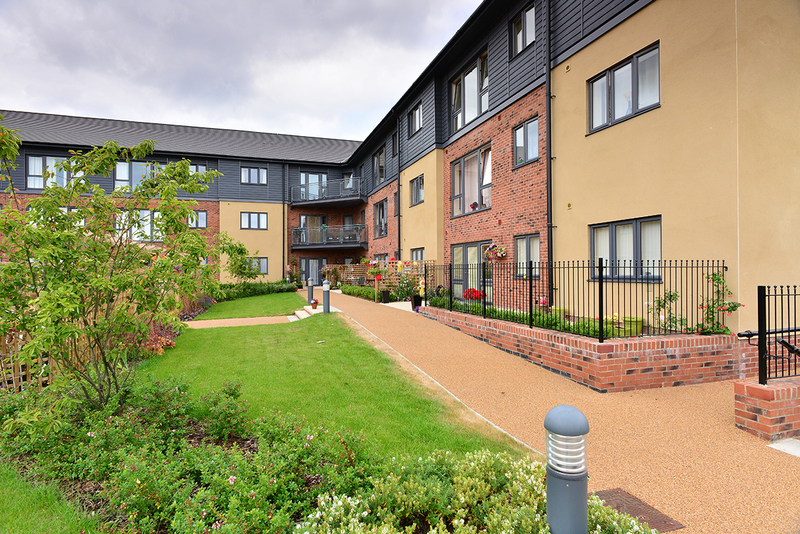 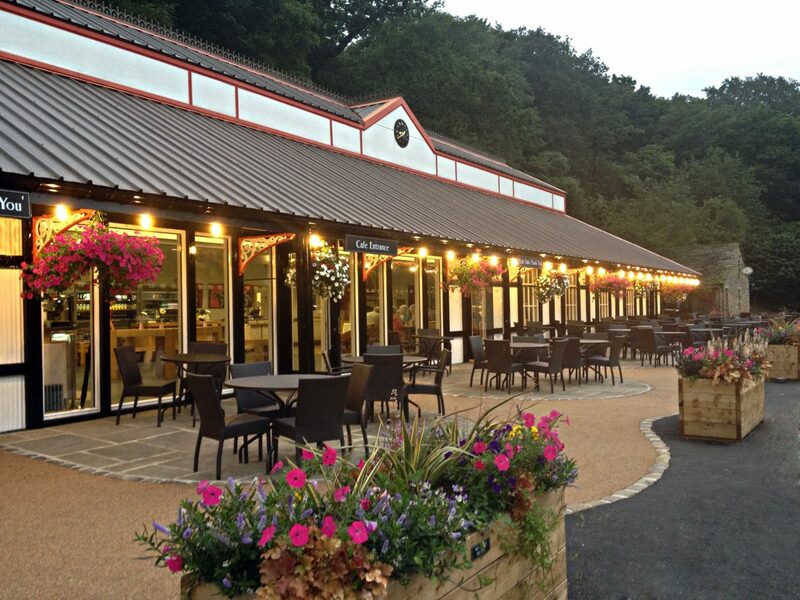 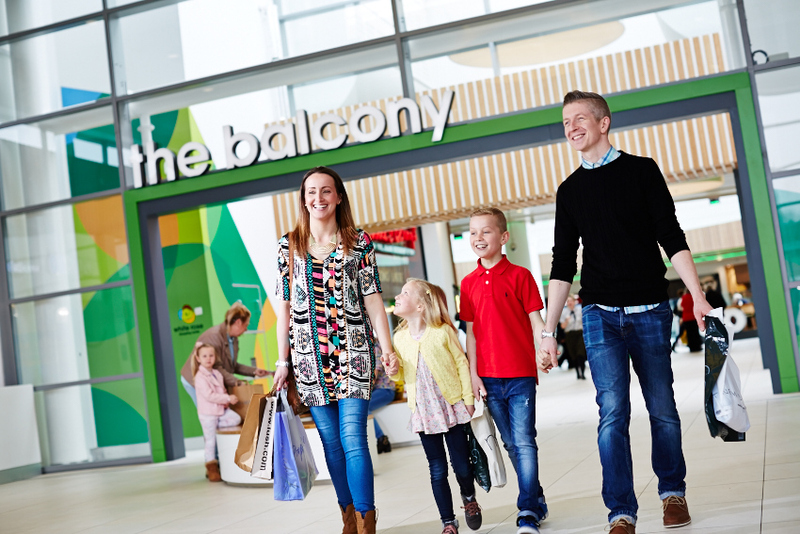 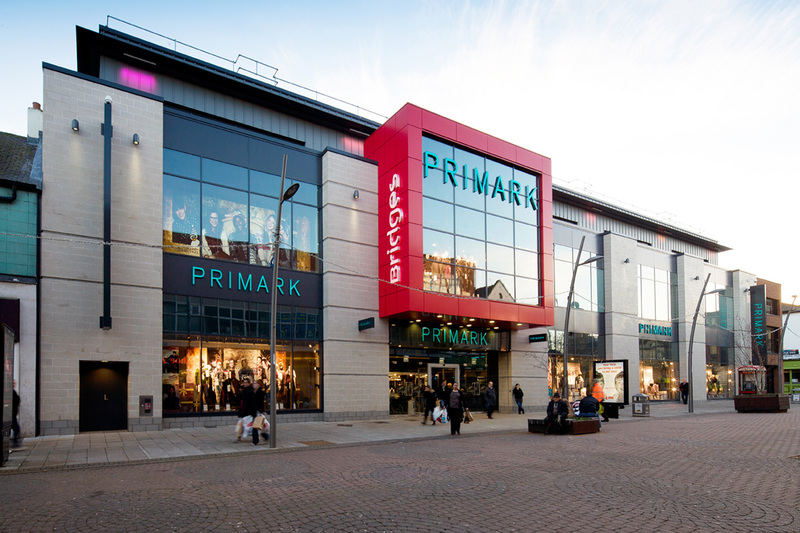 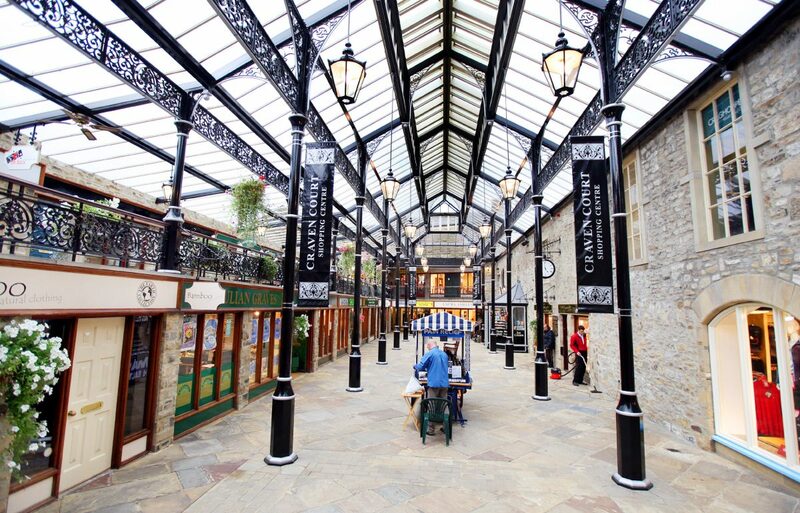 We designed and project managed significant improvements including: roofing maintenance, stonework repairs, replacing the remaining wooden windows, refurbishing the clock tower and internal modernisation. 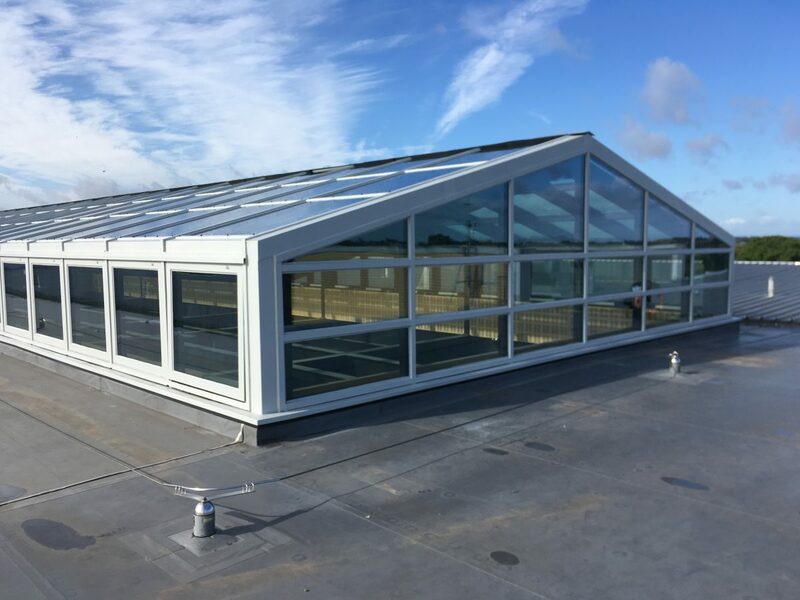 This investment brought the historic building up to date and reduced the need to use a significant portion of the school’s annual budget to patch repair the building. 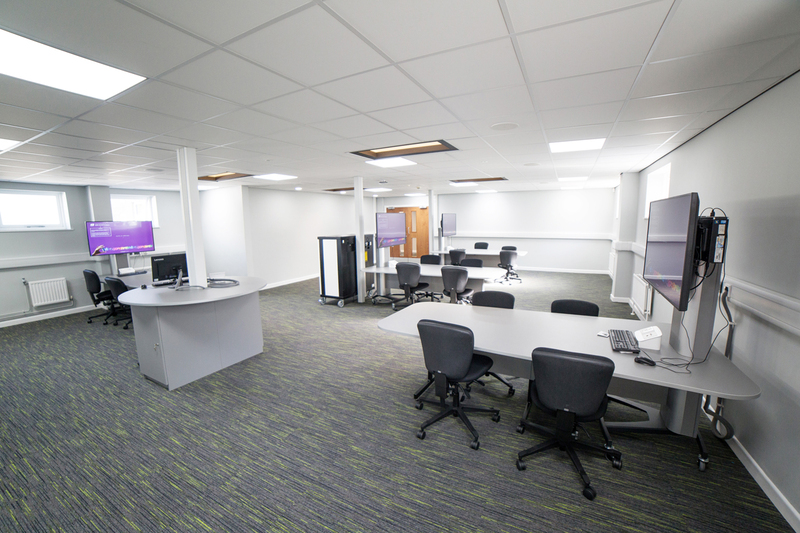 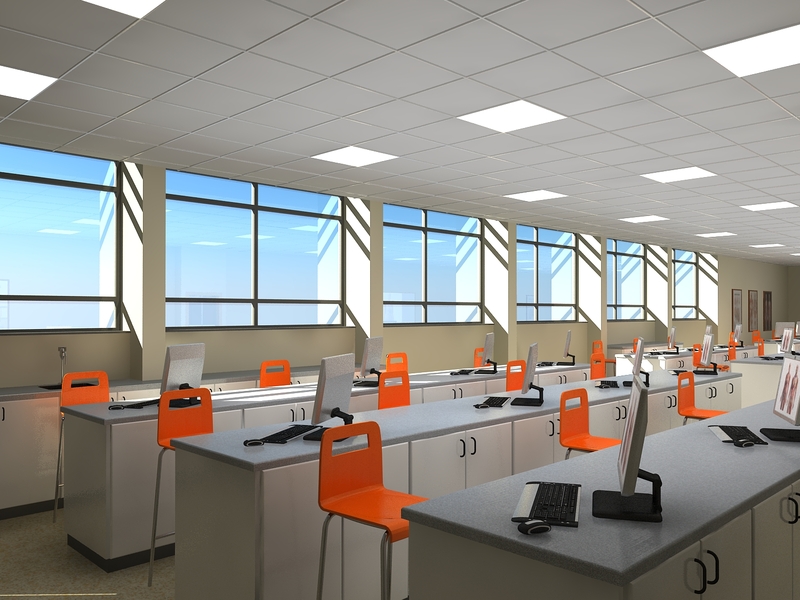 The refurbishment acted as an enabling project for the building of a new sixth form hub. 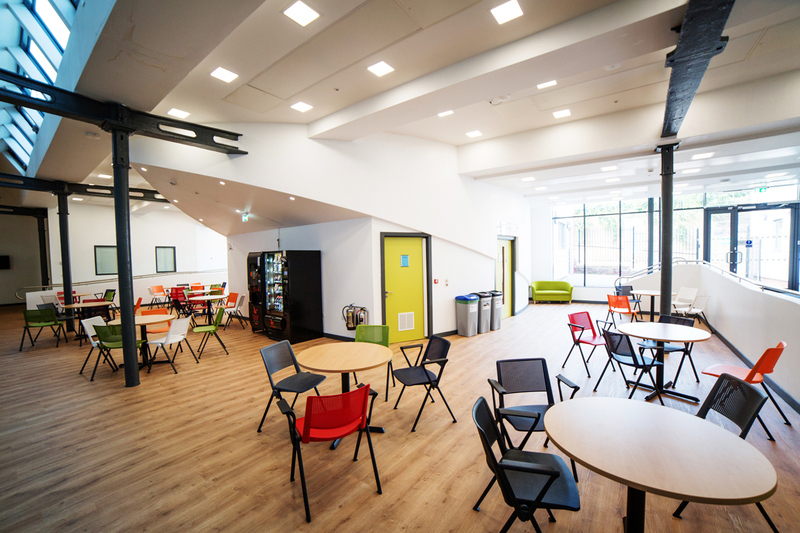 To accommodate the new sixth form facilities, we designed the 600m2 infill of an existing courtyard providing a central flexible hub with a café and meeting room. 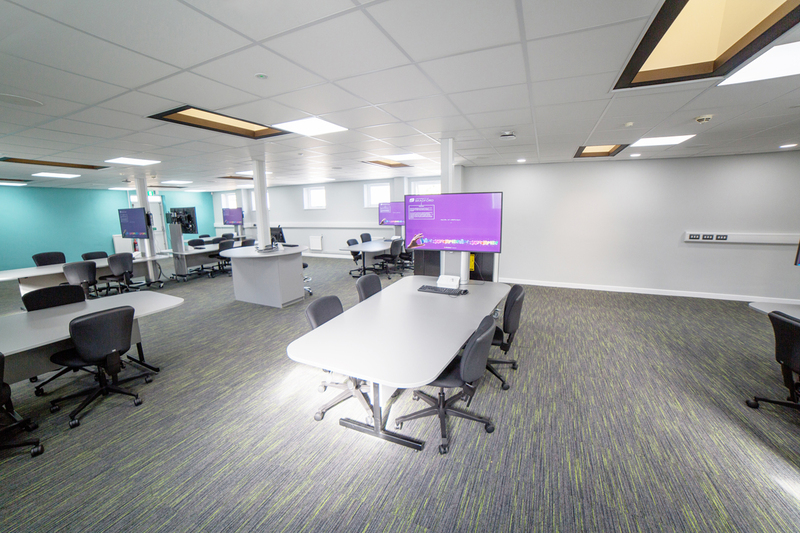 This central device improved connections with series of adjacent spaces namely the halls, classrooms, art rooms and two new teaching spaces. 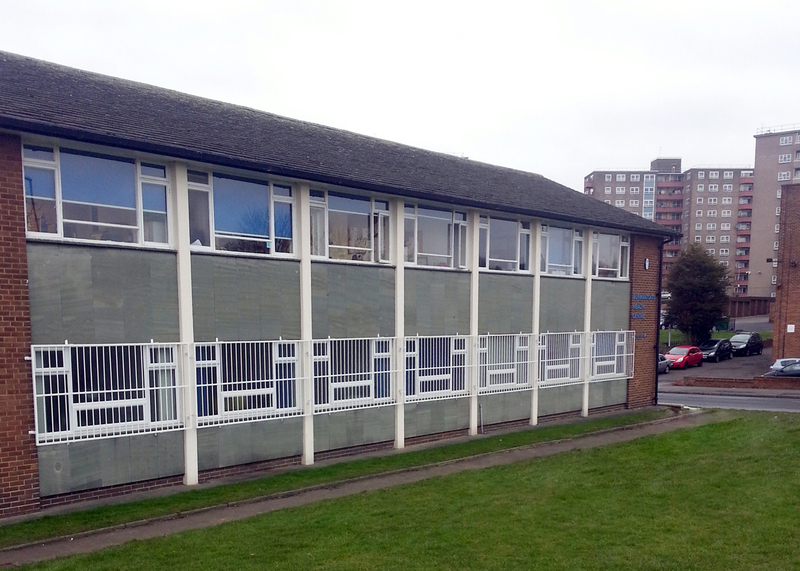 The scheme presented multiple challenges, linking to the historical part of the school. 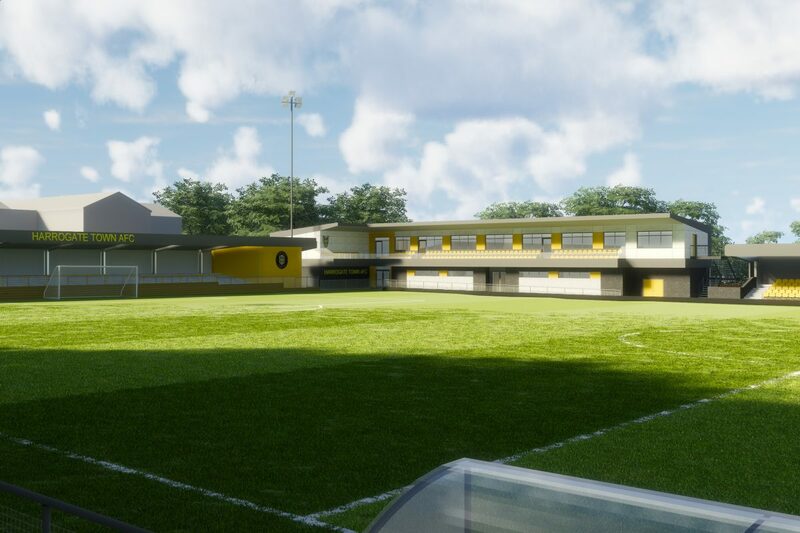 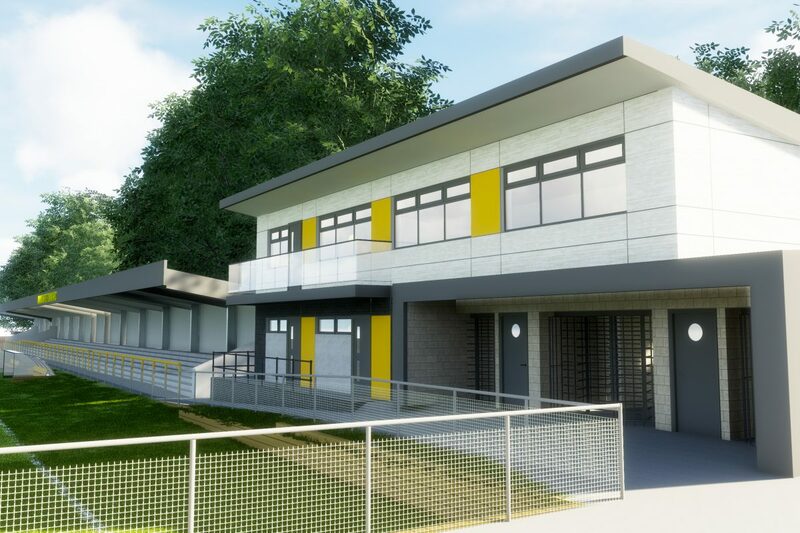 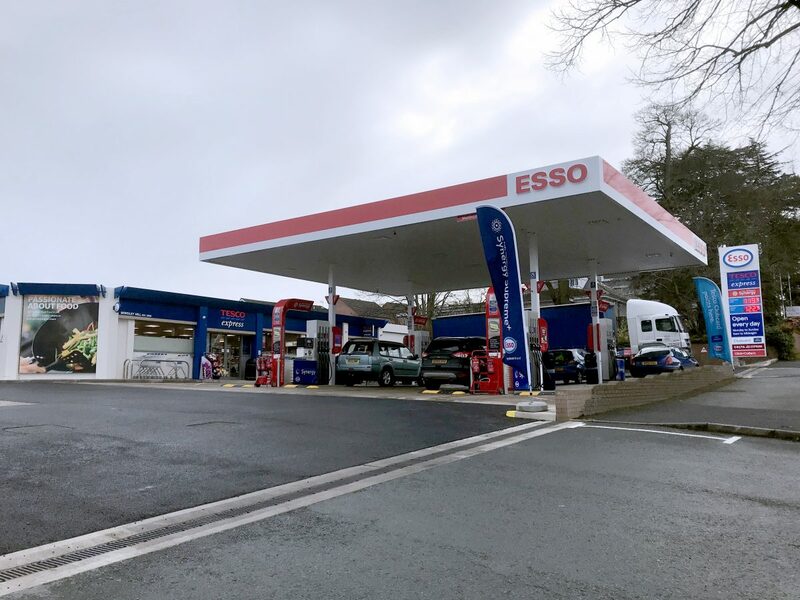 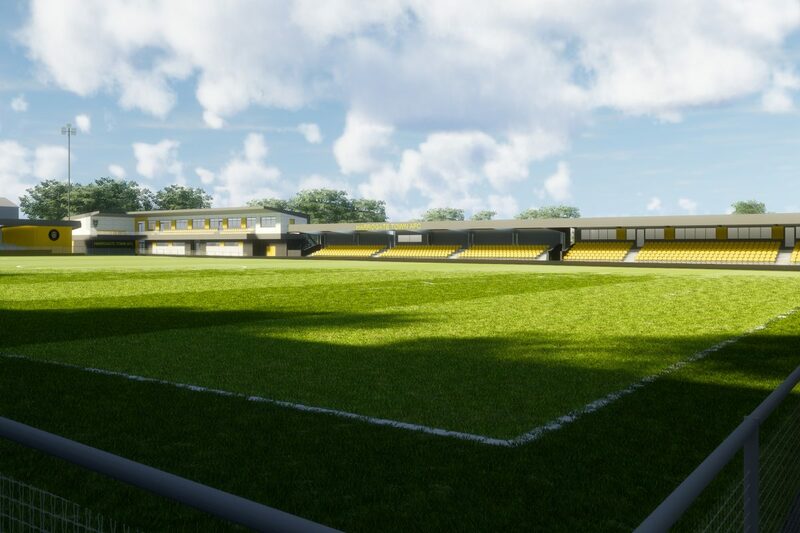 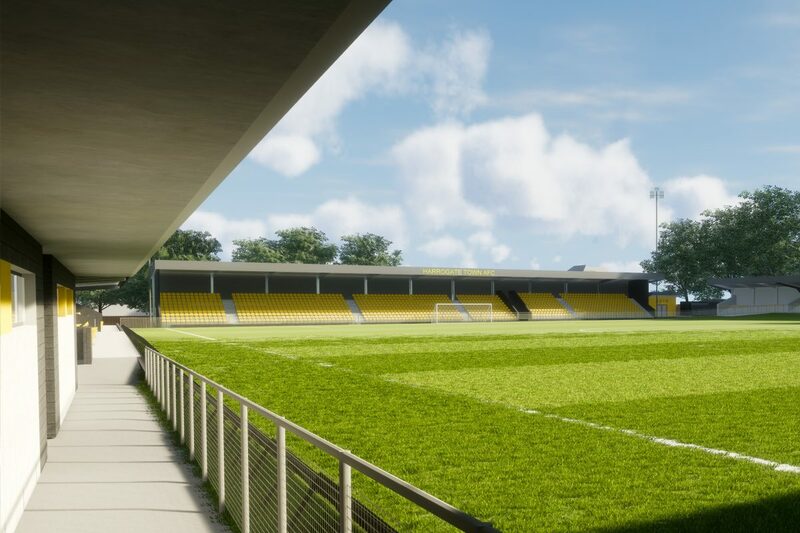 The design was required within extremely tight timescales to ensure that the school complied with the constraints of the bid conditions for funding. 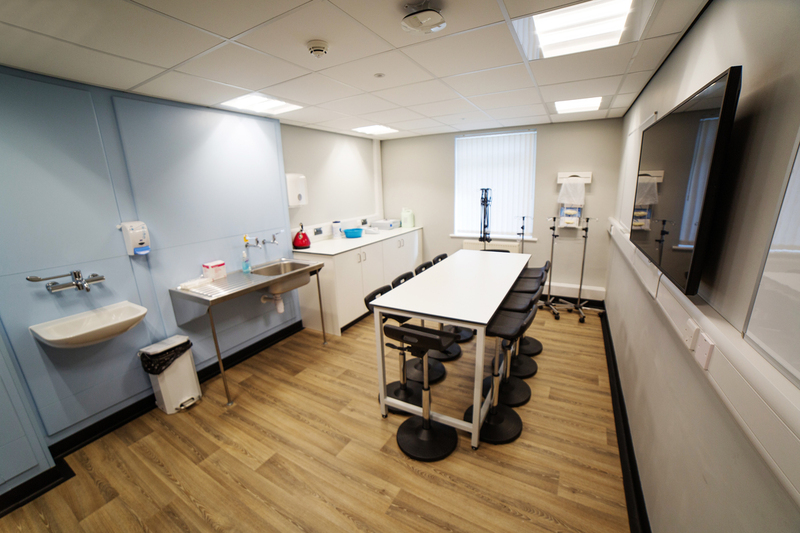 Leeds Dental Institute is operated as a partnership between the University of Leeds and Leeds Teaching Hospitals to support the training of dental care professionals. 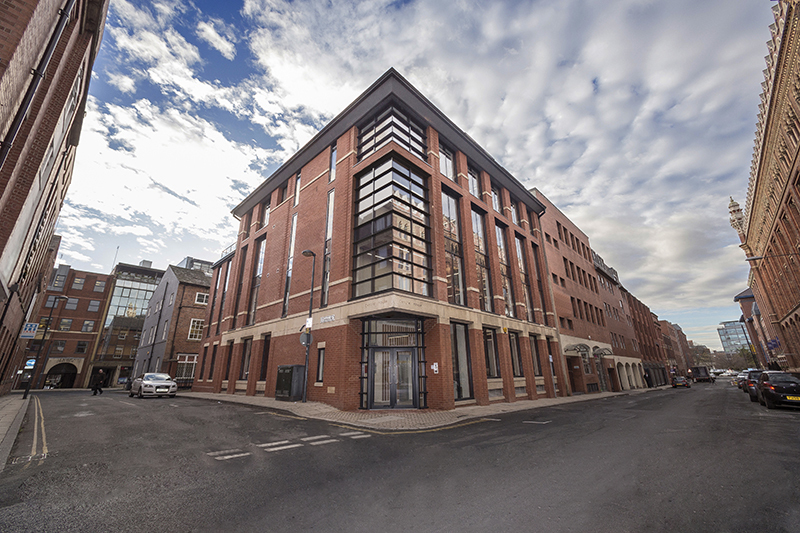 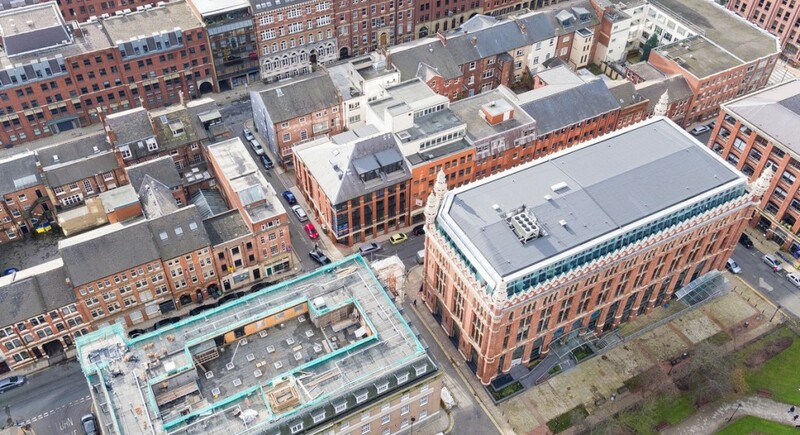 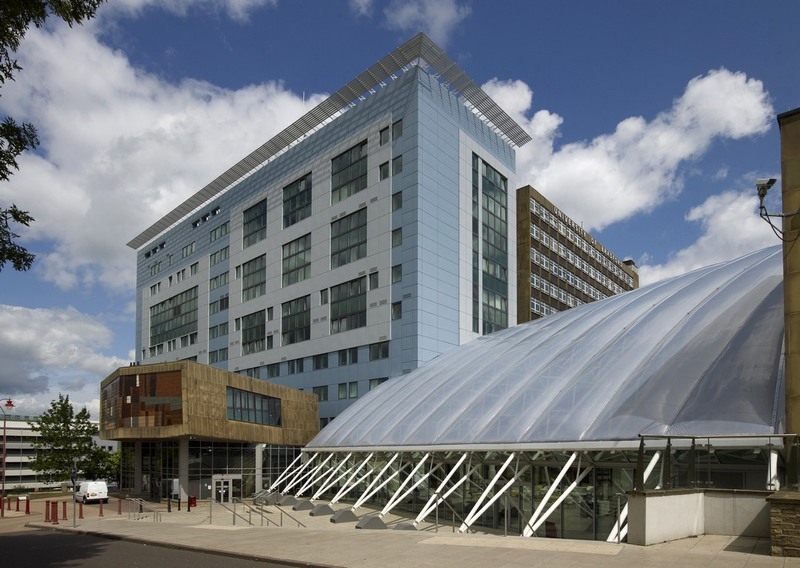 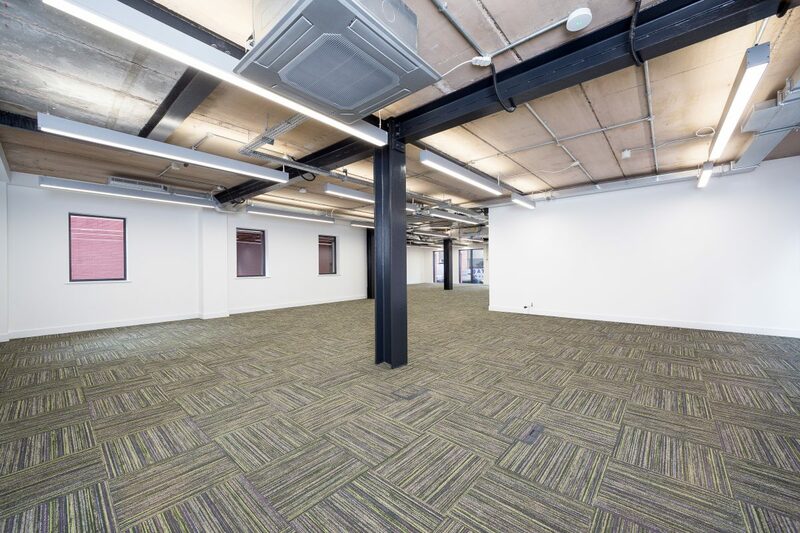 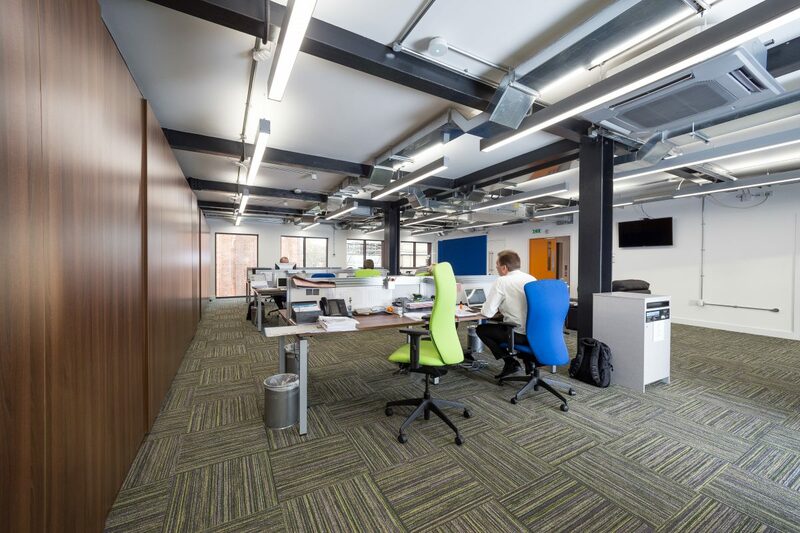 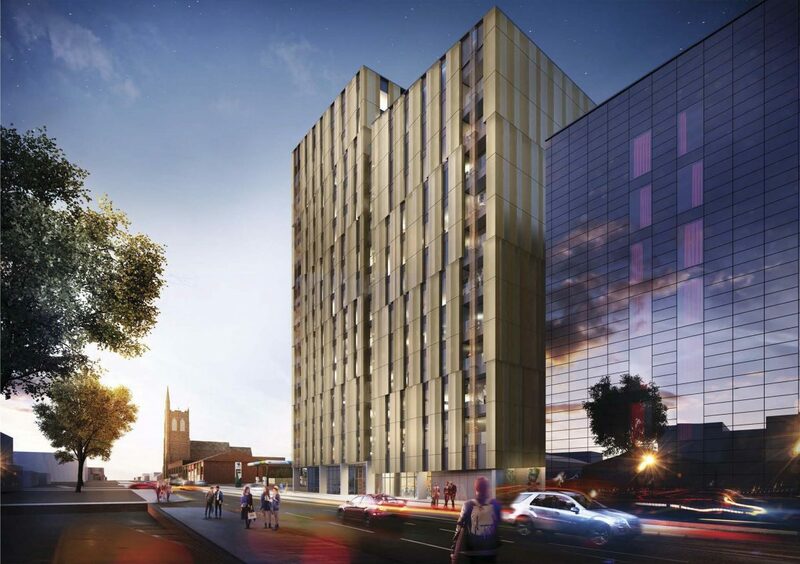 Bowman Riley was engaged to design, manage and administer the complex and fast-track reorganisation and refurbishment of the Institute based in Level 5 of the 1979 Worsley Building, one of the largest buildings in Leeds city centre. 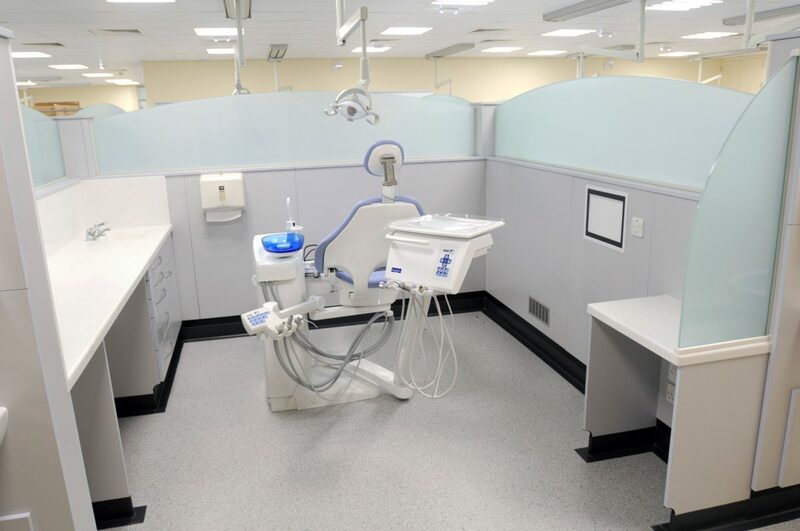 The aim of the project was to provide state-of-the art dental facilities to meet the latest clinical standards, improve flexibility between departments and provide new equipment and upgraded technologies. 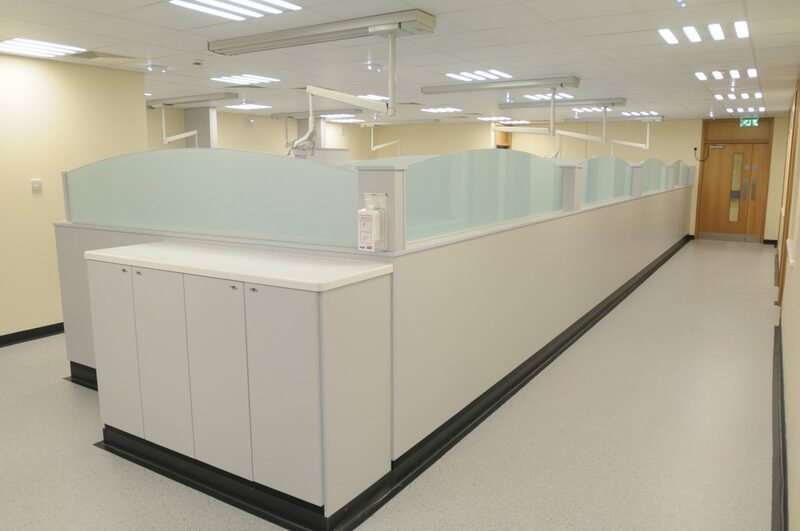 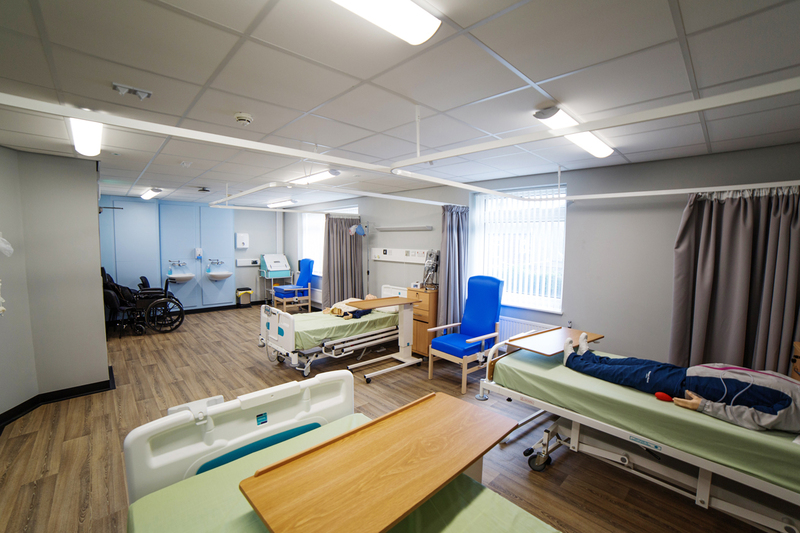 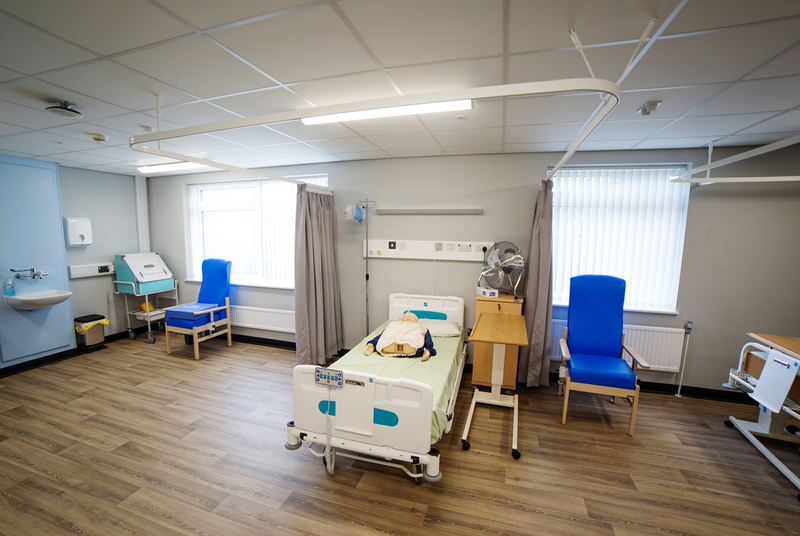 The project comprised the relocation of radiology and acute dental care, the replacement and improvement of dental chairs, equipment and clinical cubicles, the improvement of circulation and flexibility between departments and the improved space utilisation maximising the number of dental cubicles available. 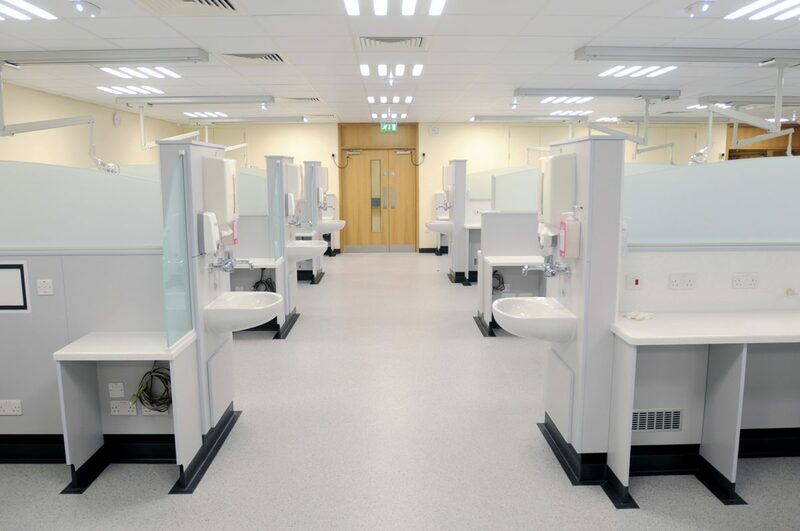 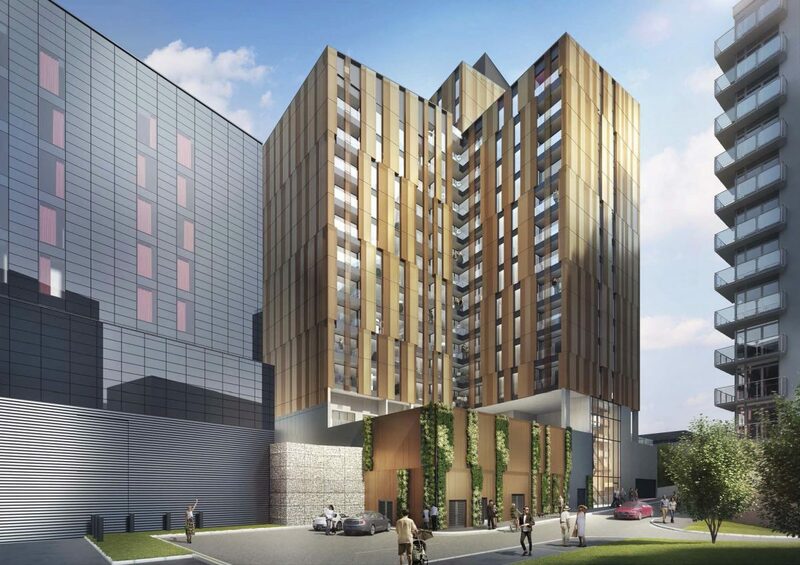 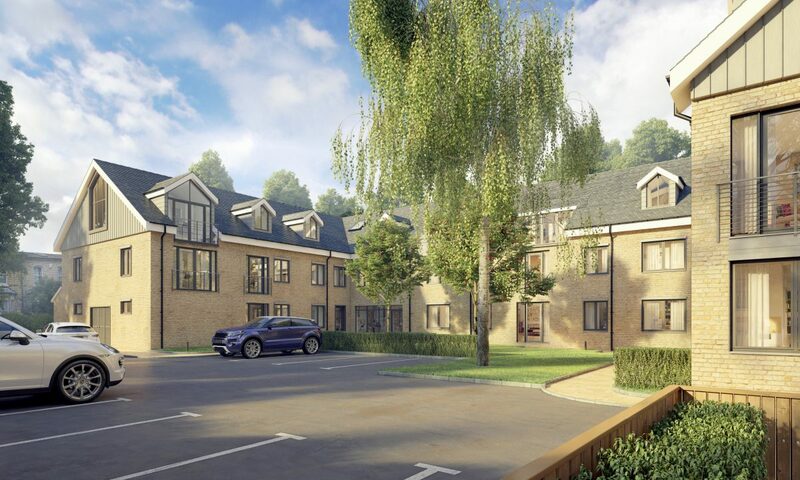 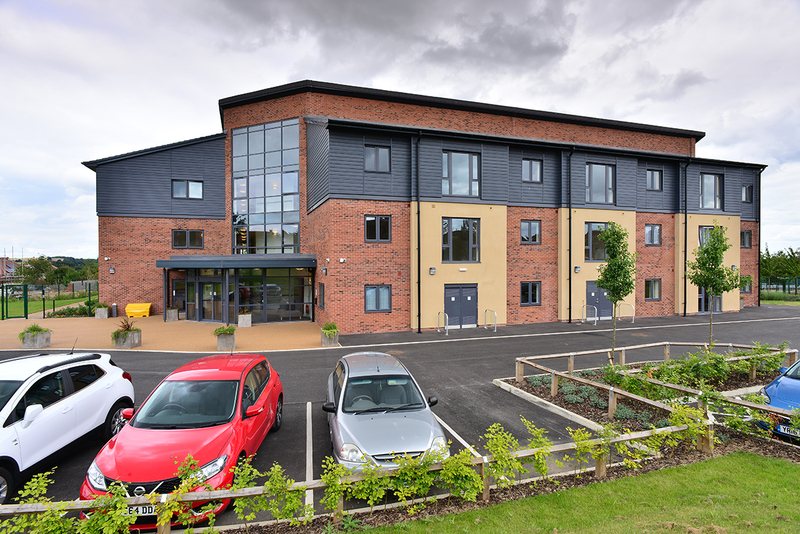 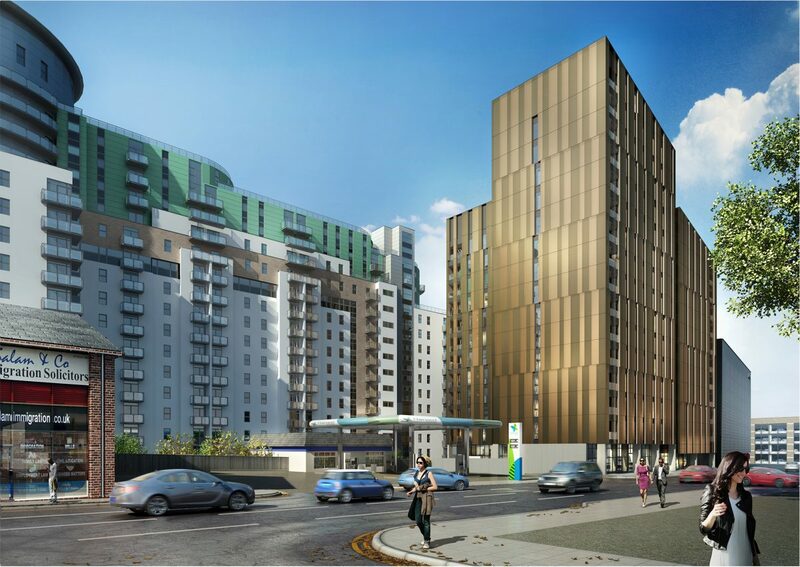 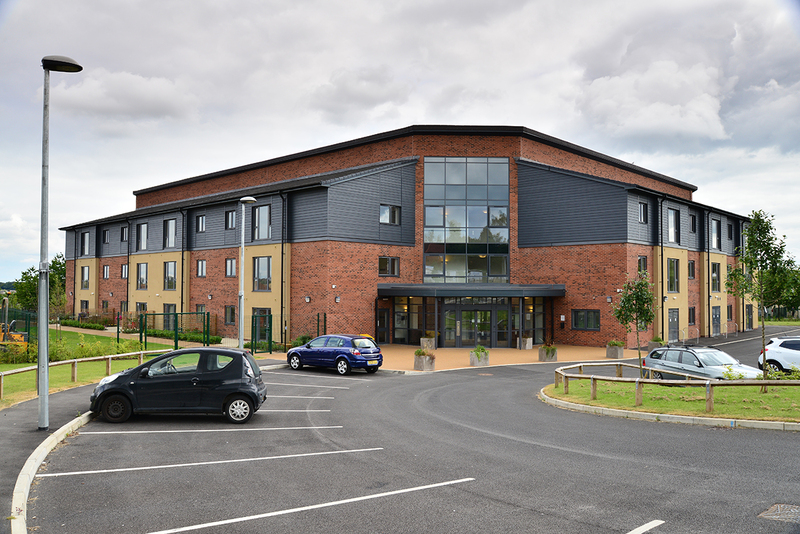 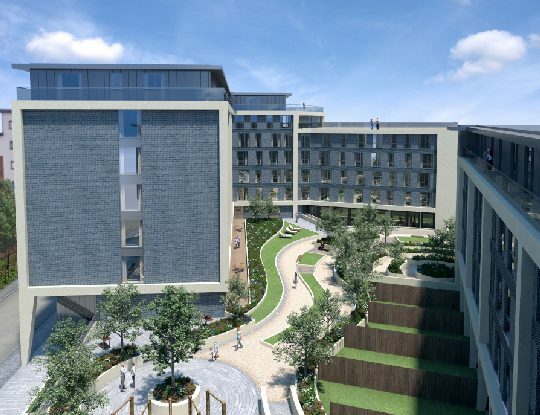 This multi-phased development was successfully delivered within a live clinical environment cognisant of the importance of sound proofing and dust reduction during the construction work to support infection control. 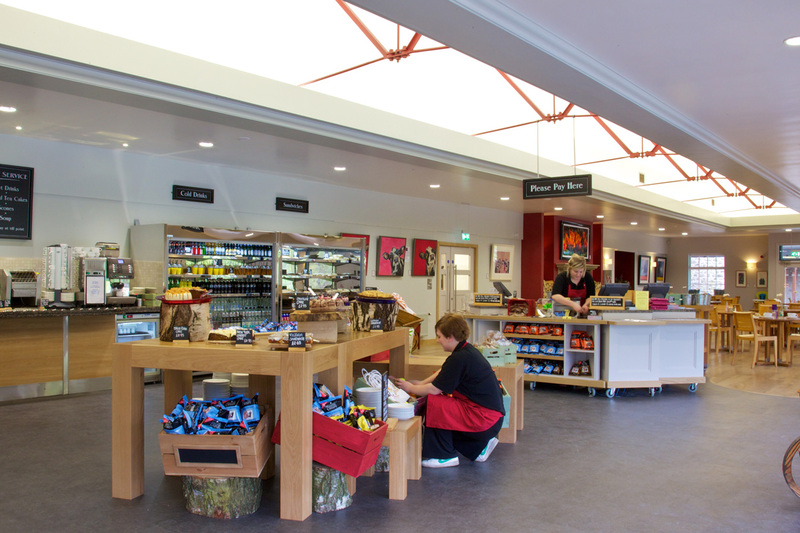 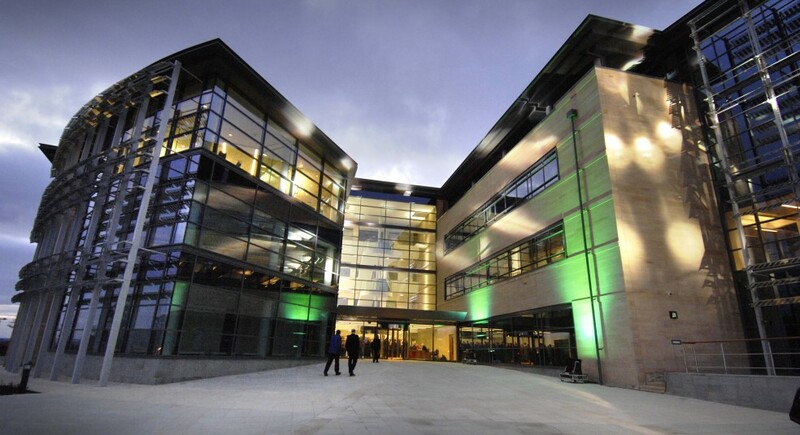 A major challenge of the project was to minimise disruption to operations of the Institute and wider building users. 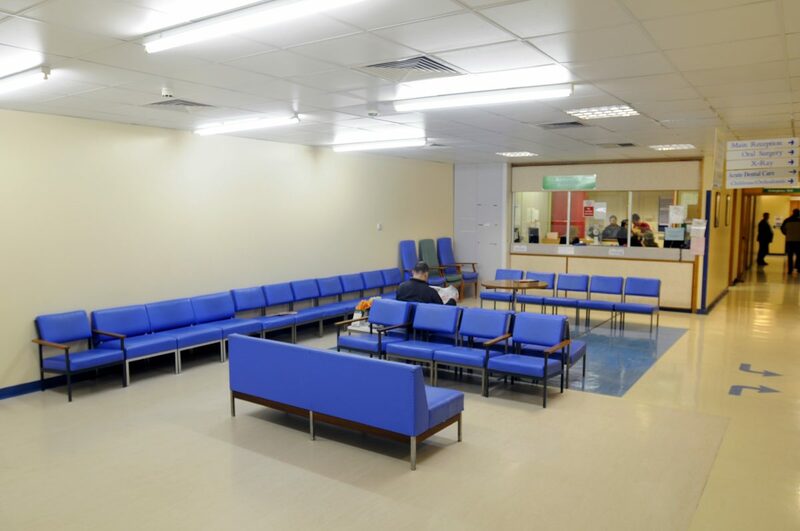 The amount of available operating space was reduced during construction. 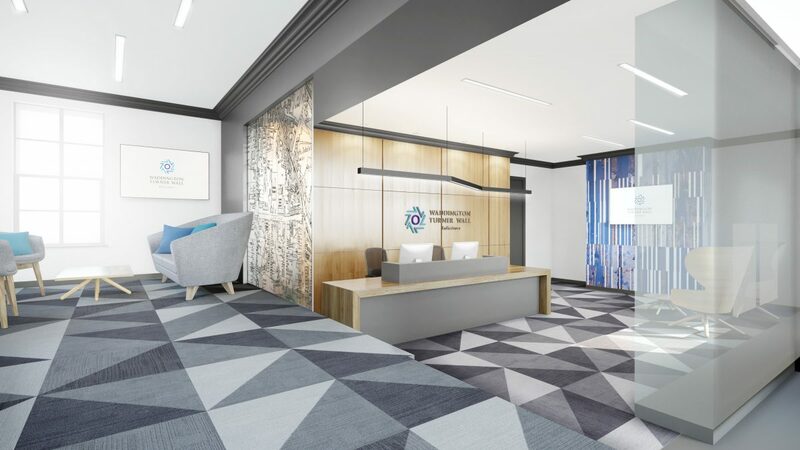 To enable the Institute to operate effectively during construction, we introduced an innovative idea for the Institute to change their way of working by increasing the opening hours to a double shift for the project’s duration. 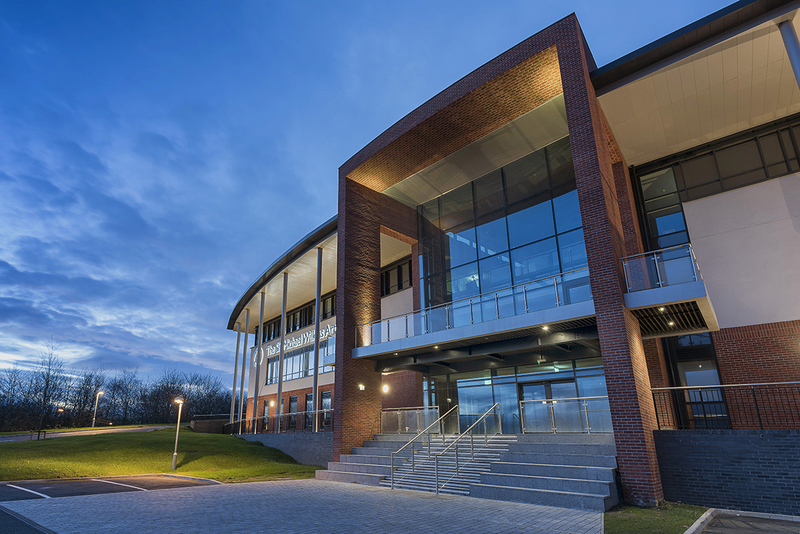 As the Institute shares the plant and services with the entire building, part of our role was to liaise with the building user group to ensure the smooth development of the works. 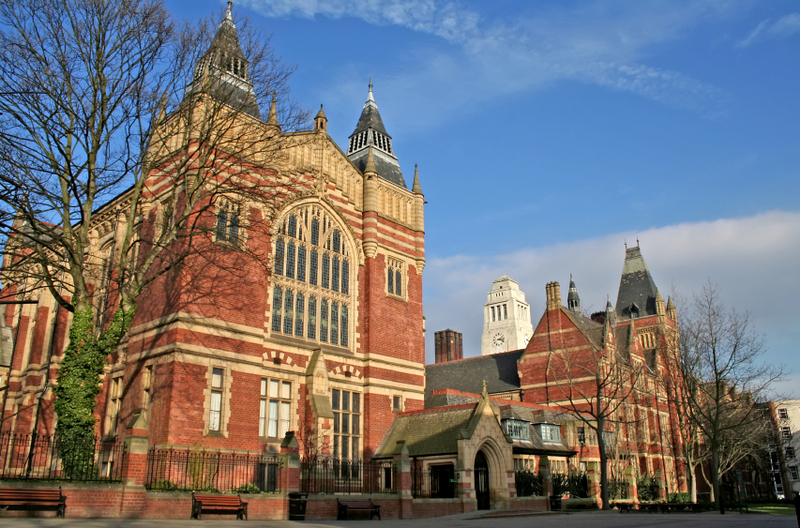 Established in 1904, the University of Leeds is a British Redbrick university and a member of the Russell Group. 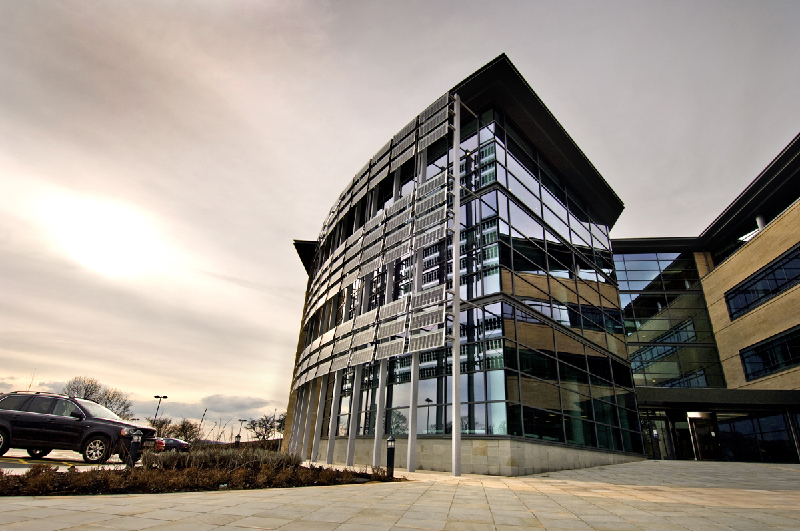 The University has 1,230 acres of land compromising of a mixture of Gothic revival, art deco, brutalist and postmodern buildings, making it one of the most diverse university campuses in the country in terms of building styles and history.